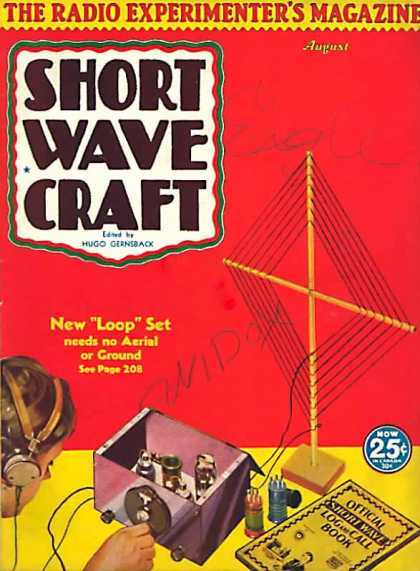 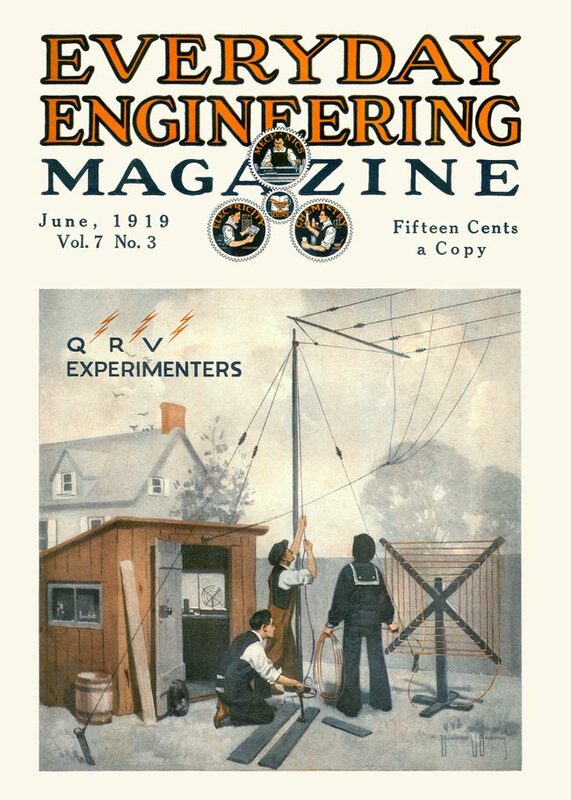 Why Not A Wire Loop Antenna? 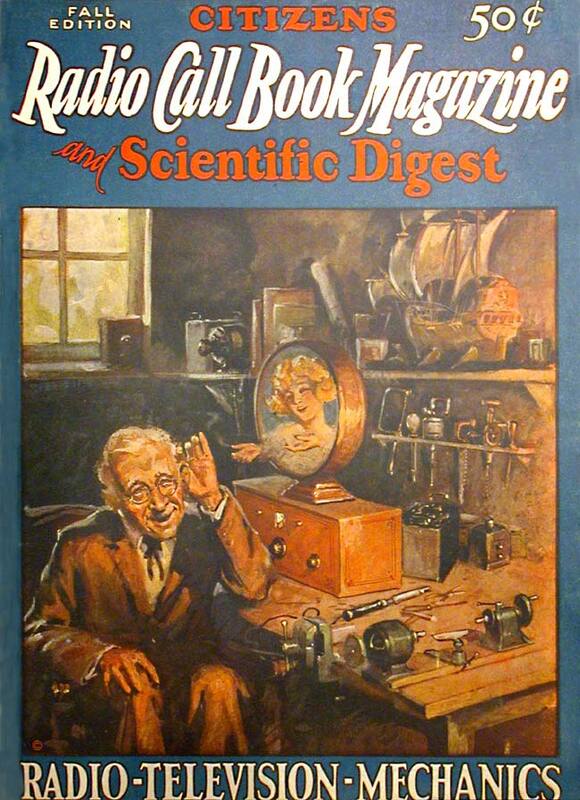 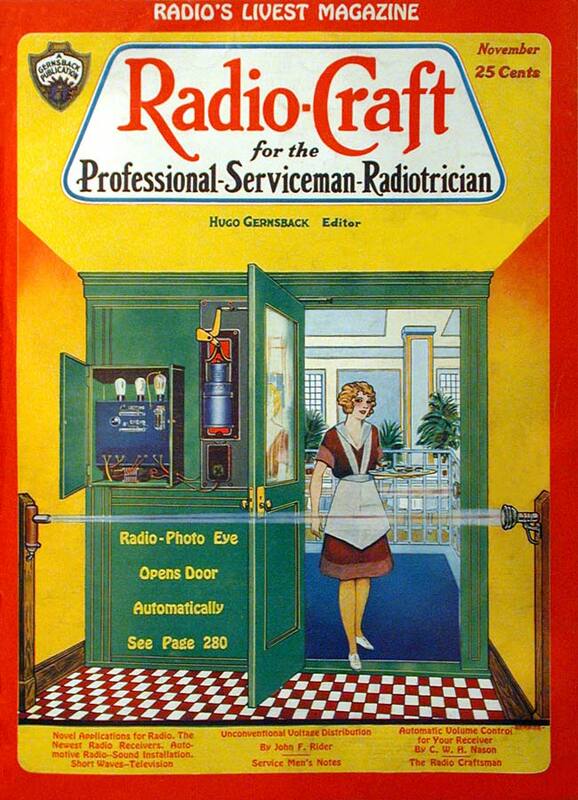 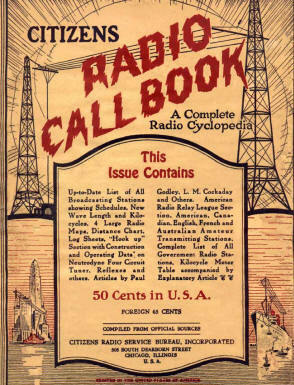 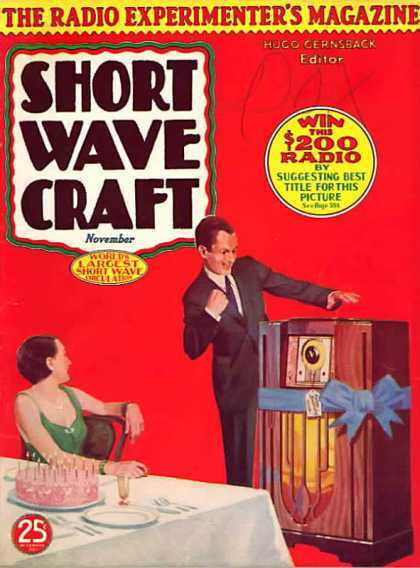 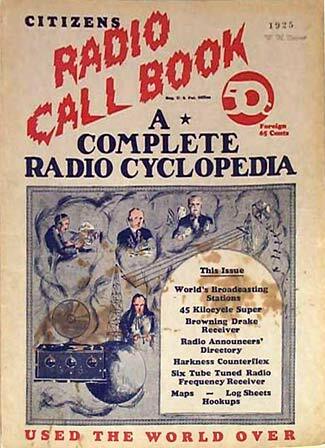 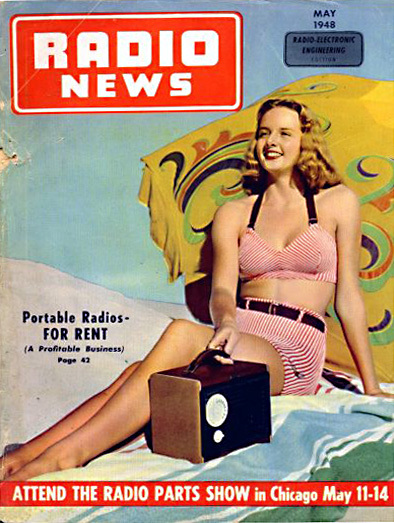 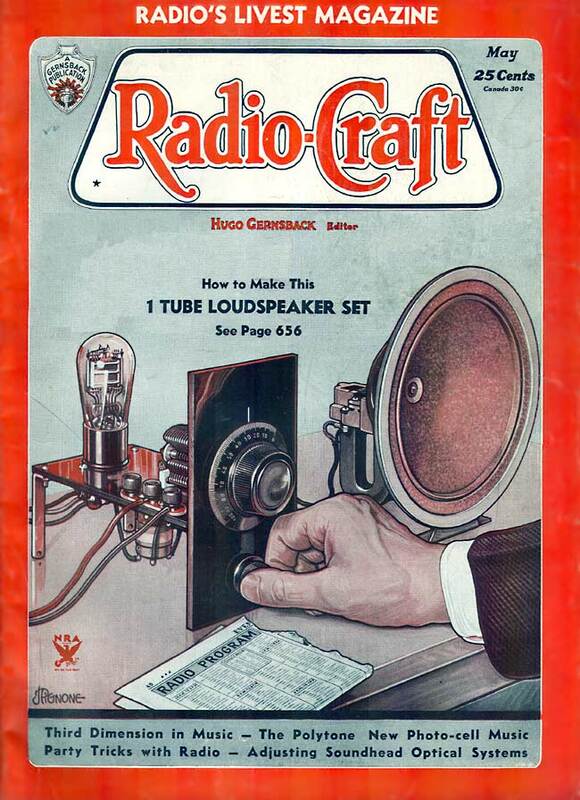 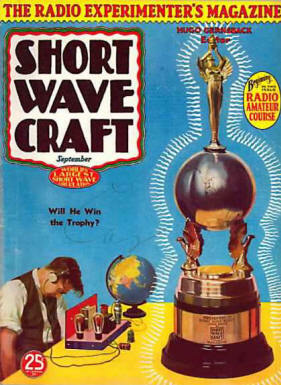 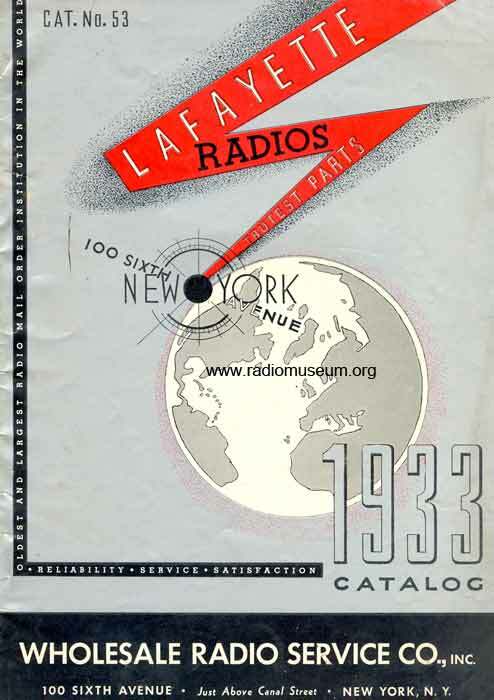 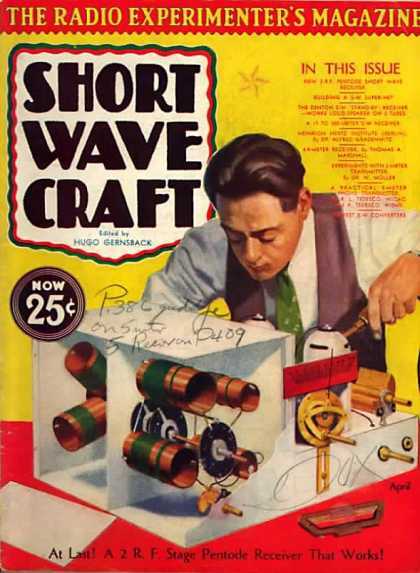 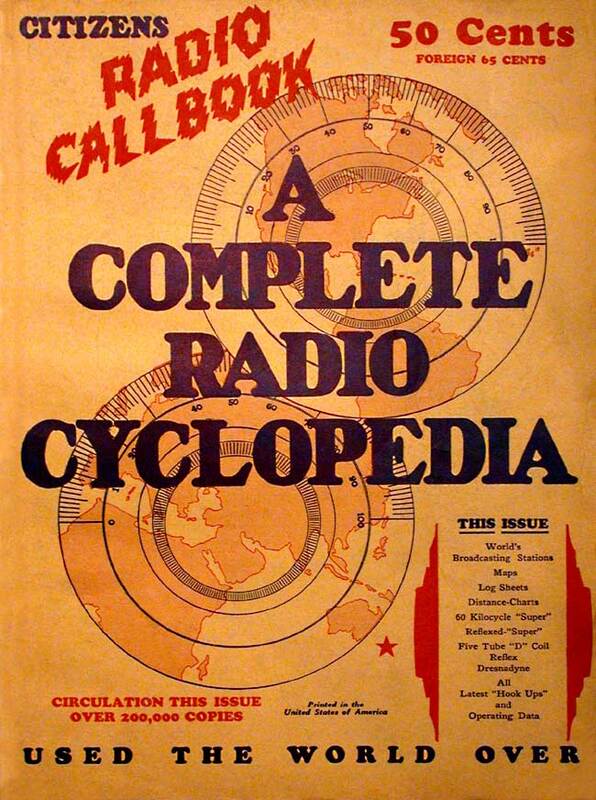 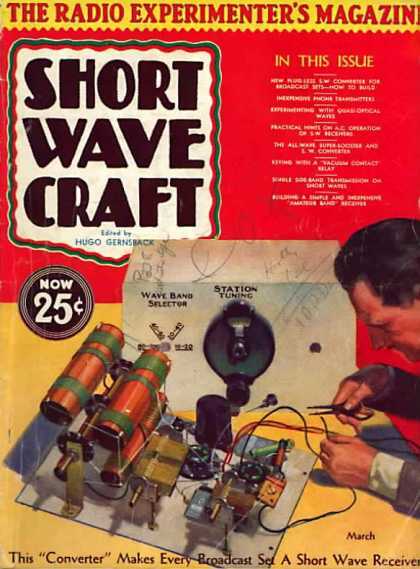 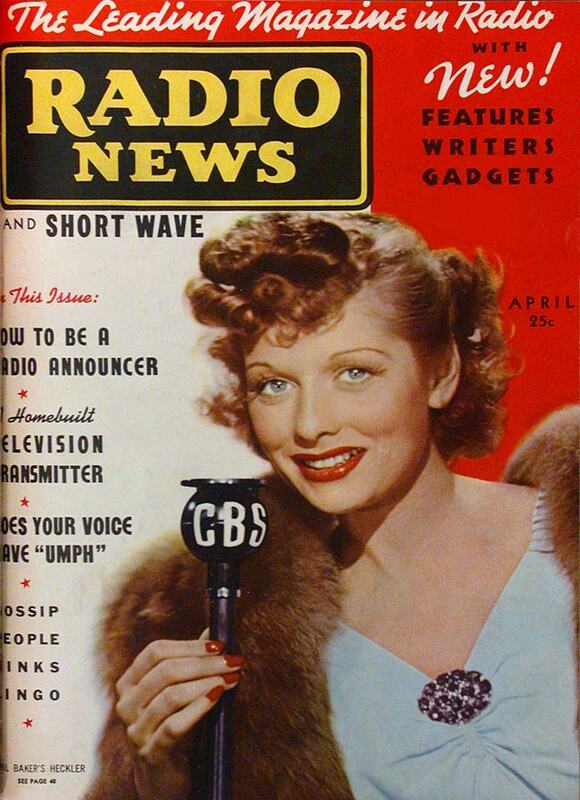 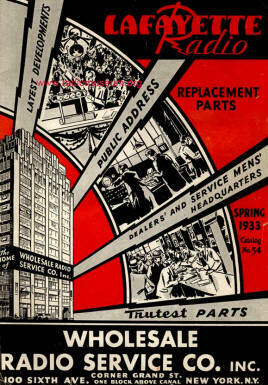 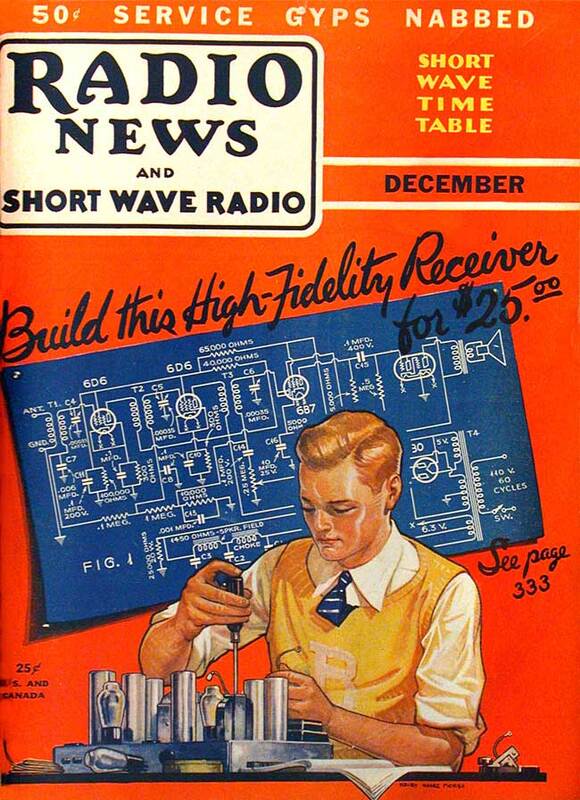 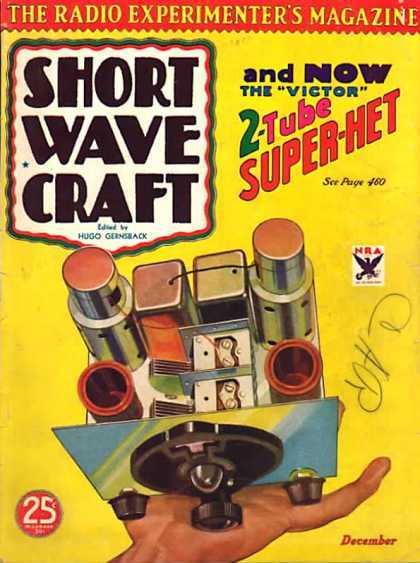 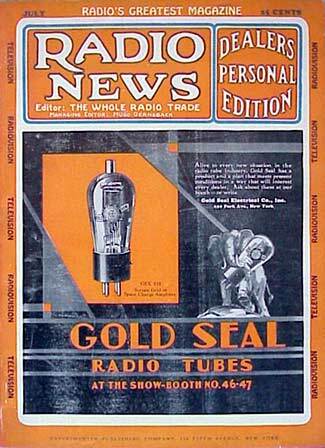 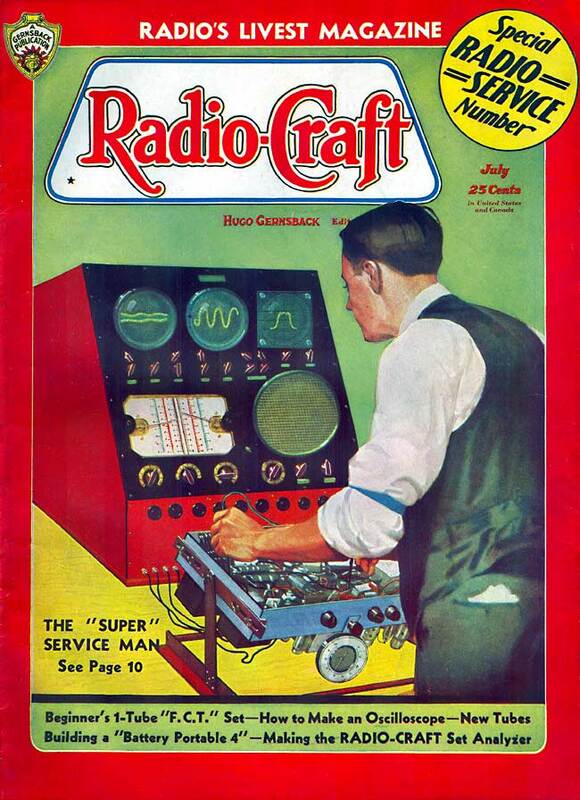 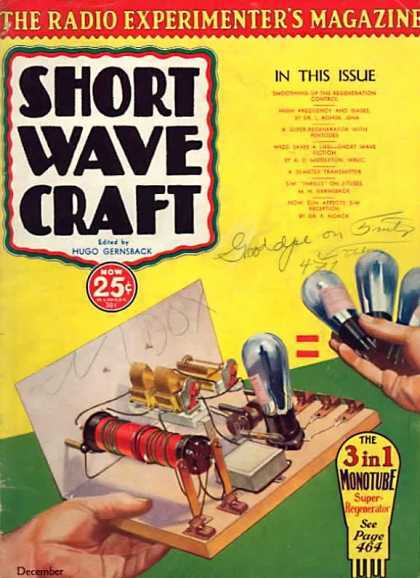 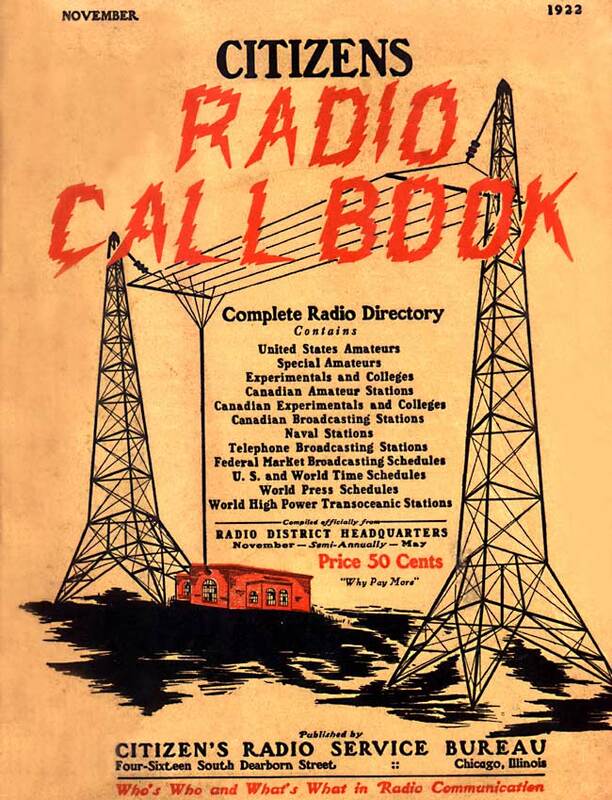 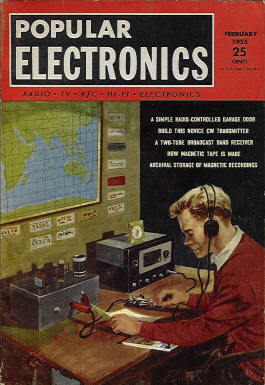 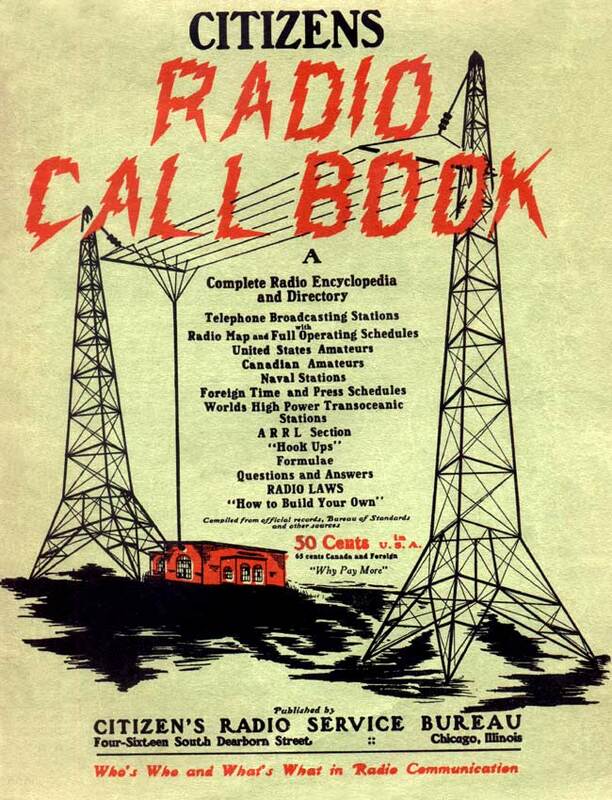 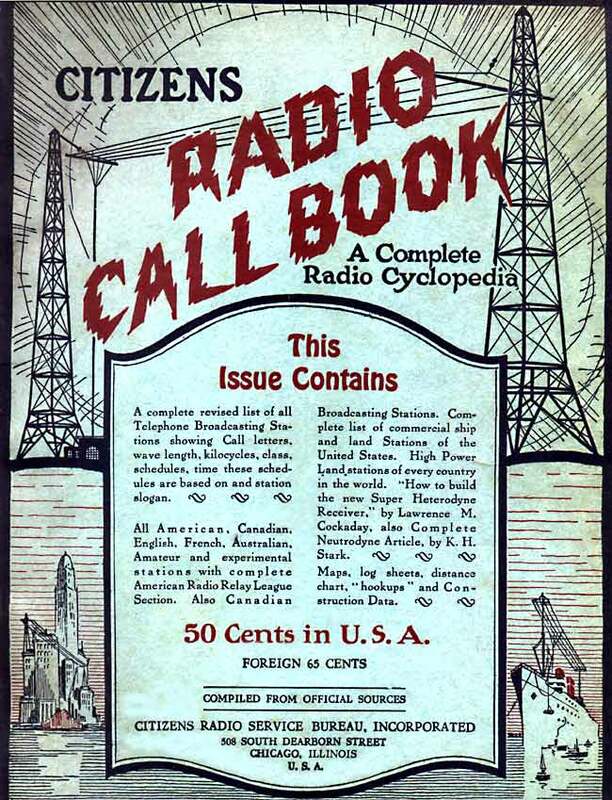 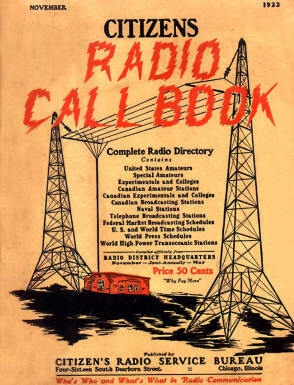 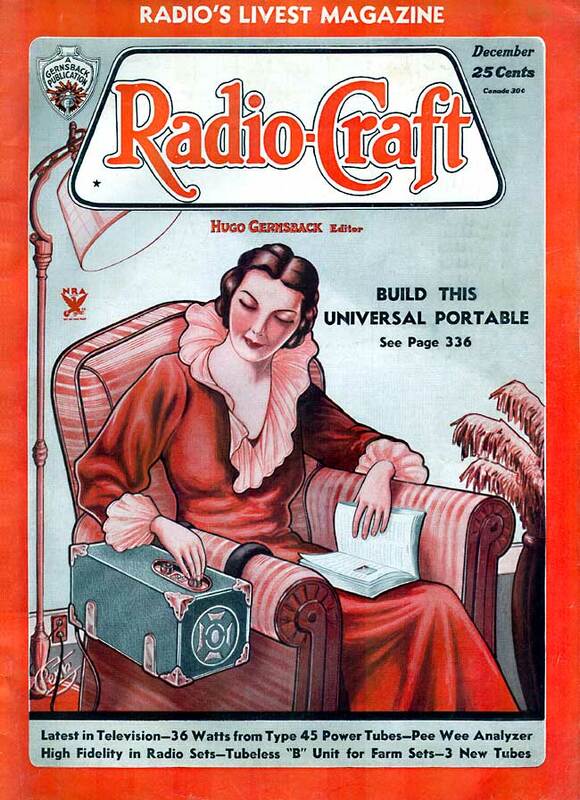 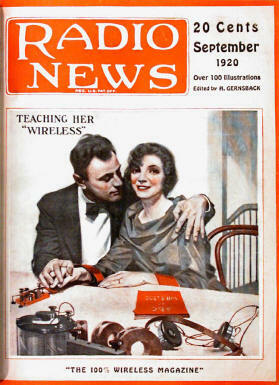 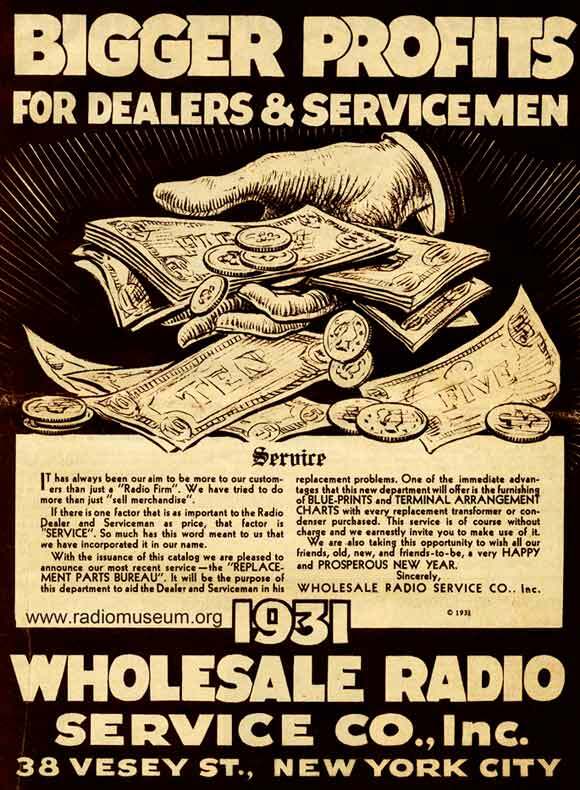 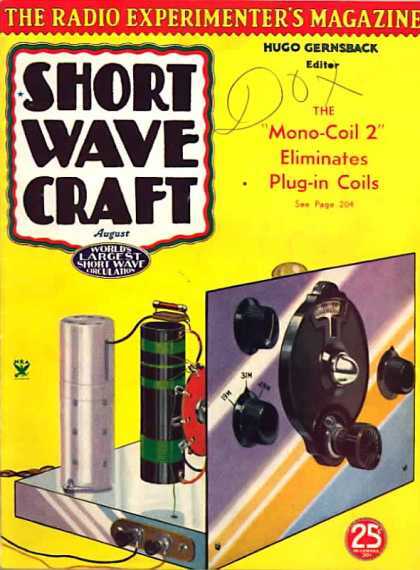 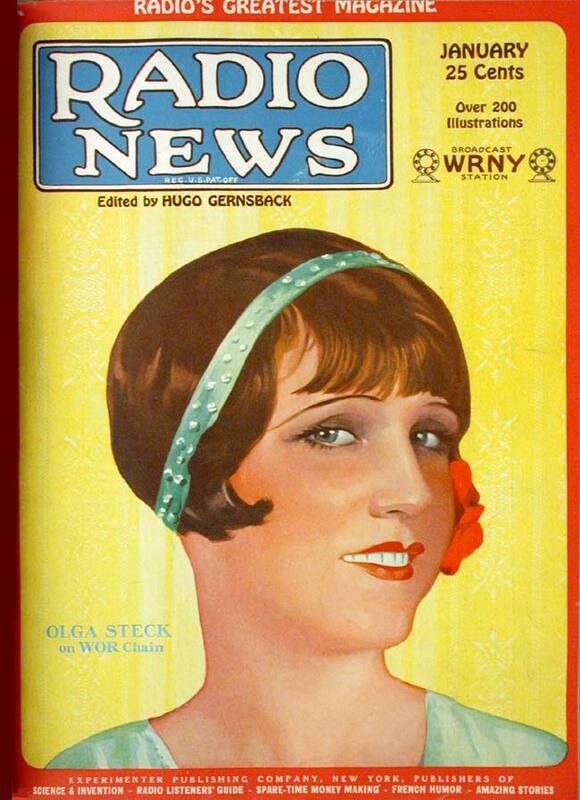 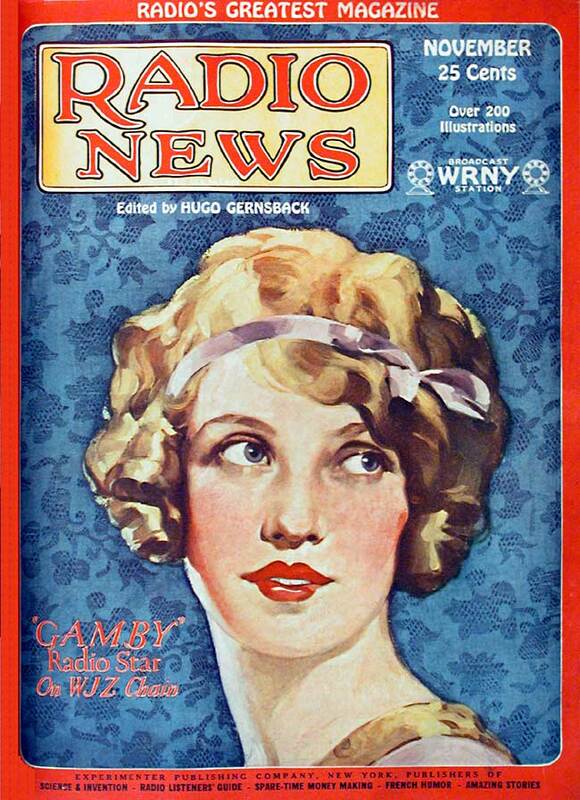 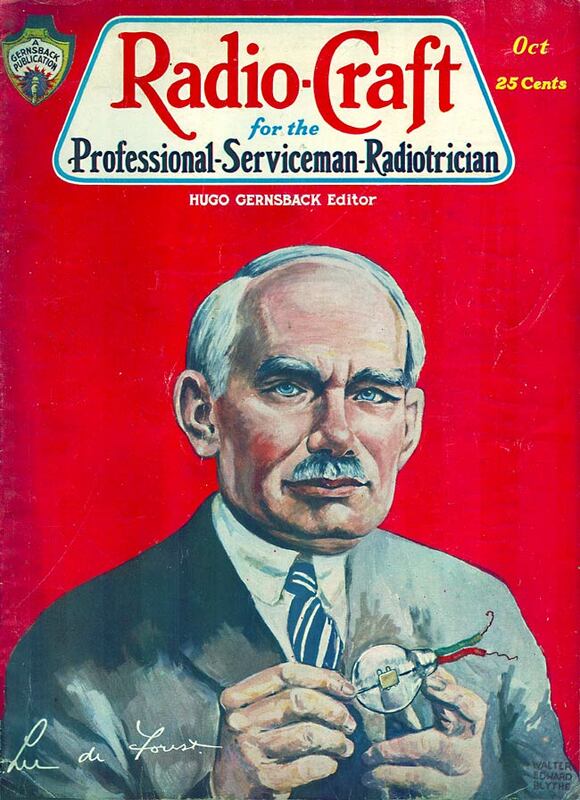 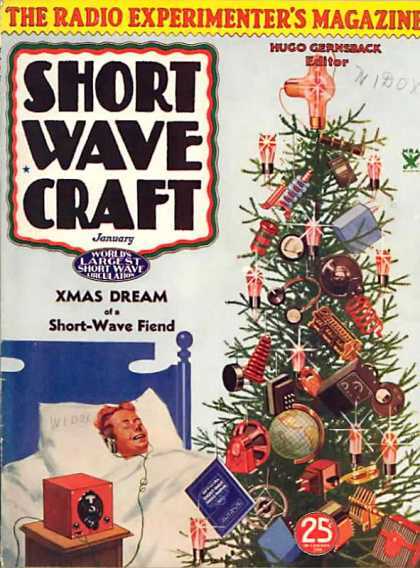 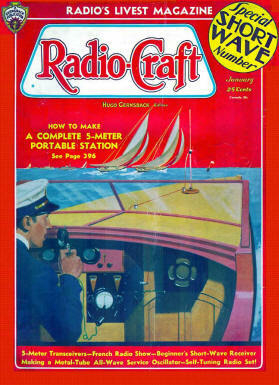 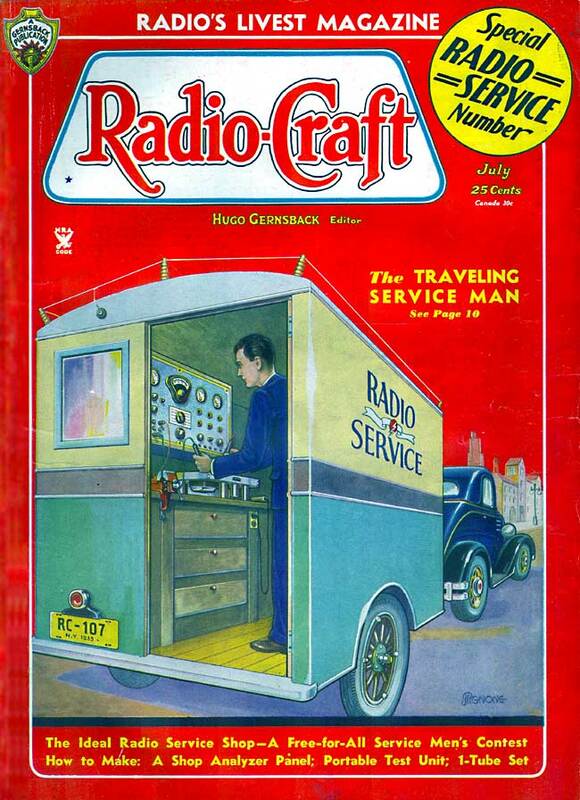 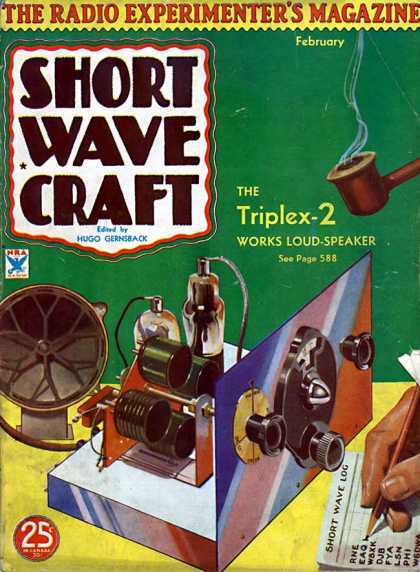 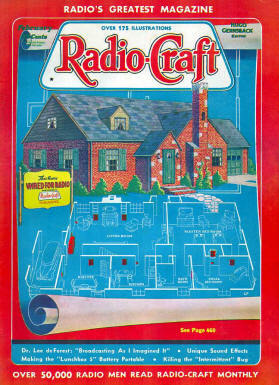 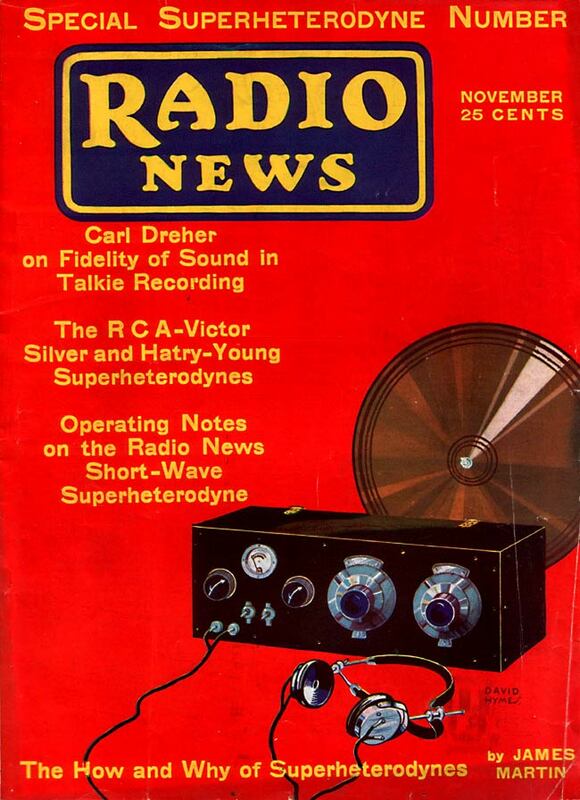 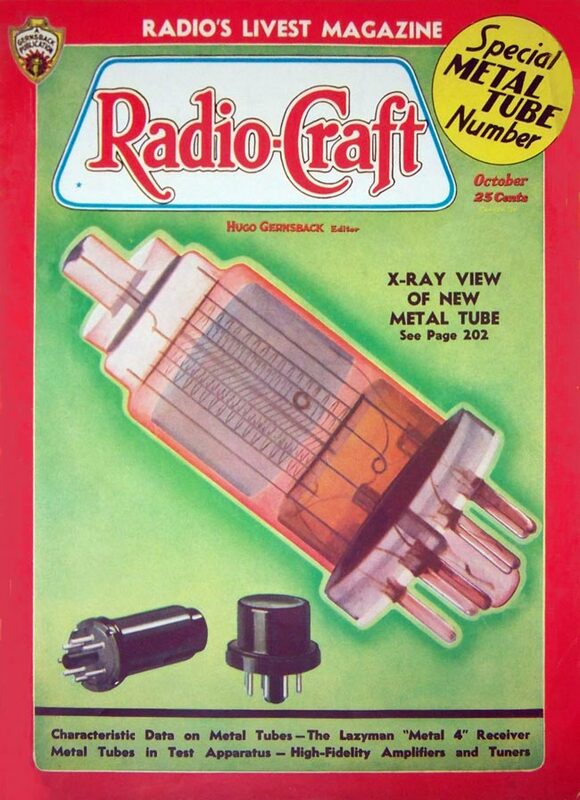 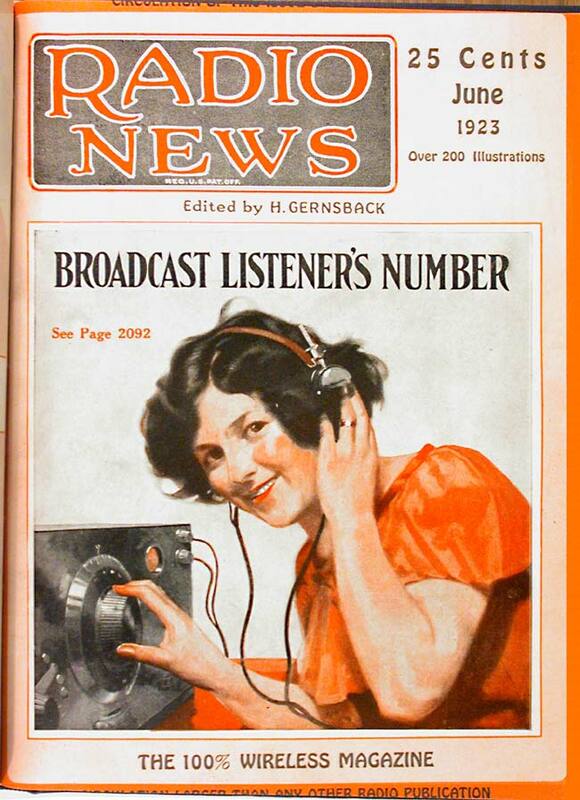 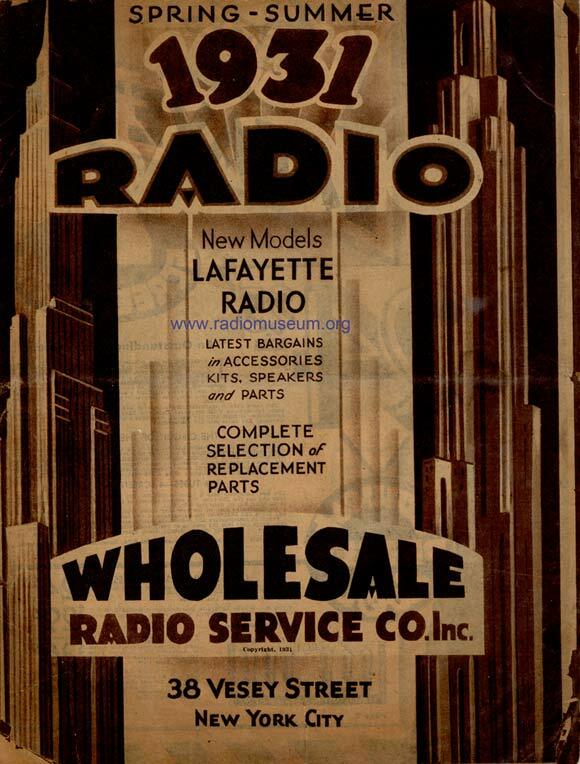 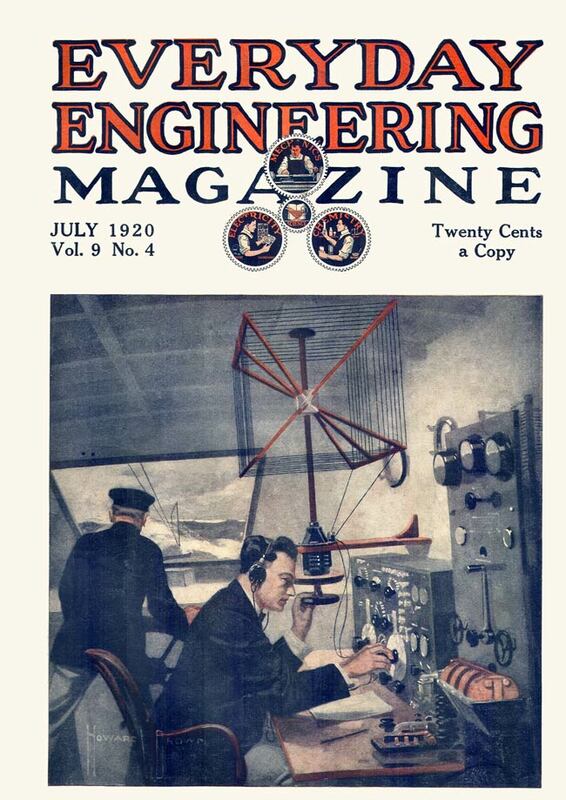 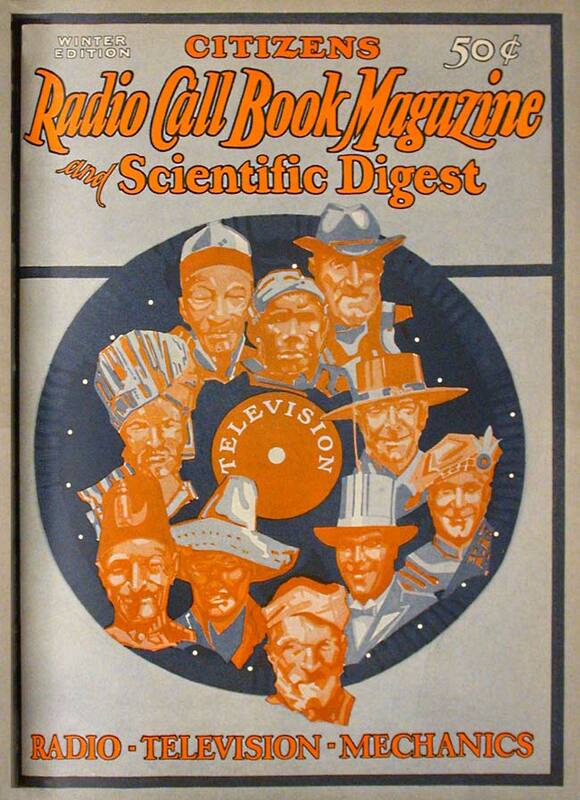 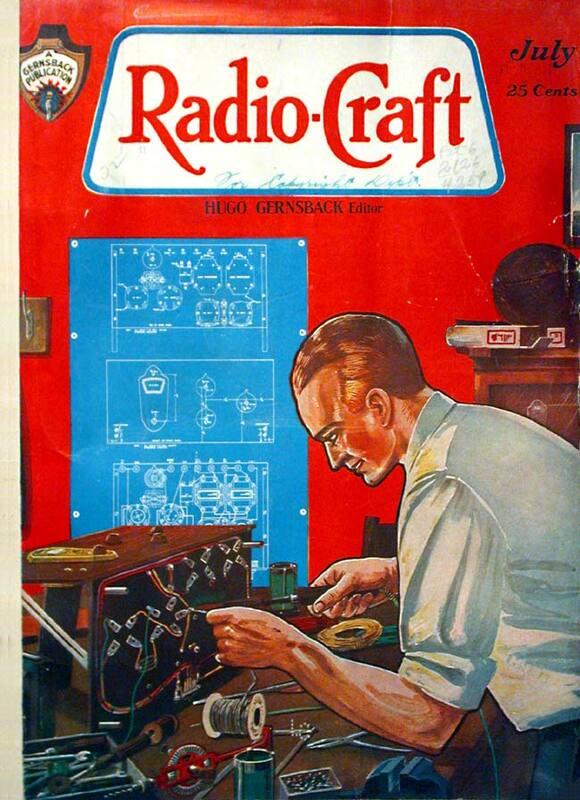 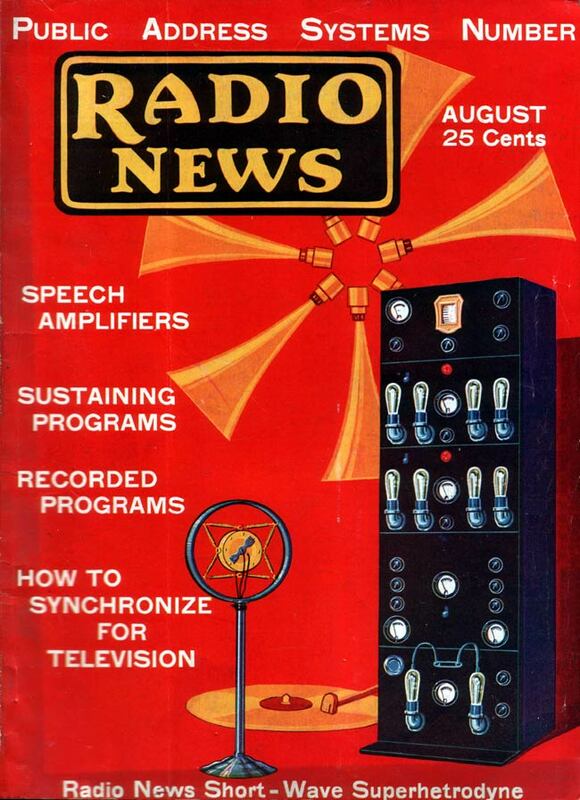 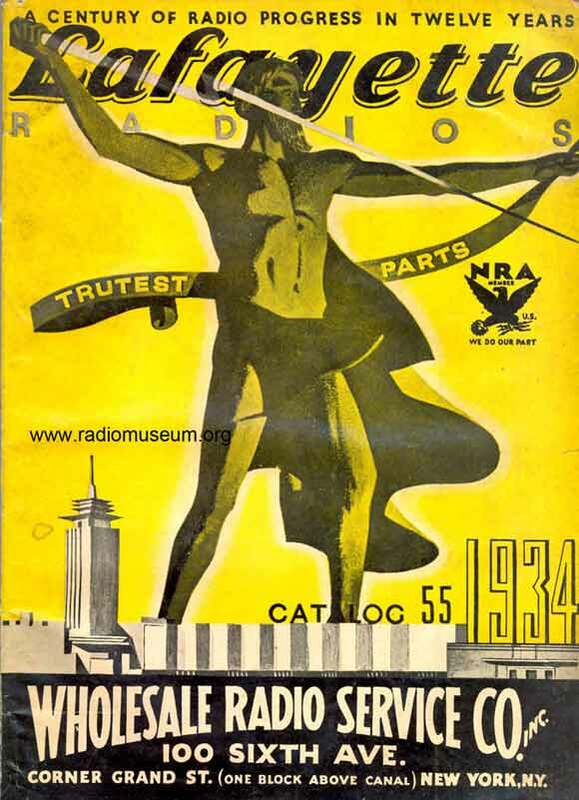 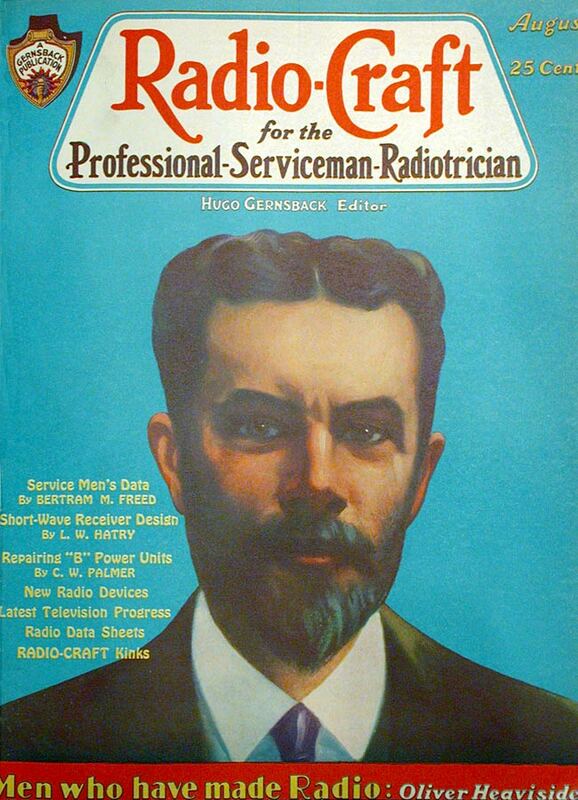 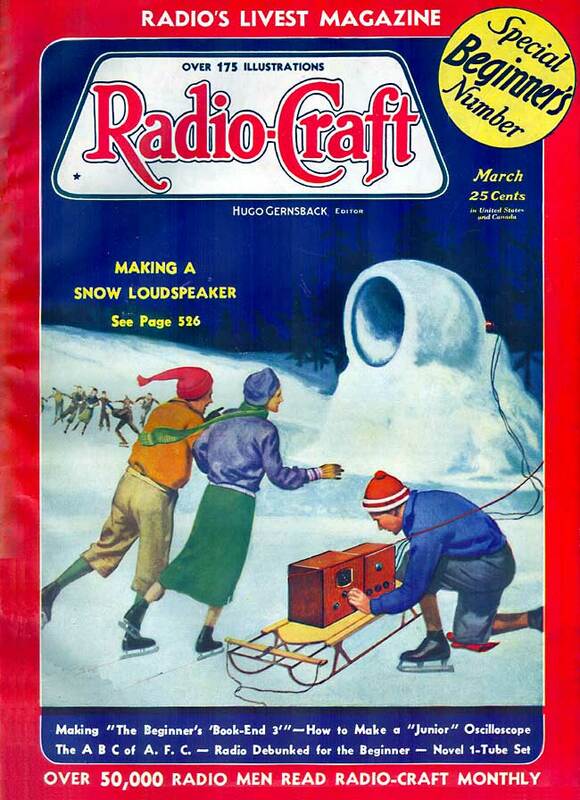 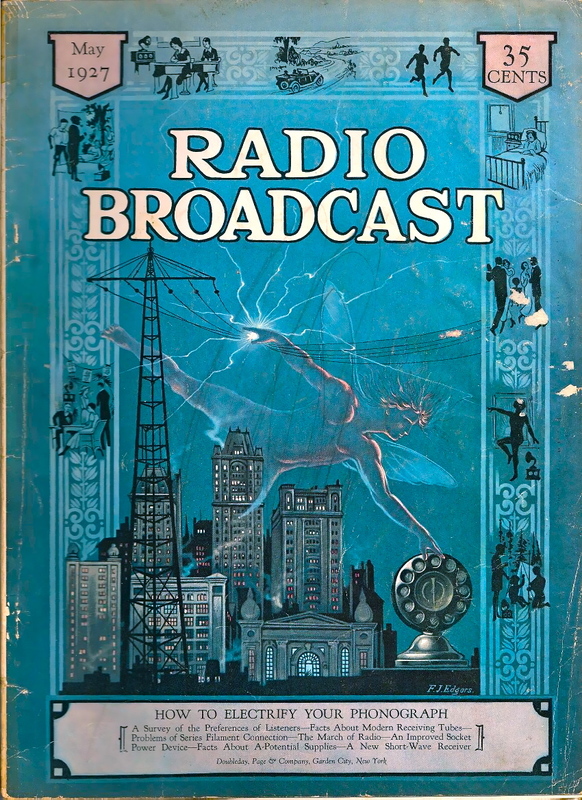 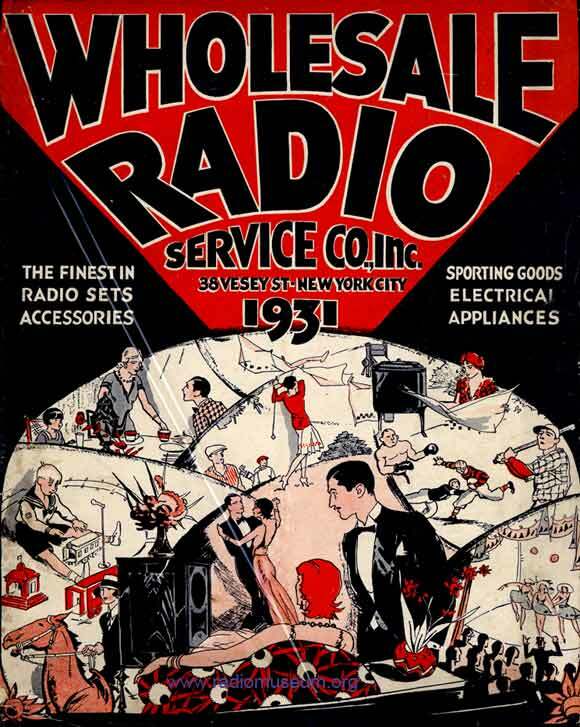 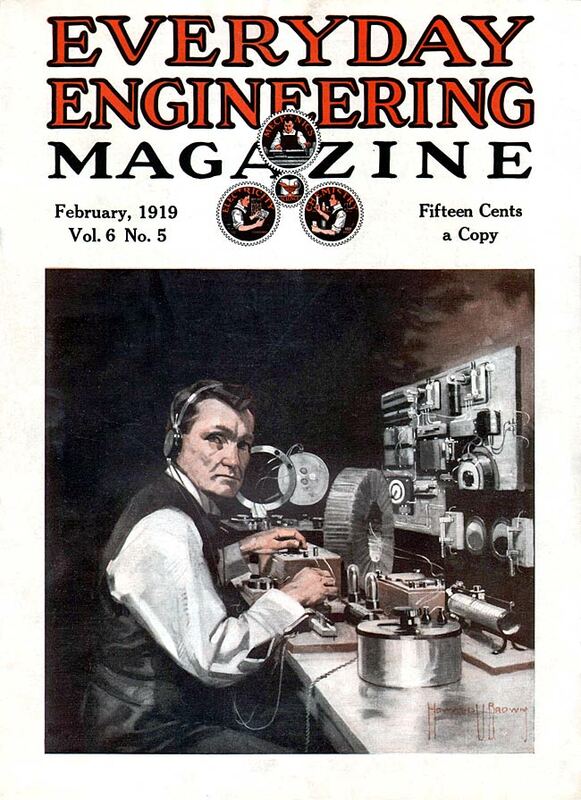 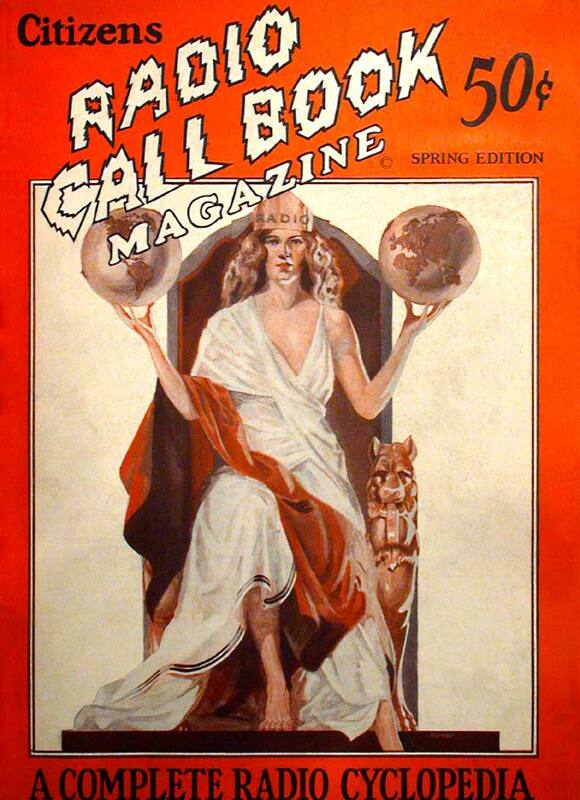 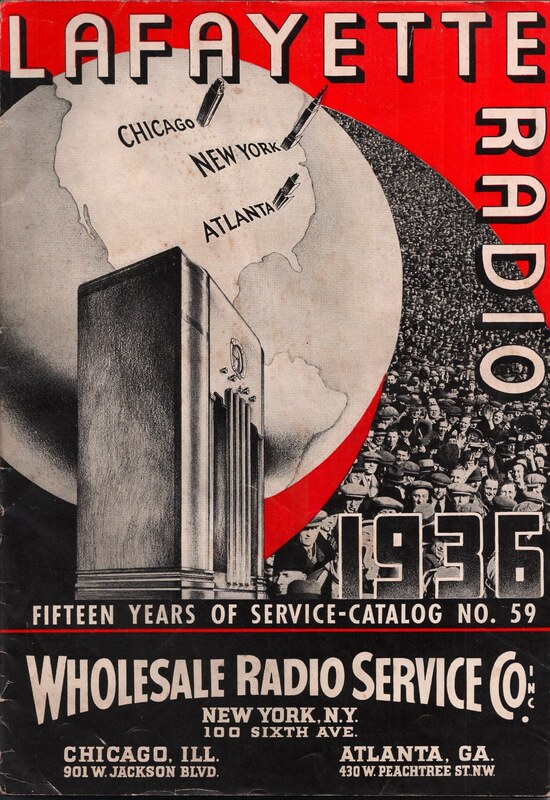 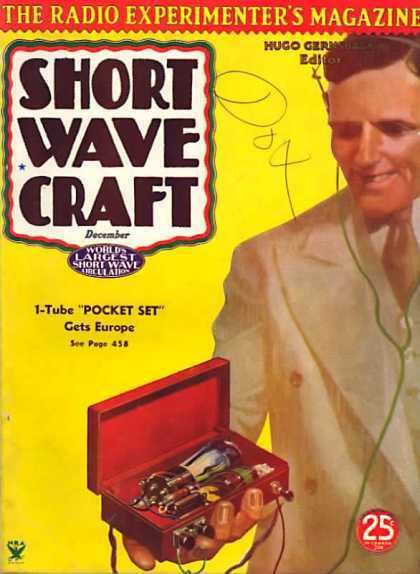 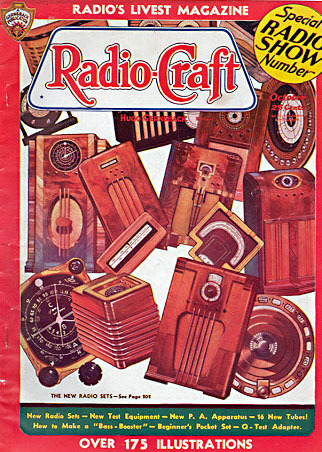 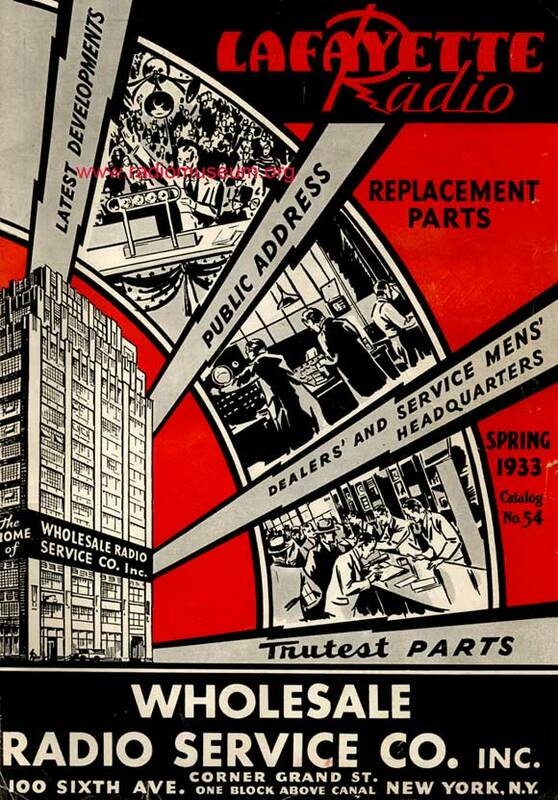 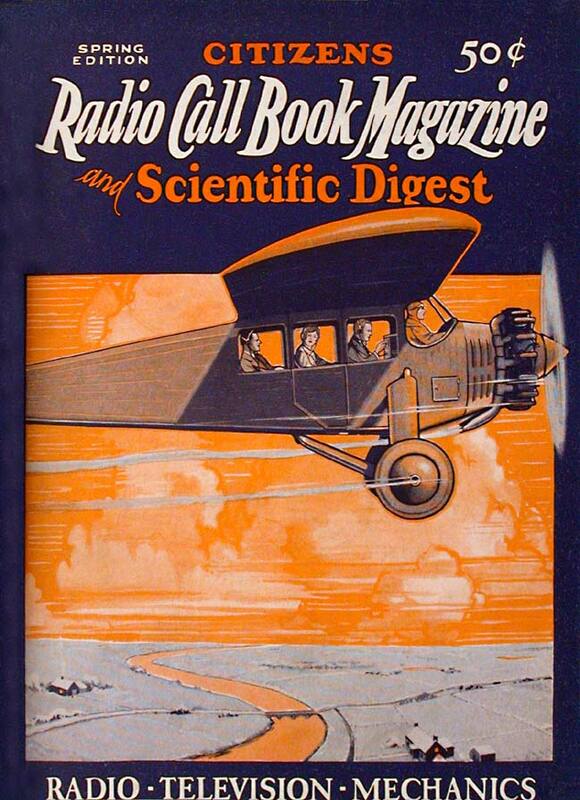 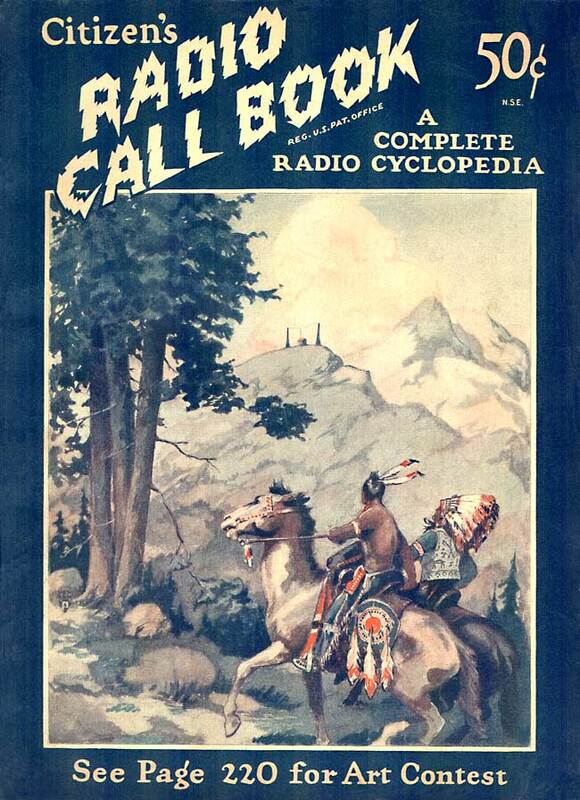 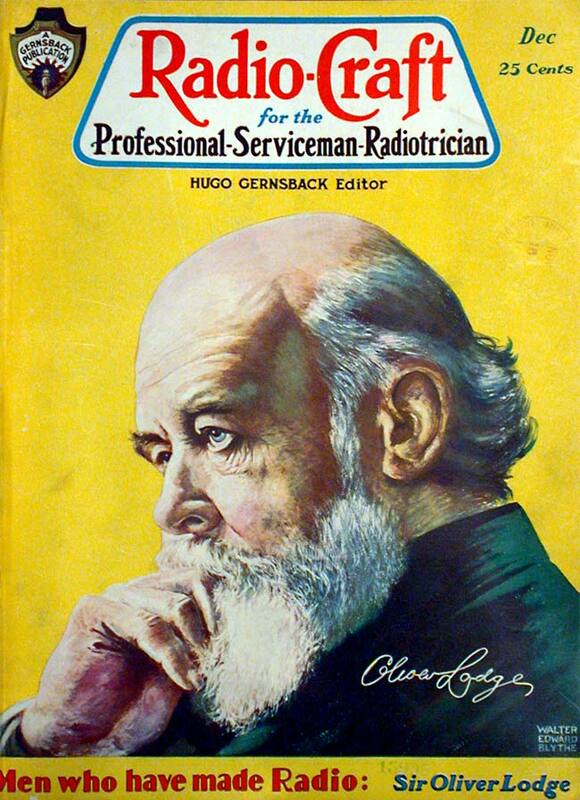 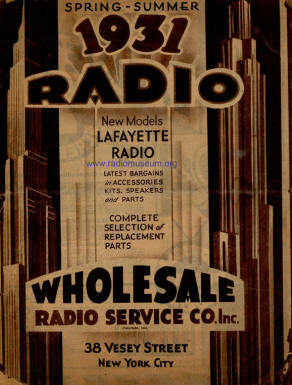 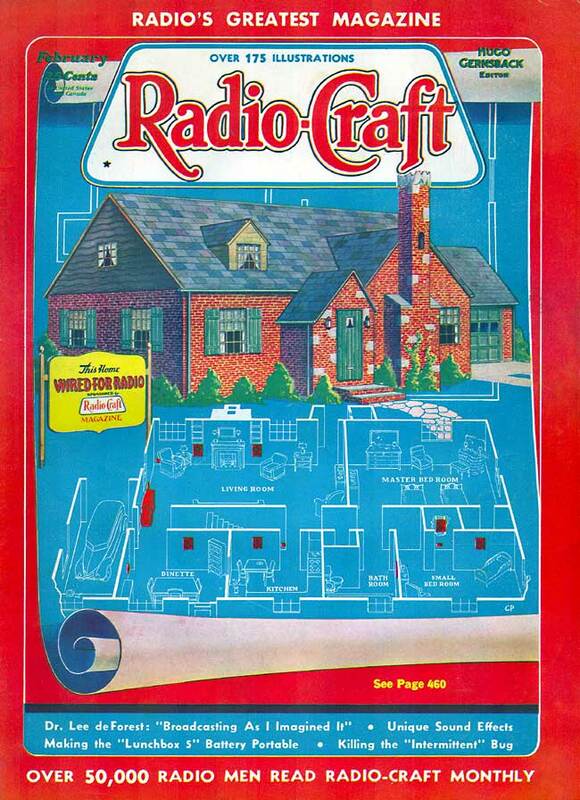 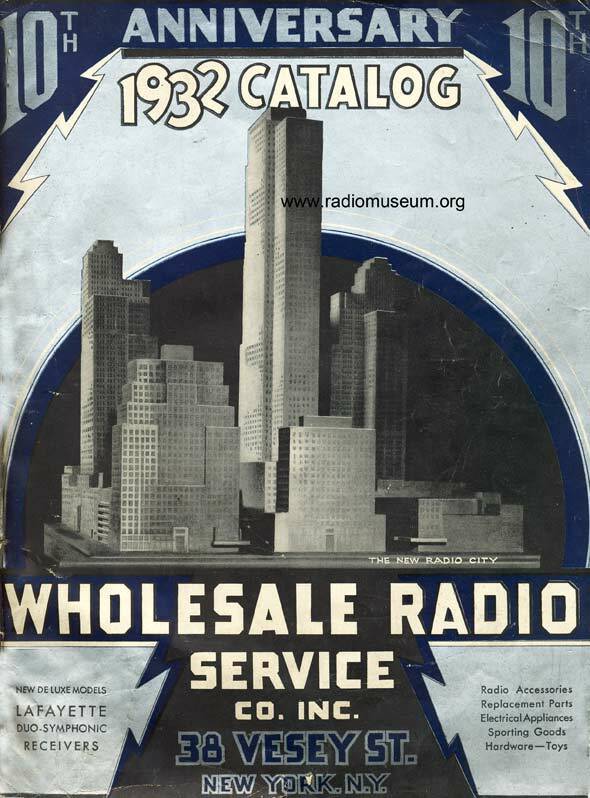 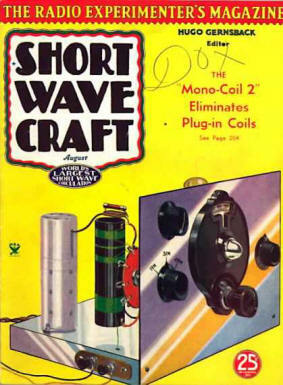 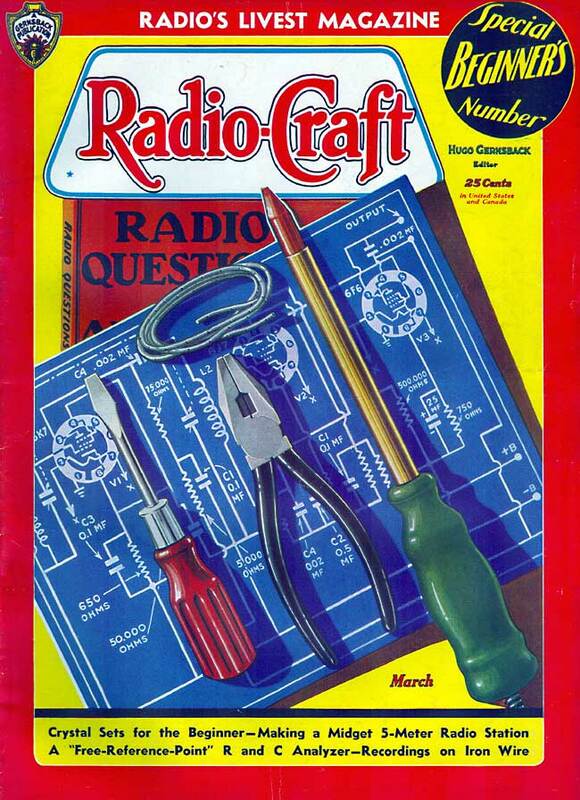 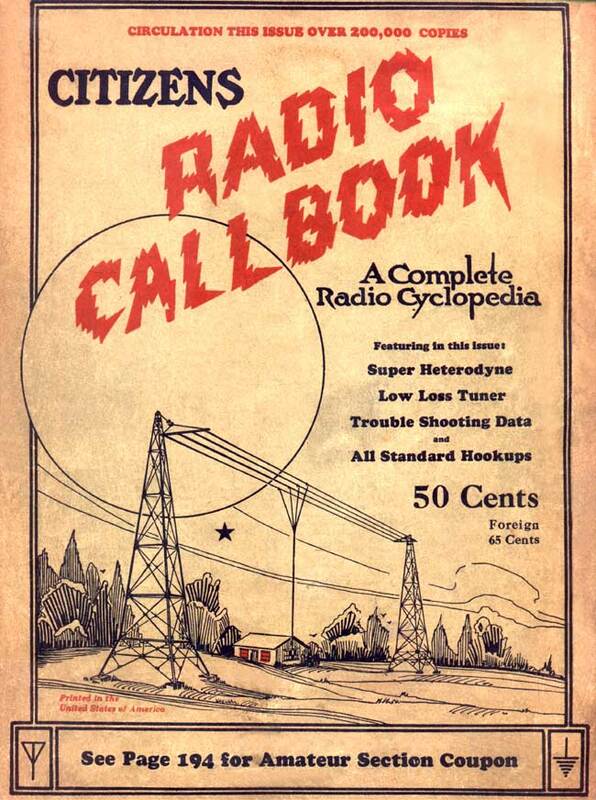 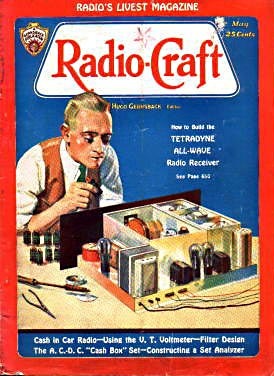 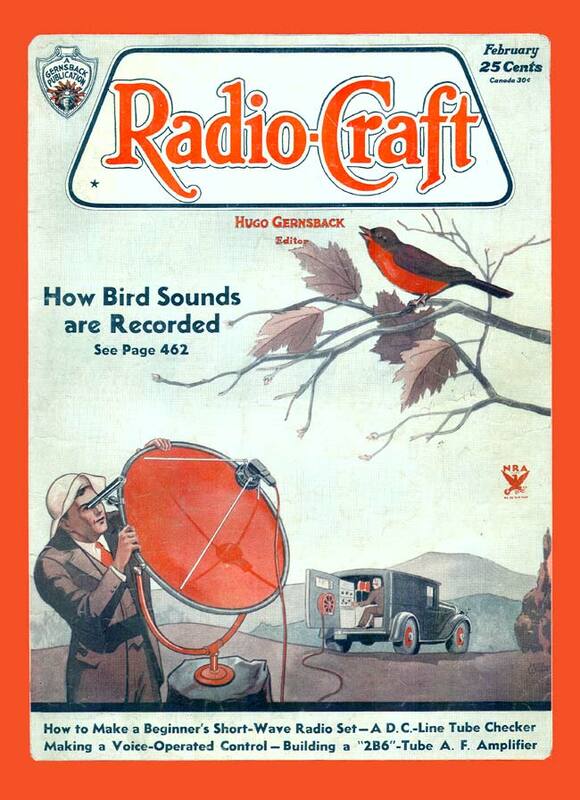 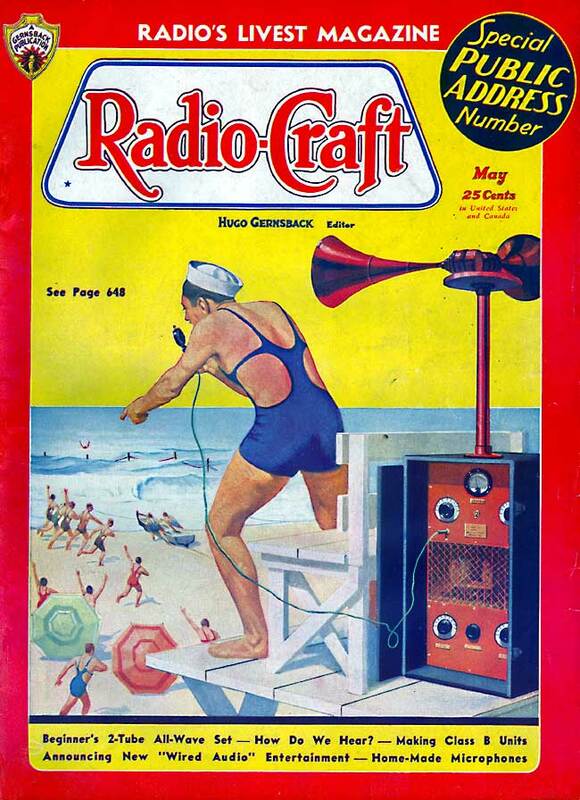 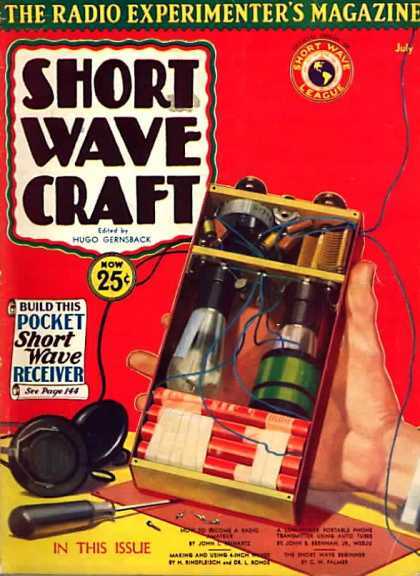 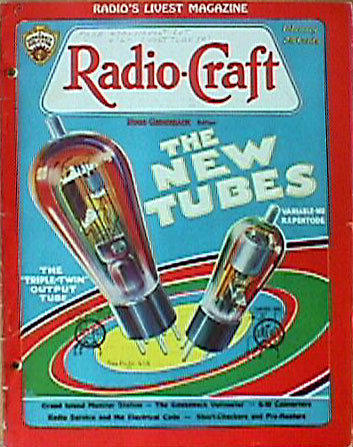 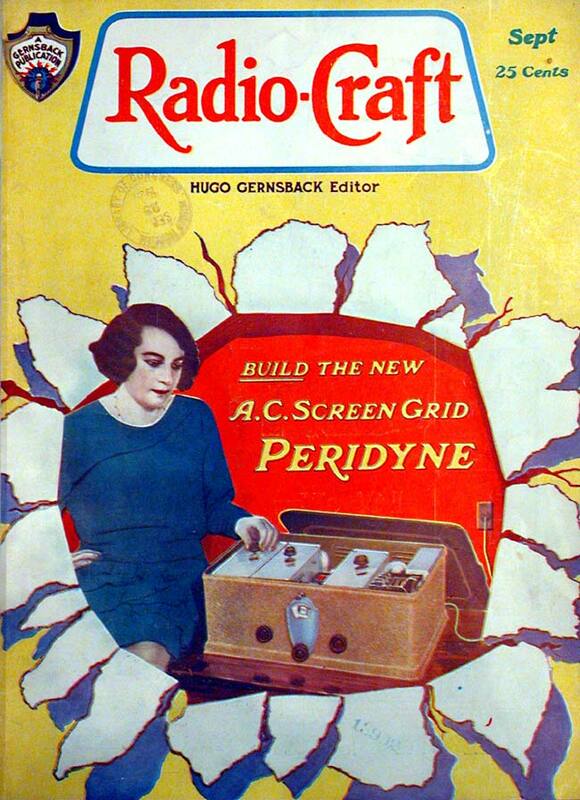 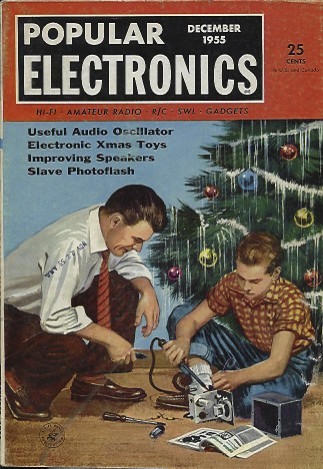 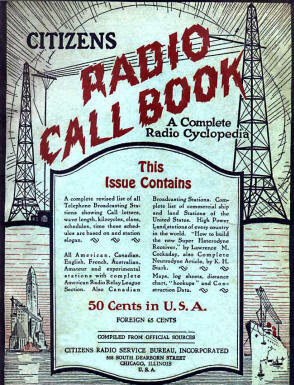 In the early, some may say golden days of radio, both magazines and catalogs were full of marvelous colored illustrations and artwork, often about the latest radio personality, discovery or circuit. 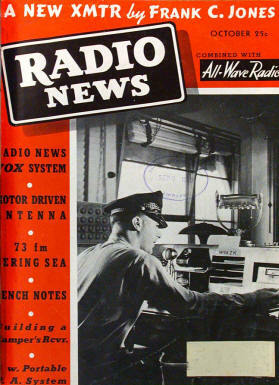 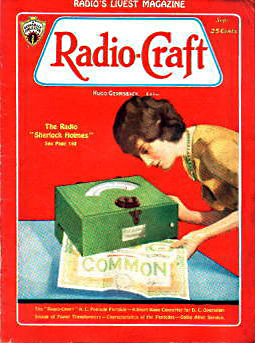 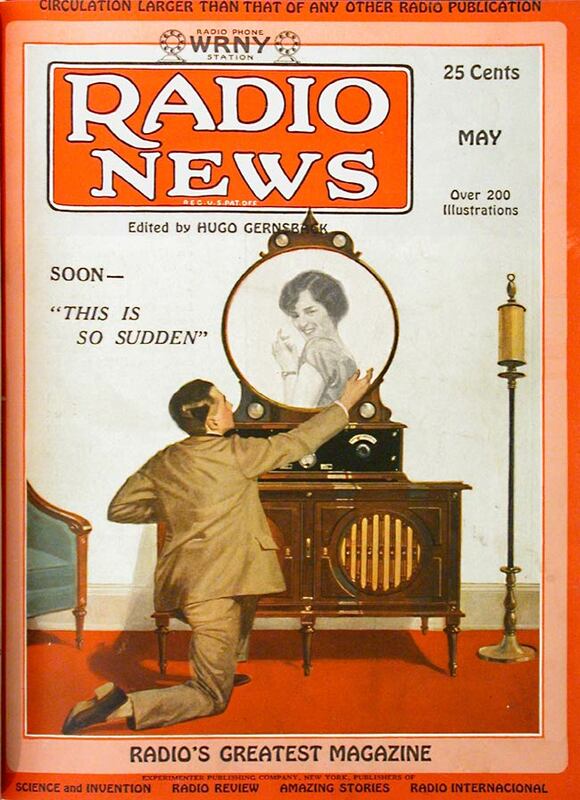 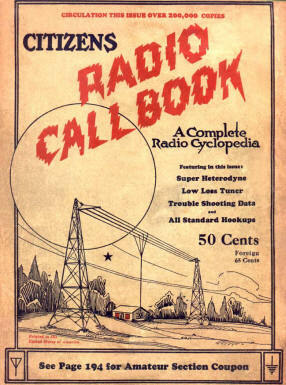 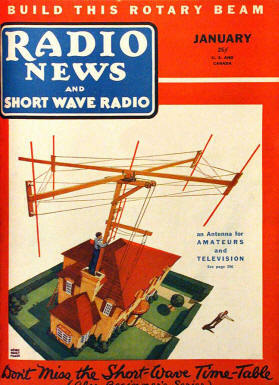 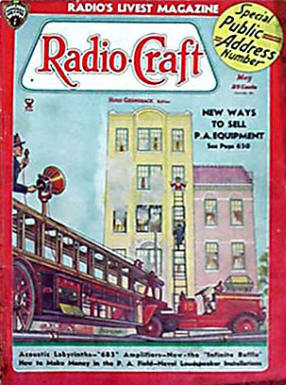 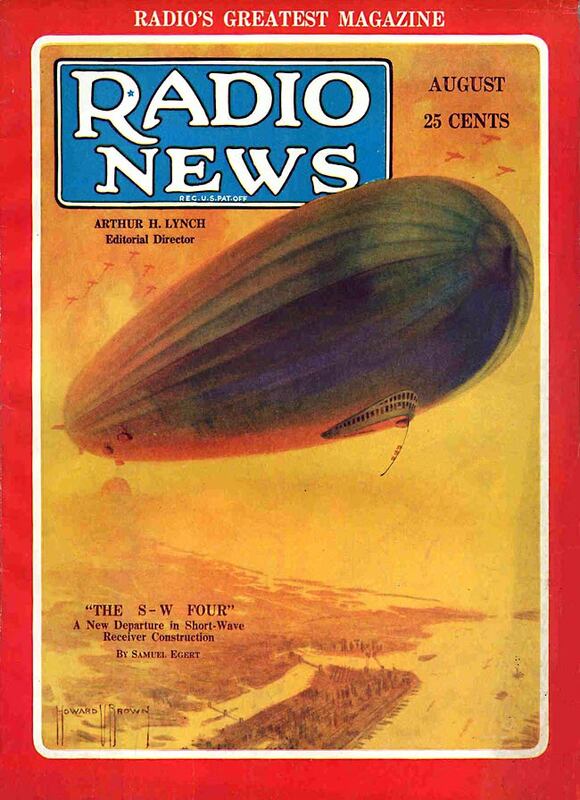 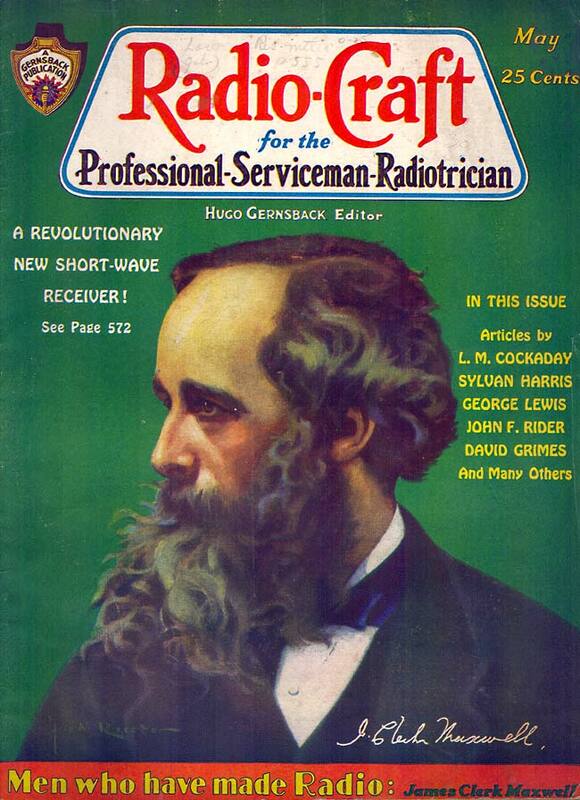 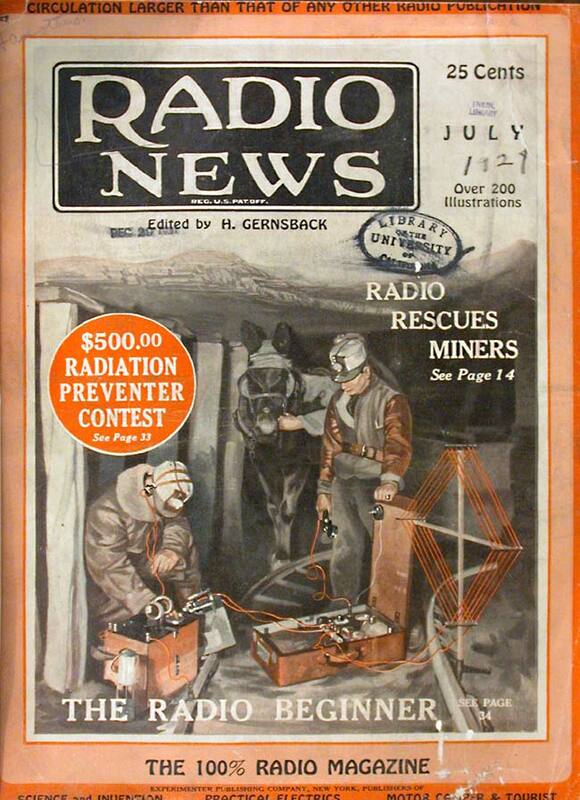 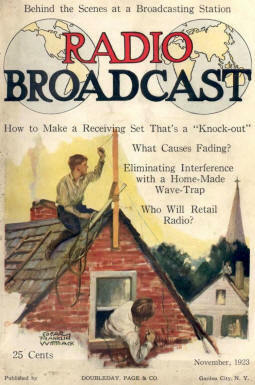 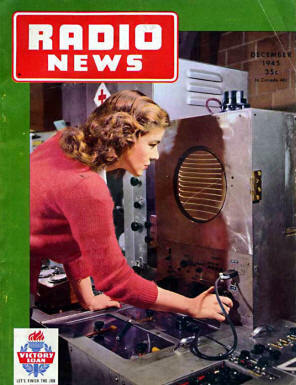 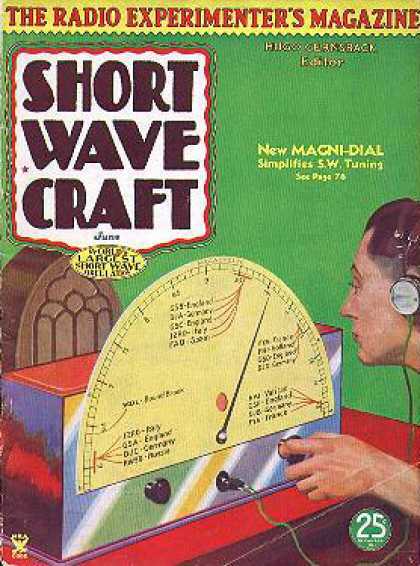 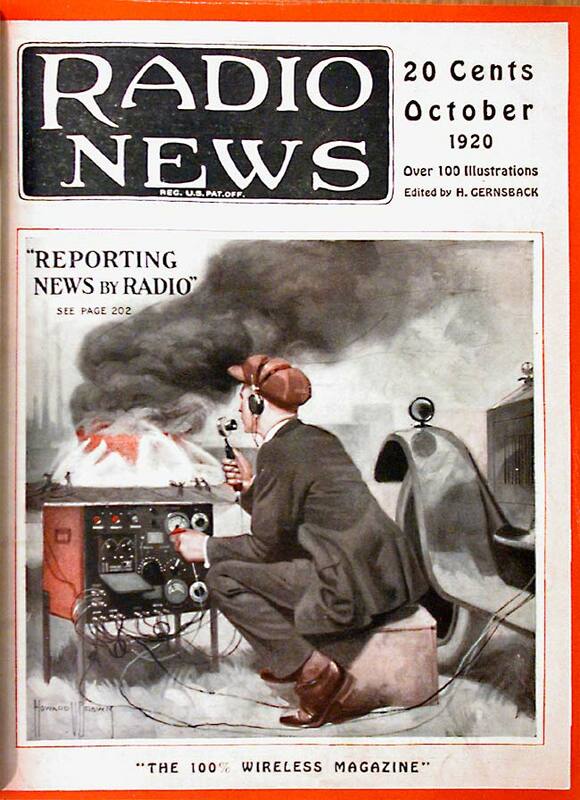 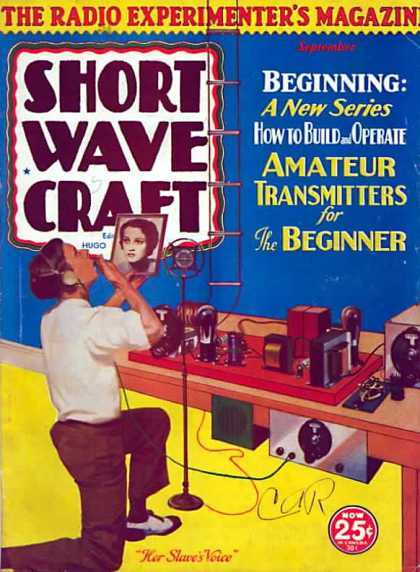 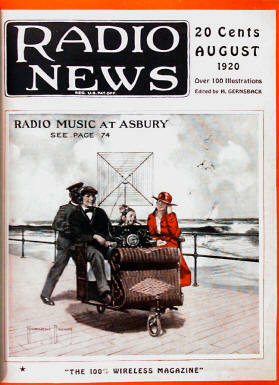 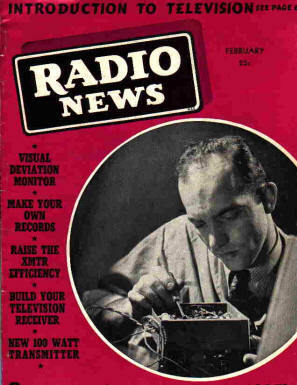 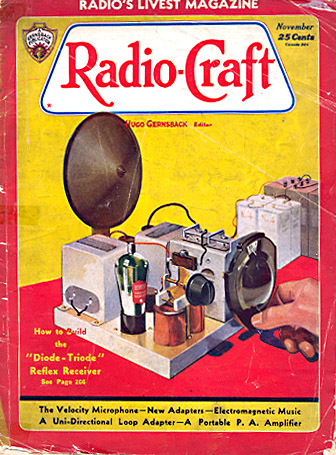 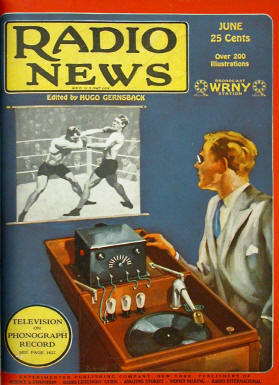 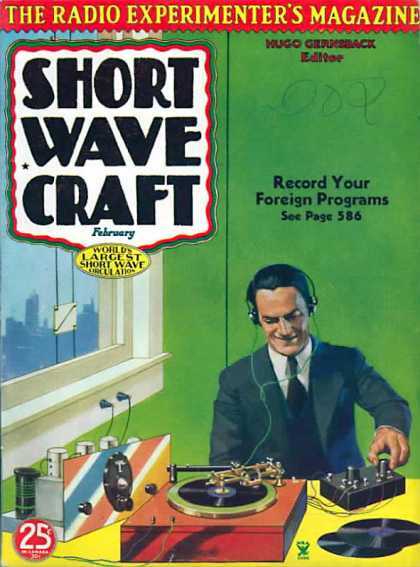 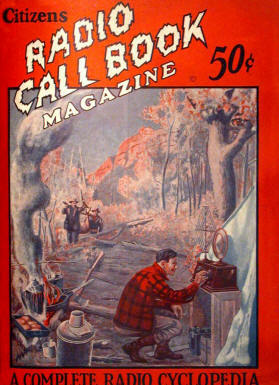 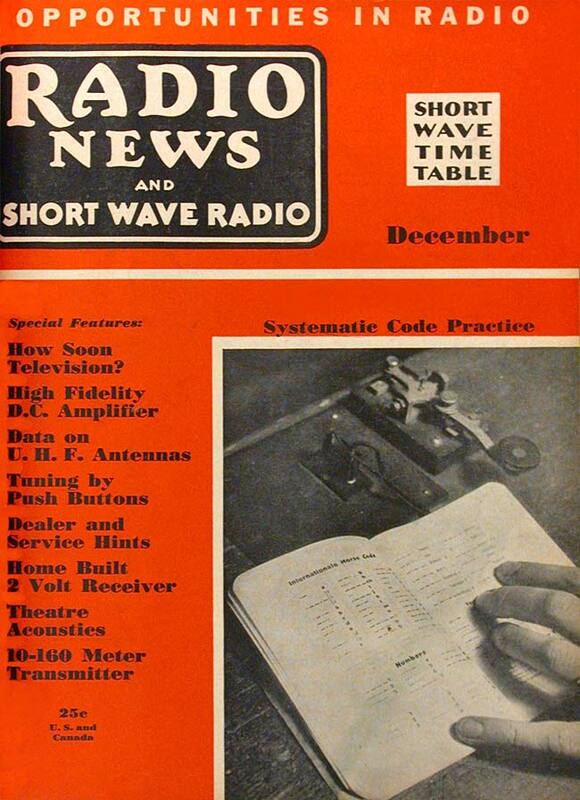 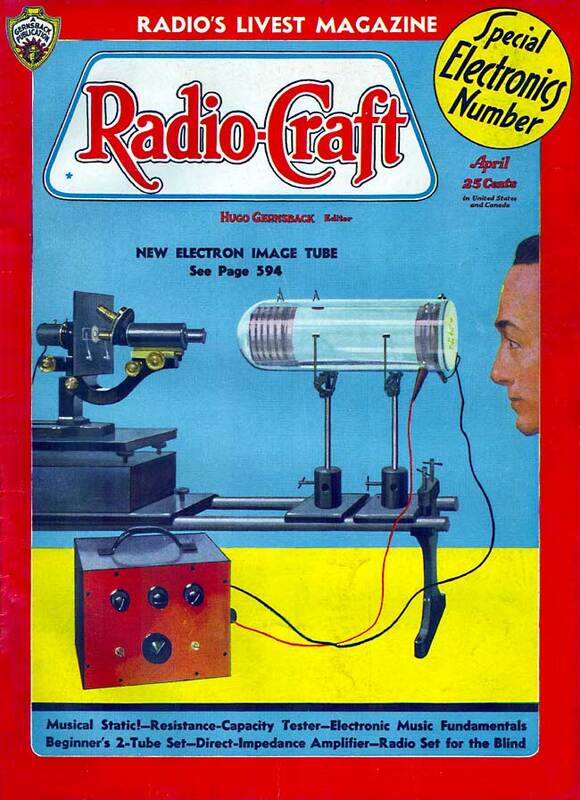 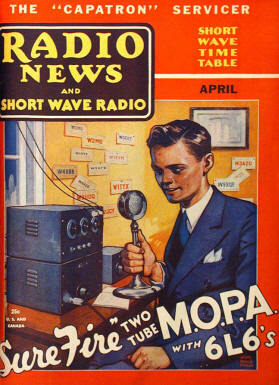 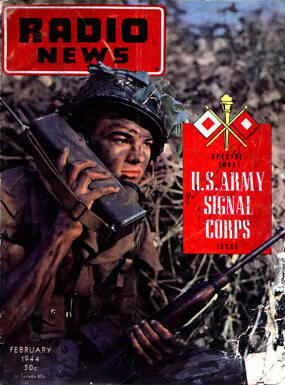 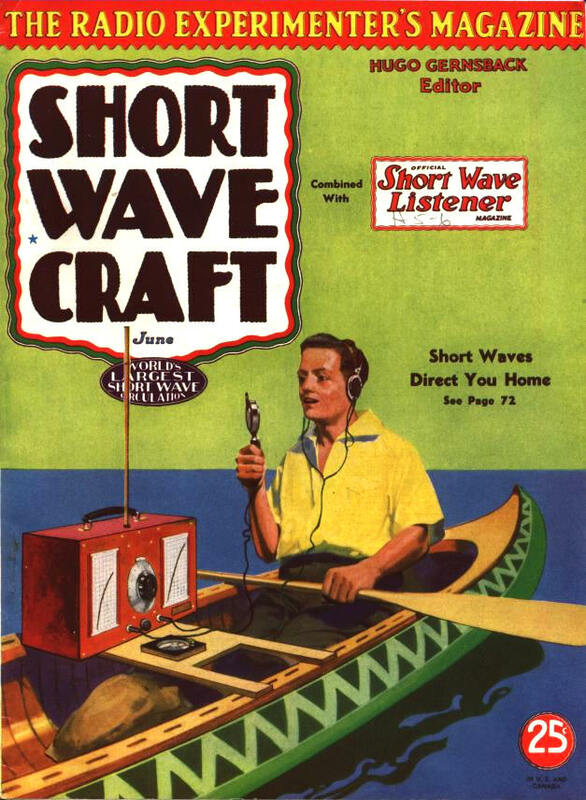 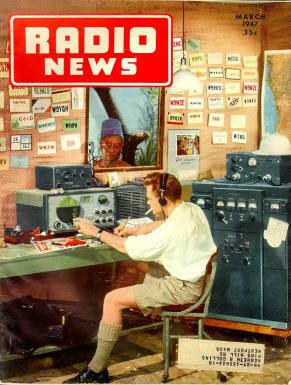 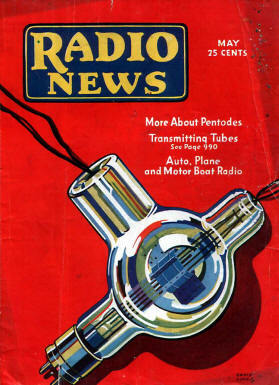 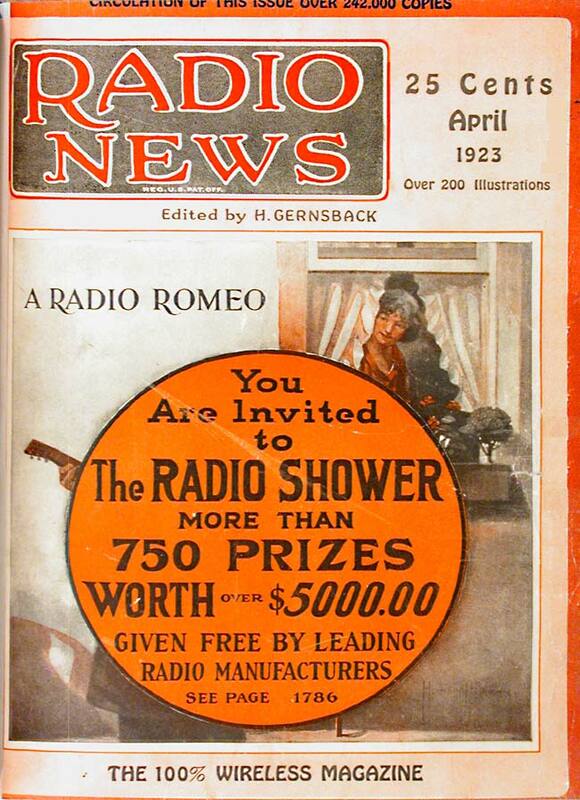 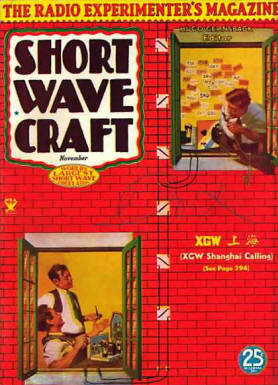 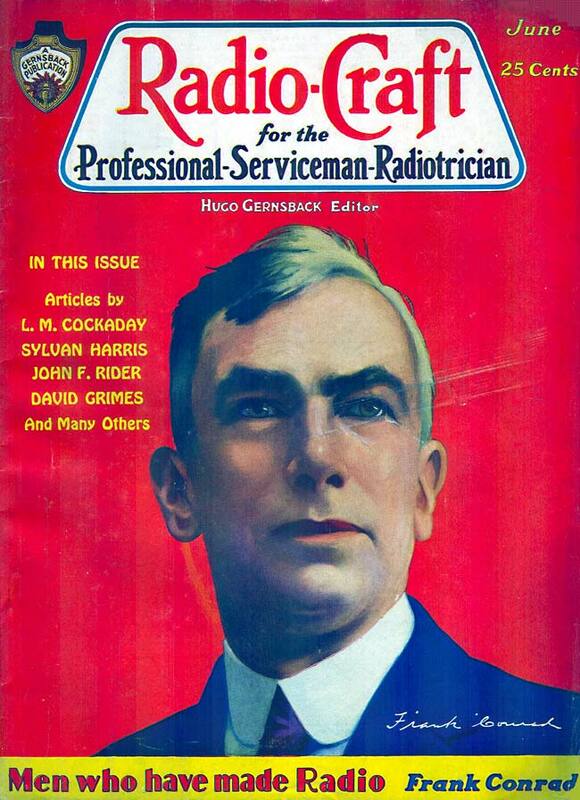 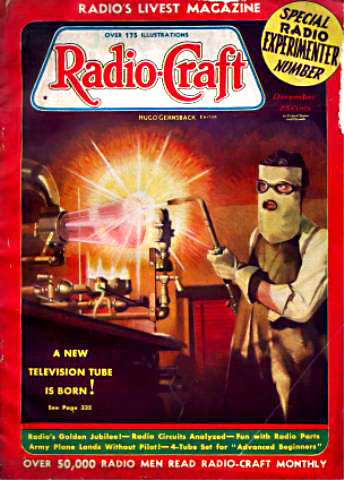 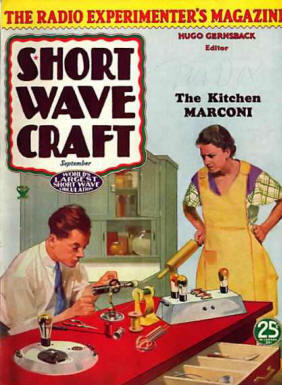 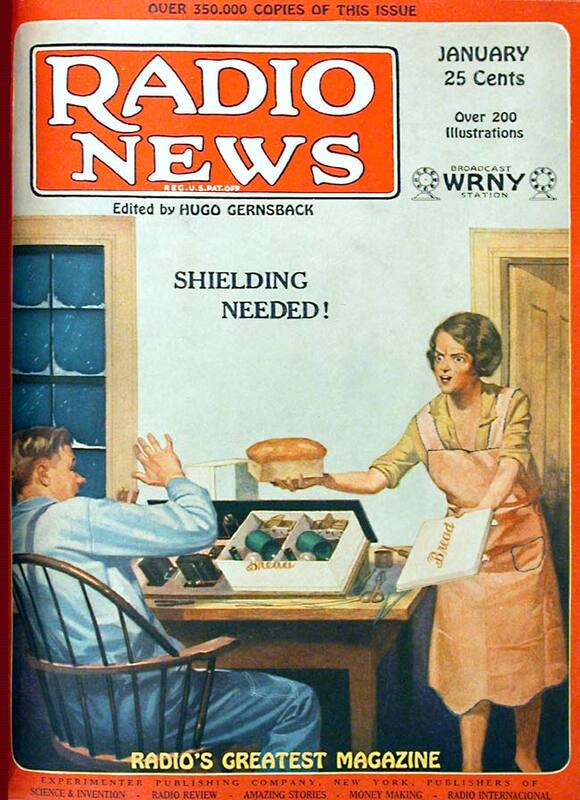 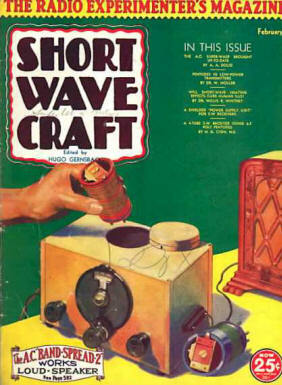 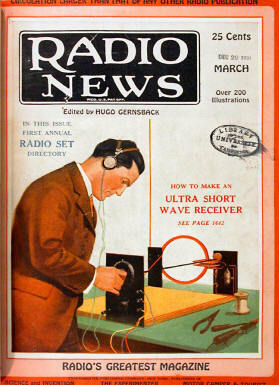 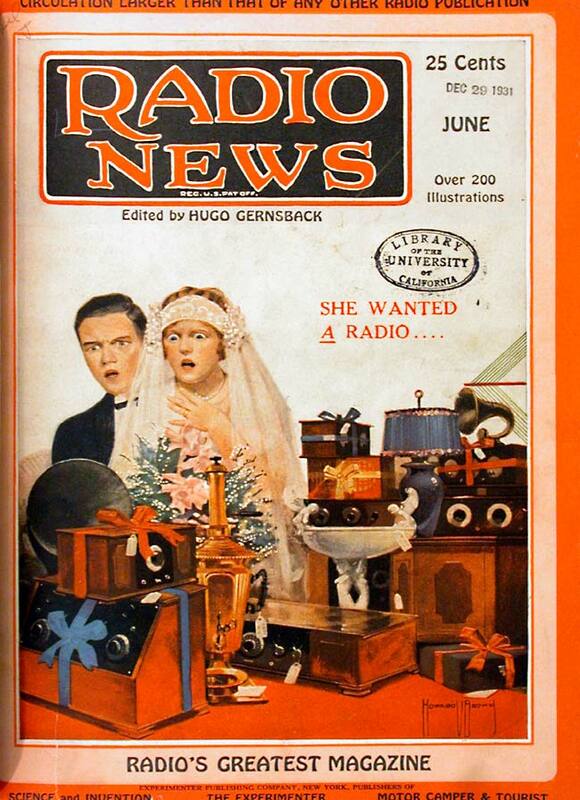 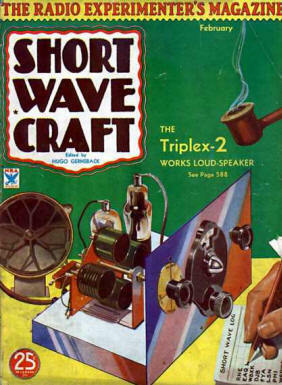 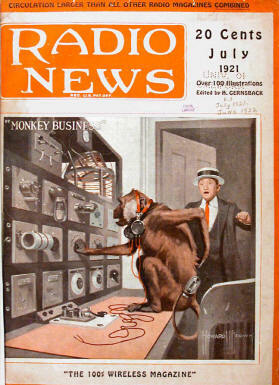 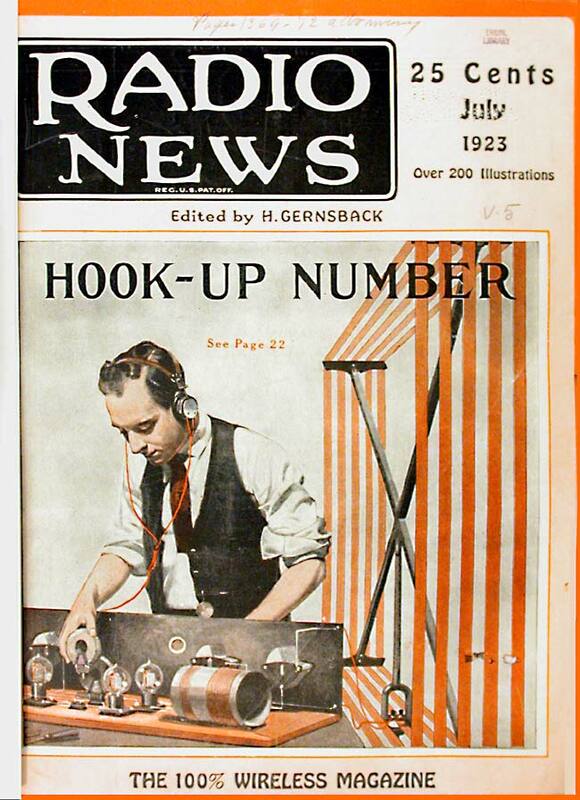 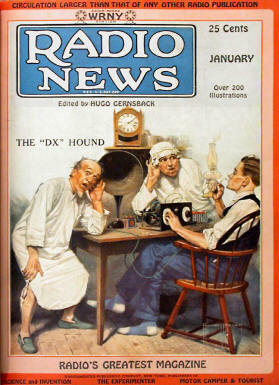 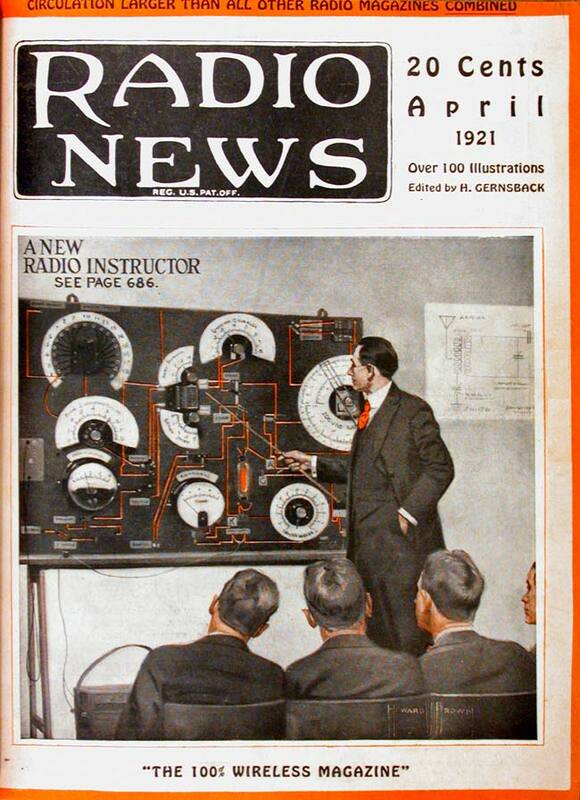 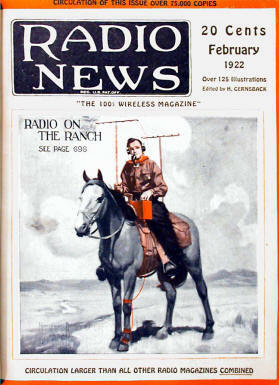 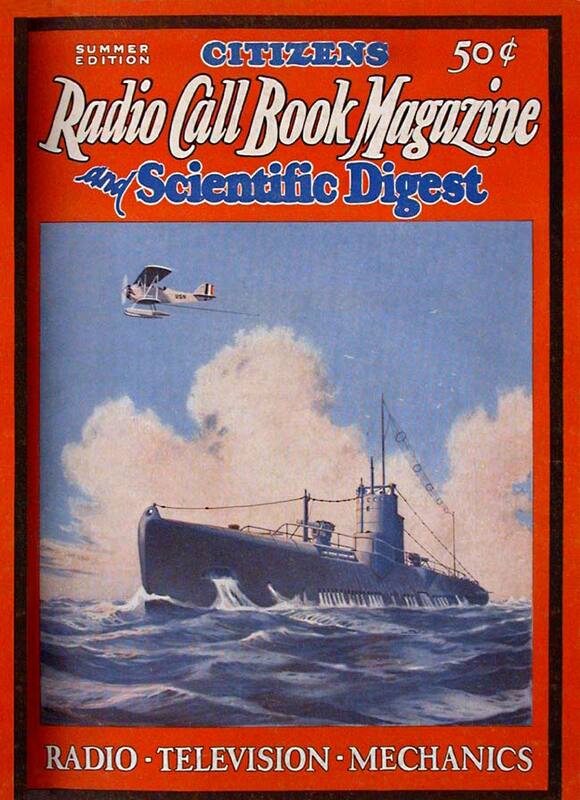 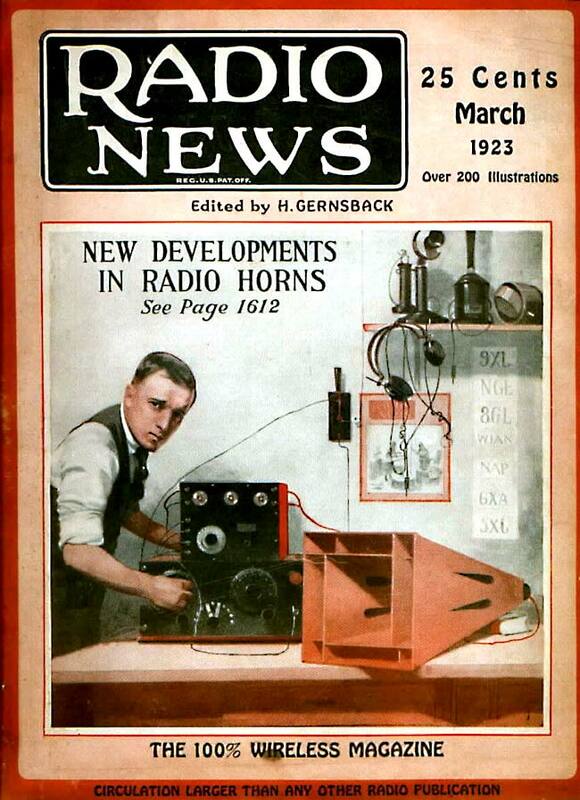 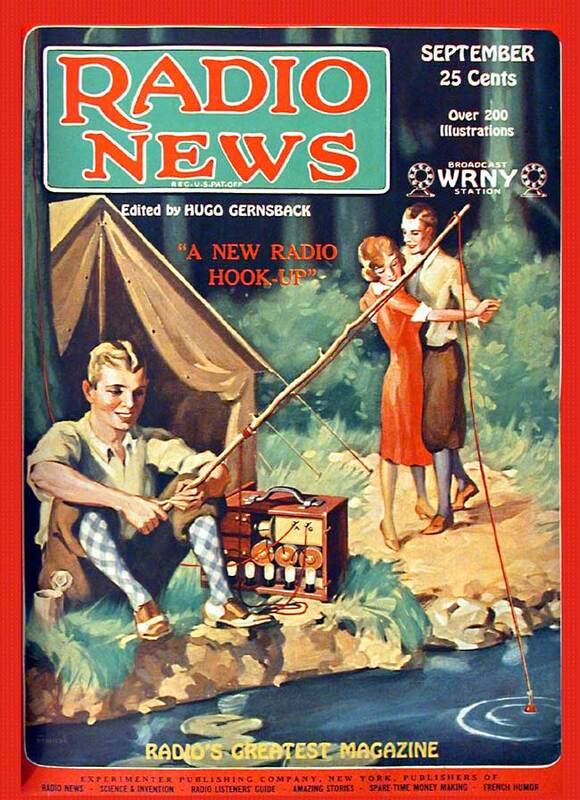 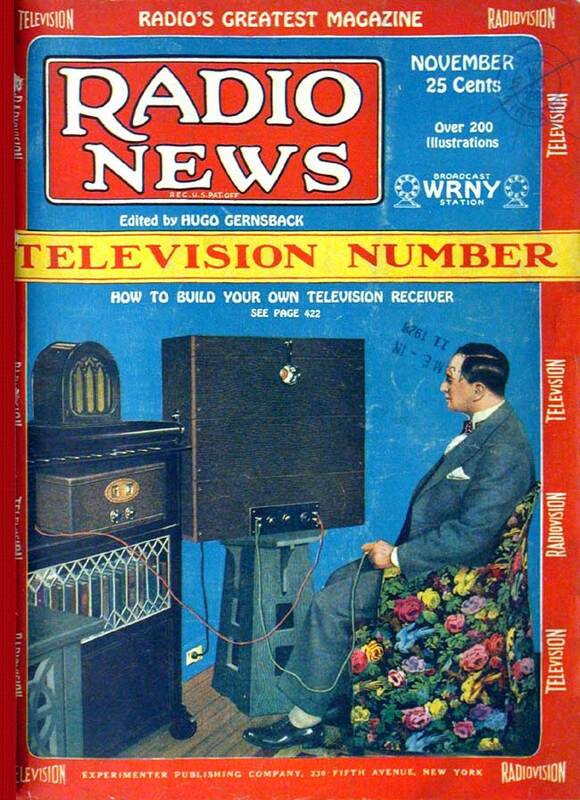 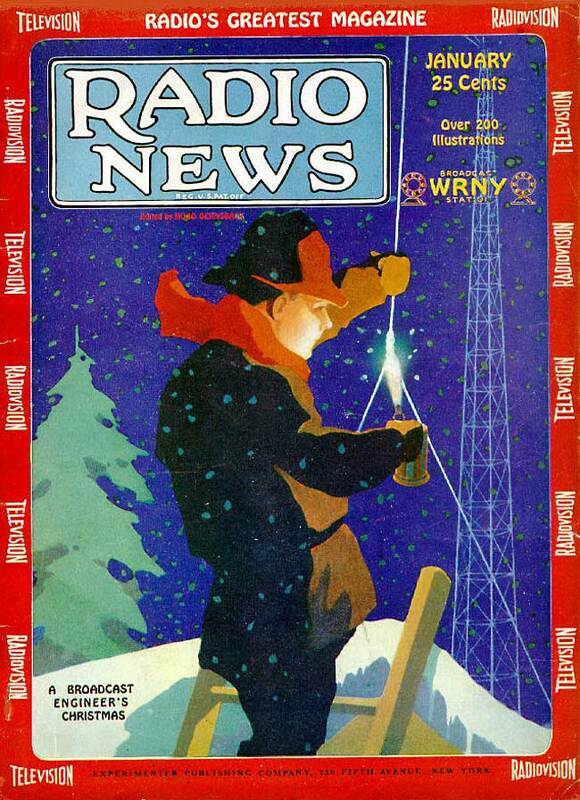 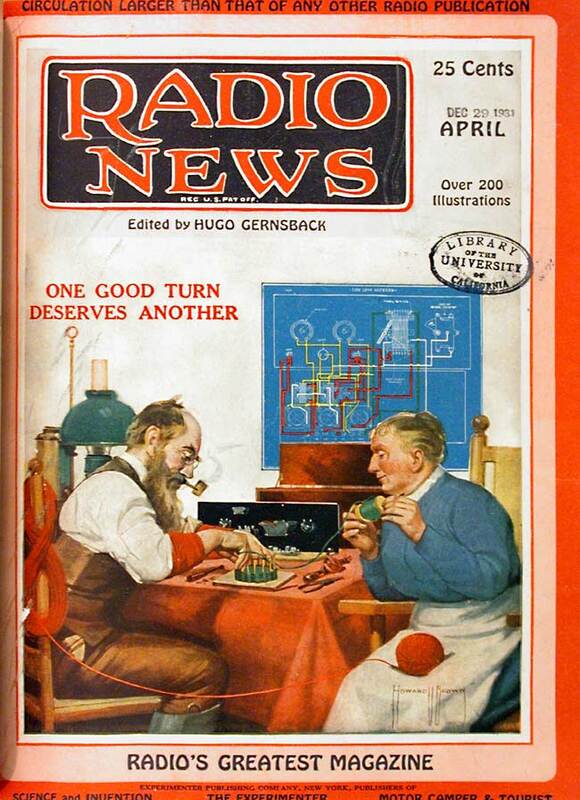 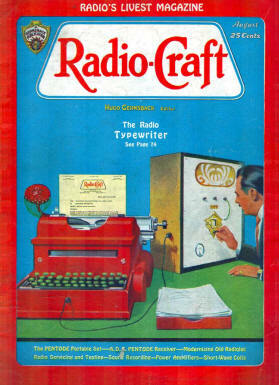 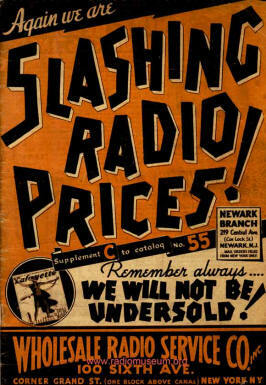 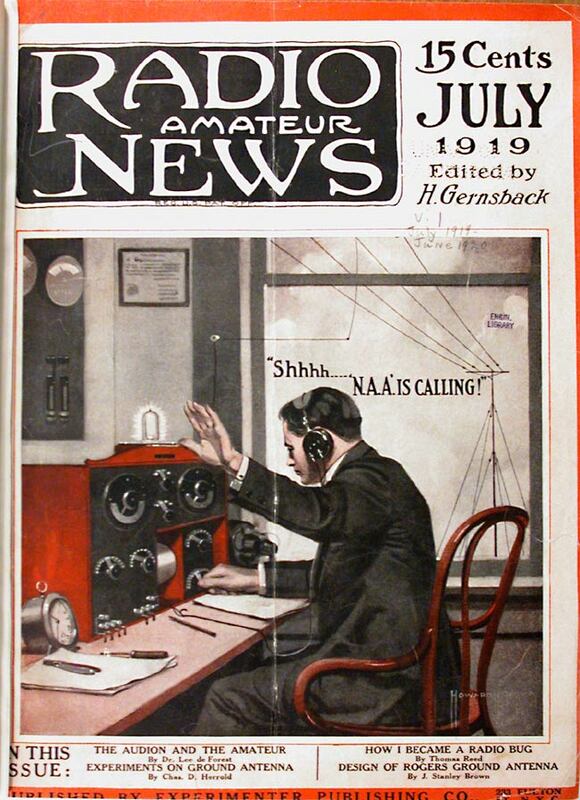 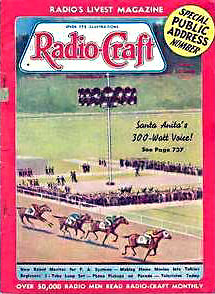 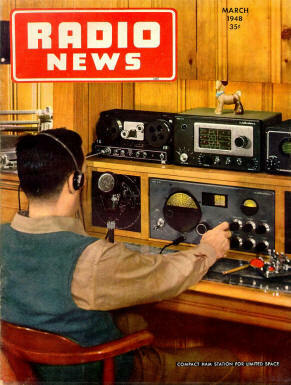 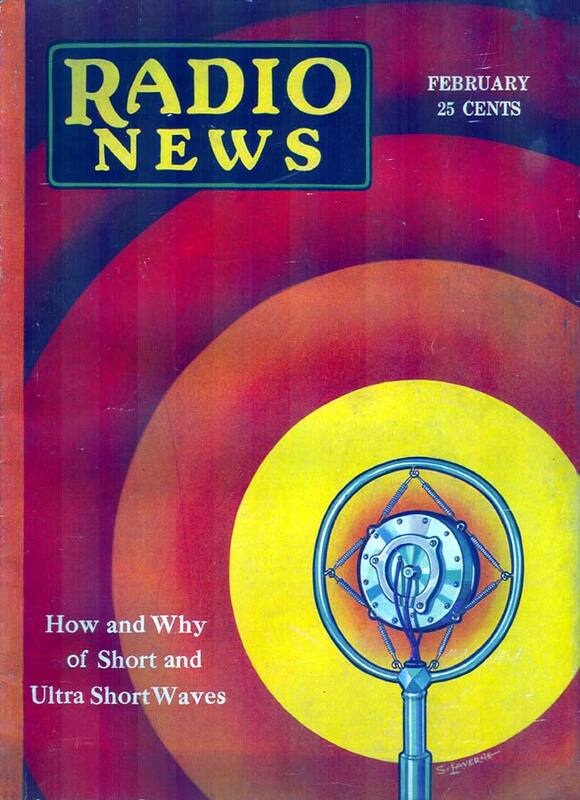 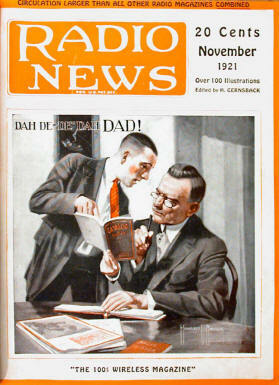 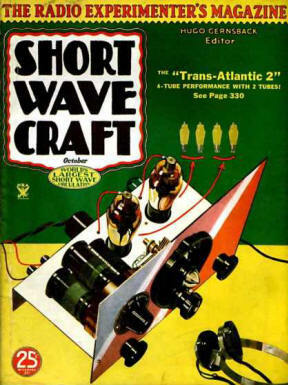 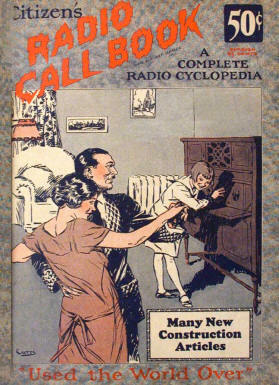 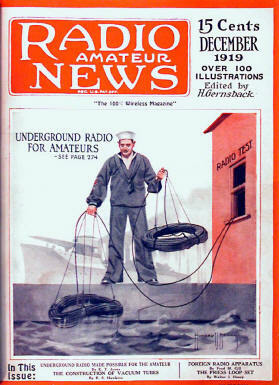 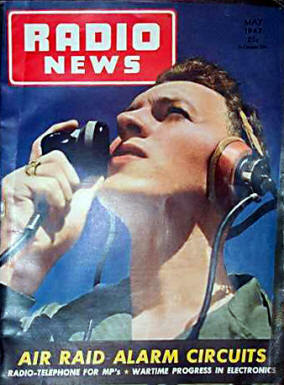 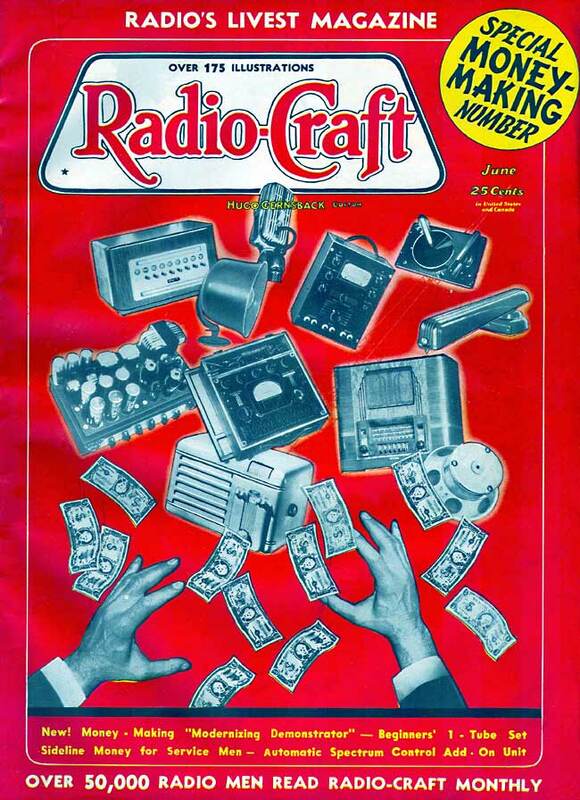 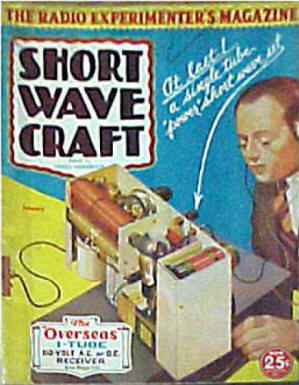 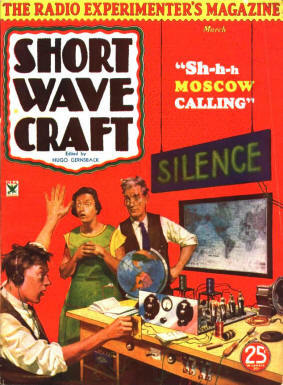 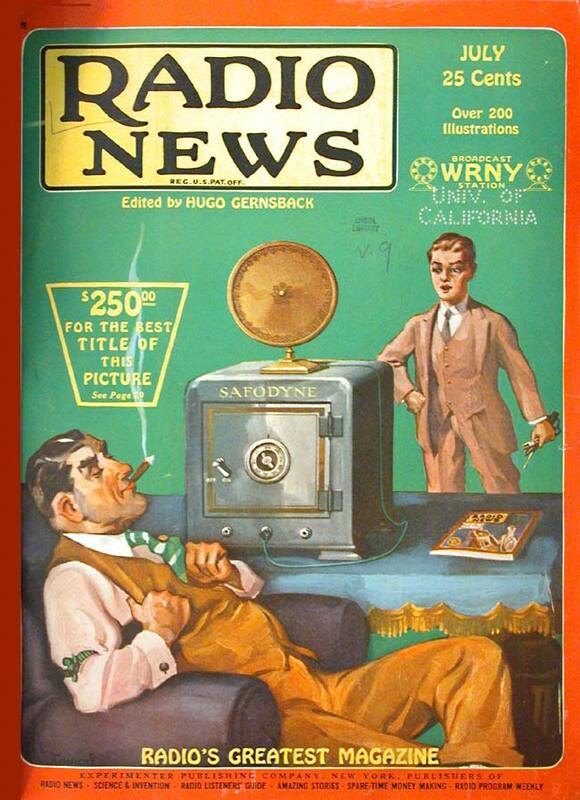 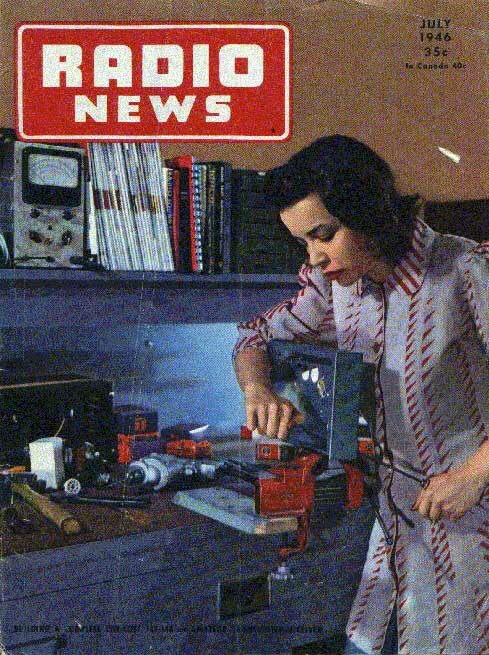 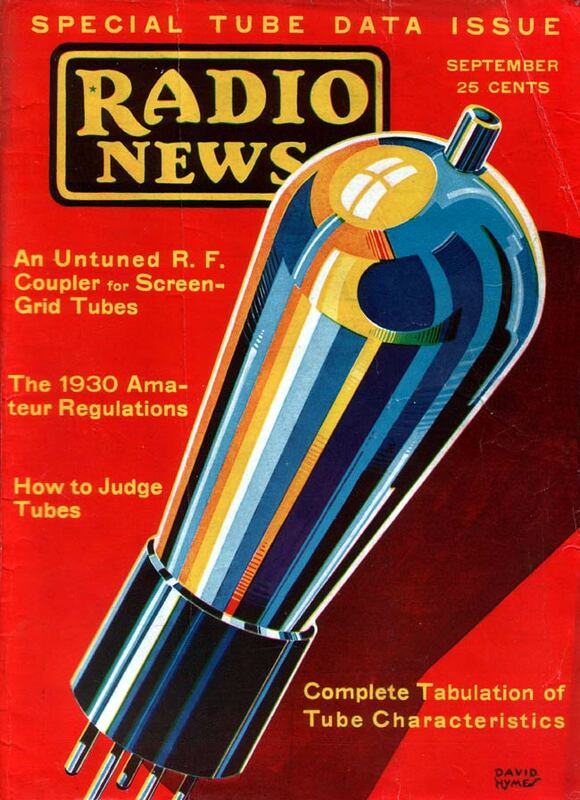 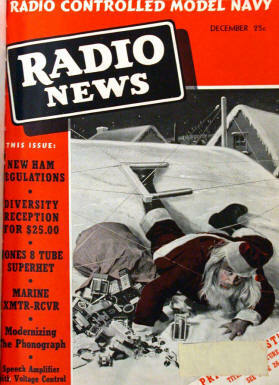 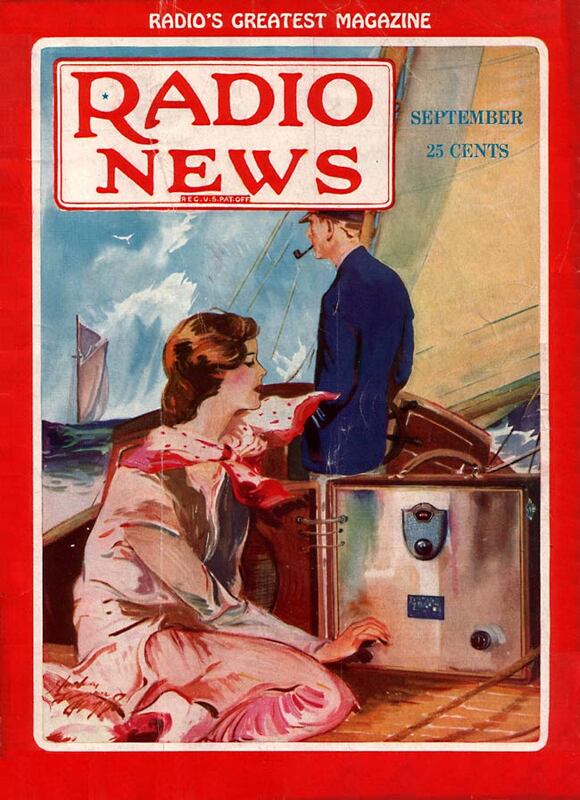 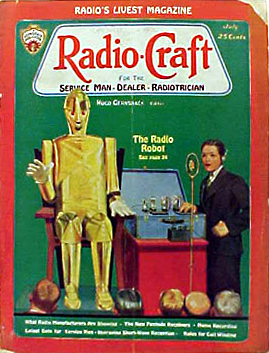 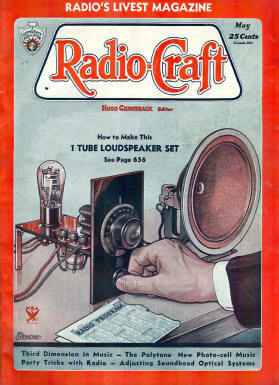 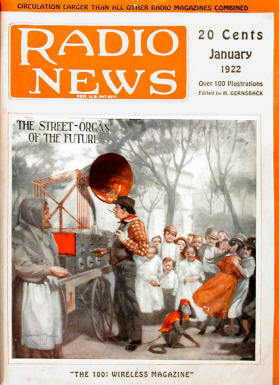 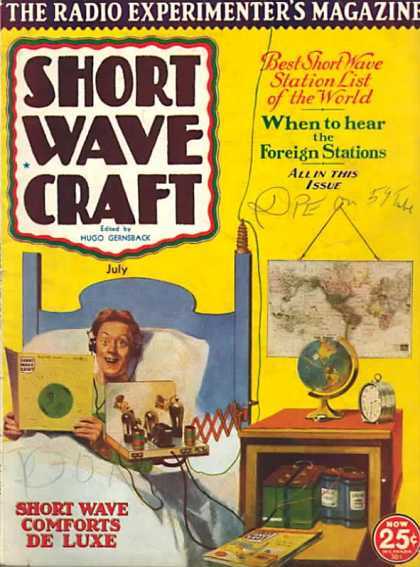 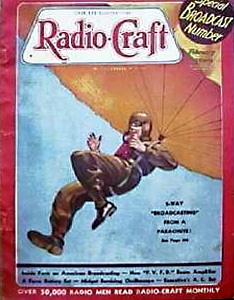 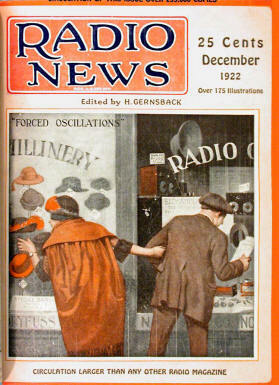 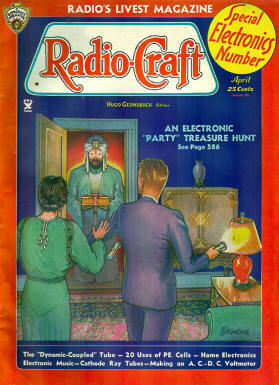 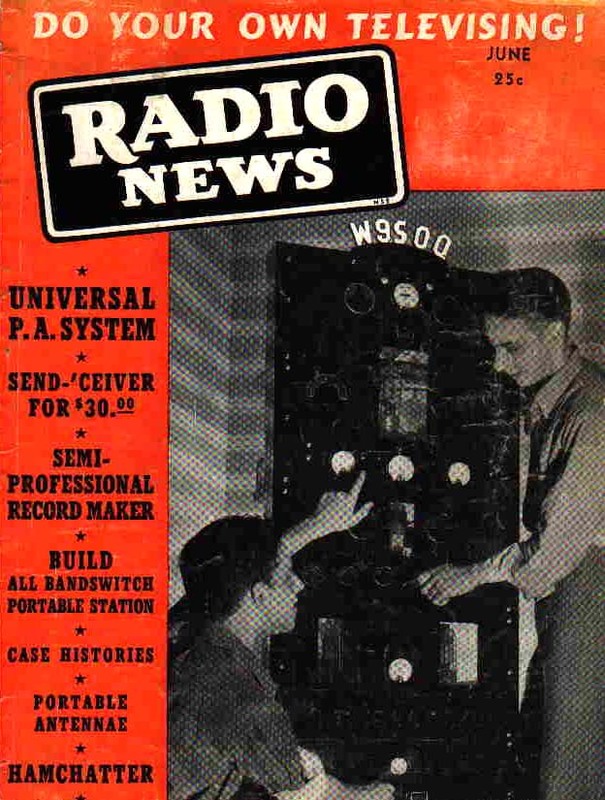 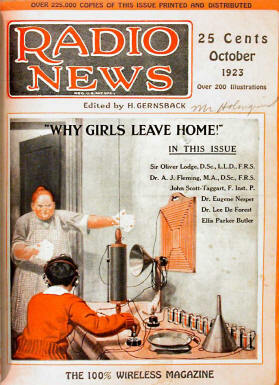 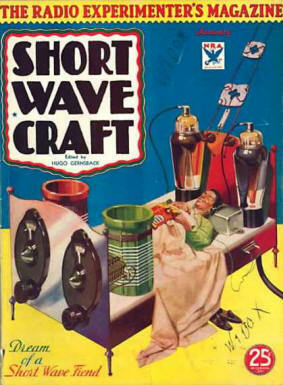 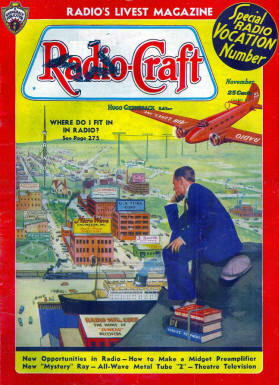 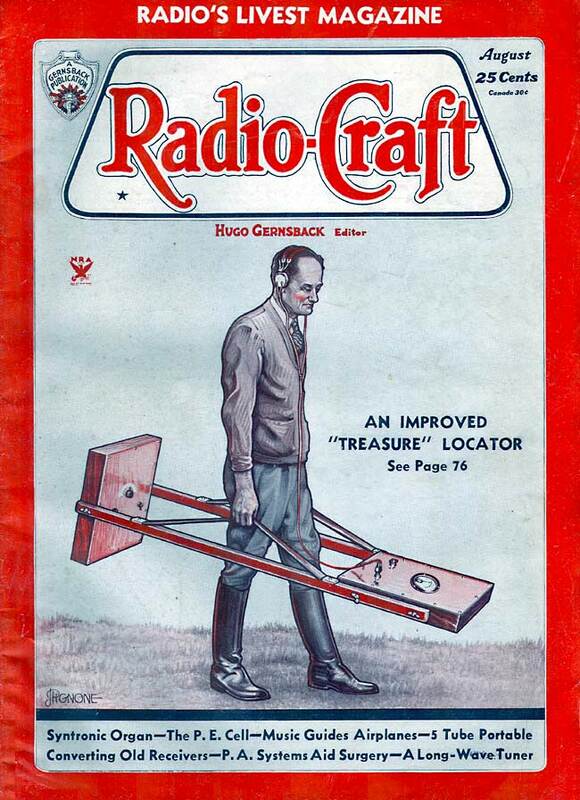 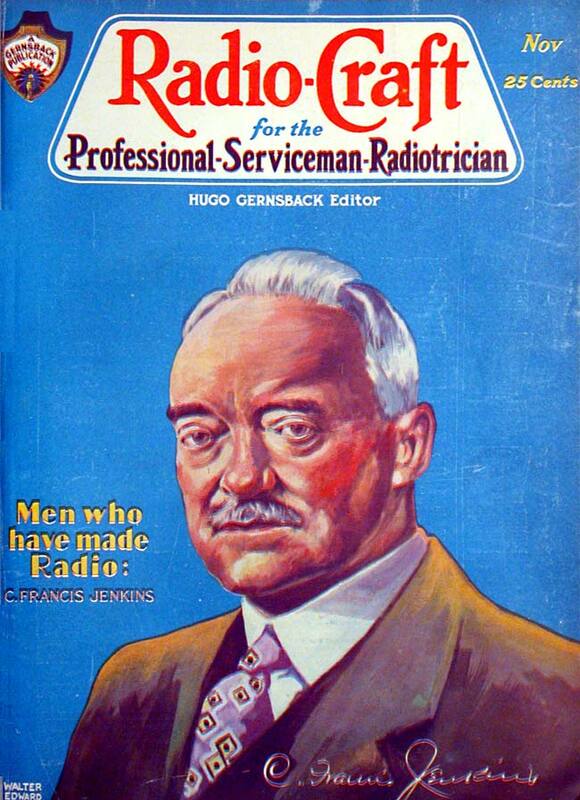 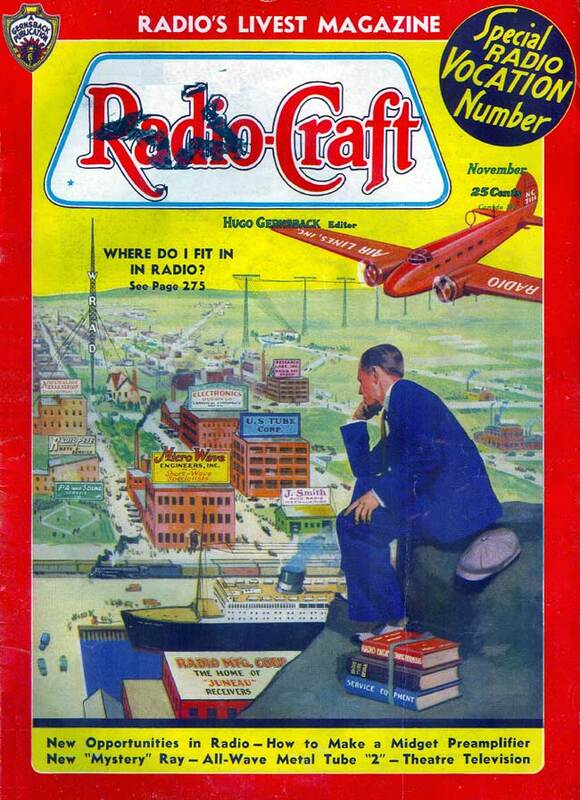 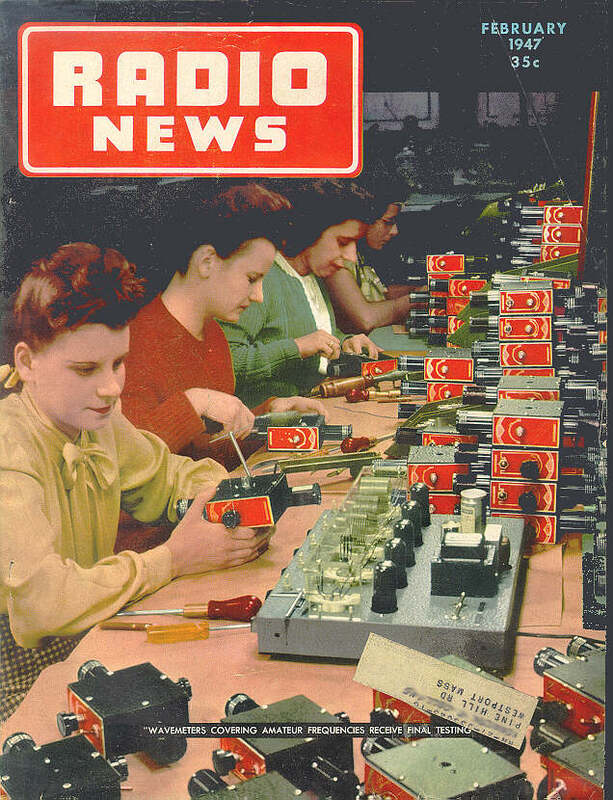 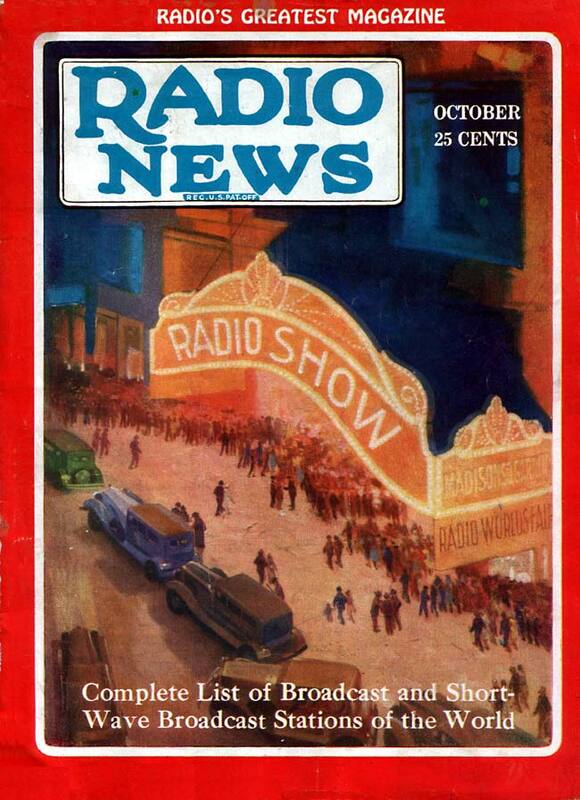 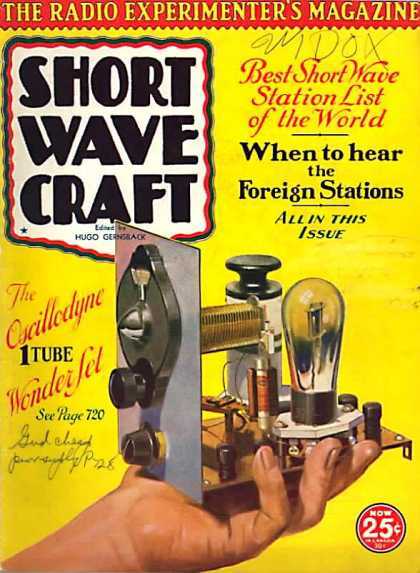 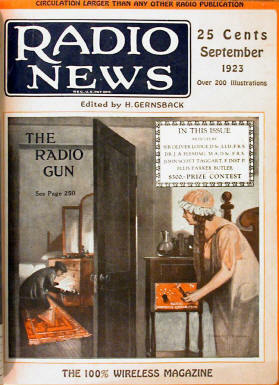 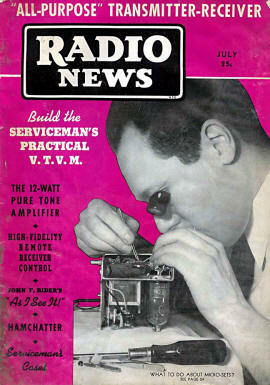 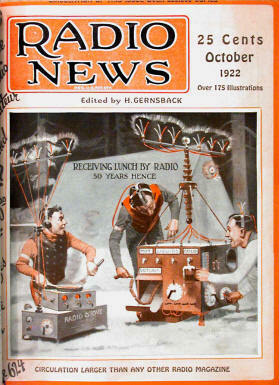 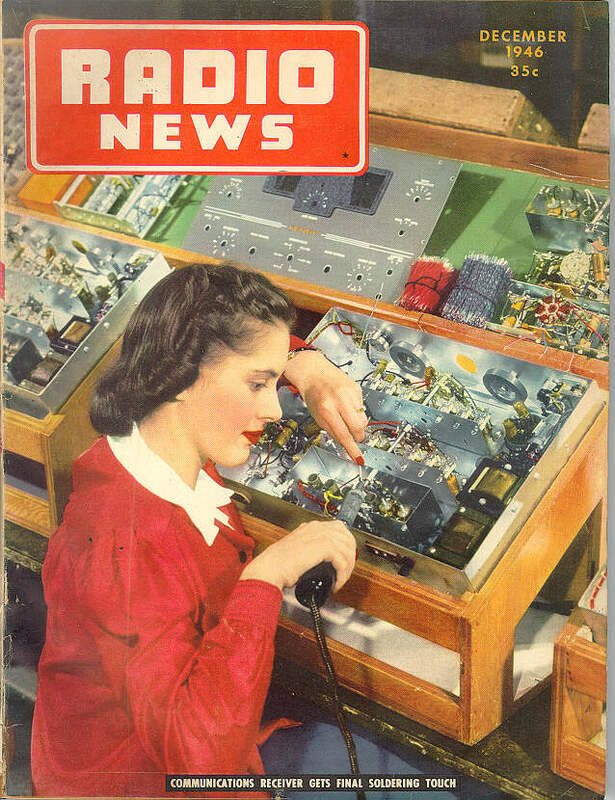 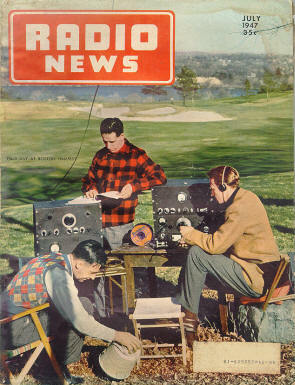 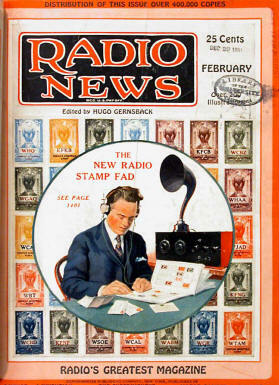 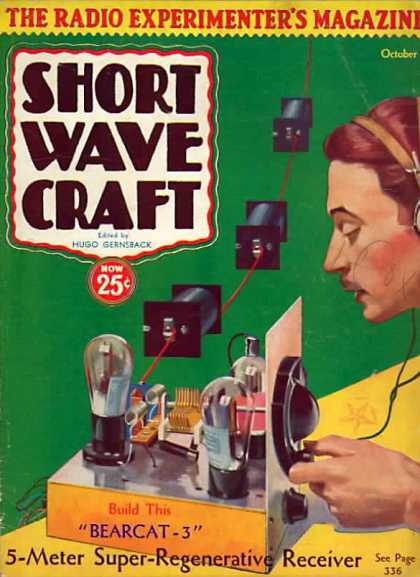 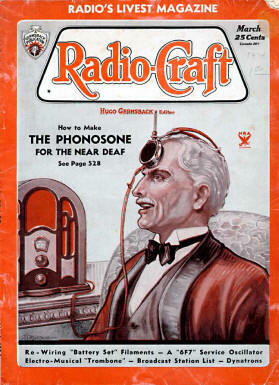 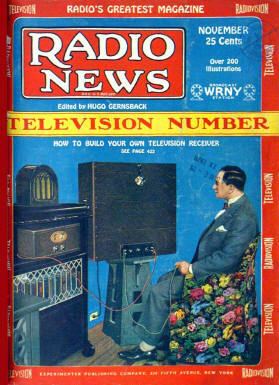 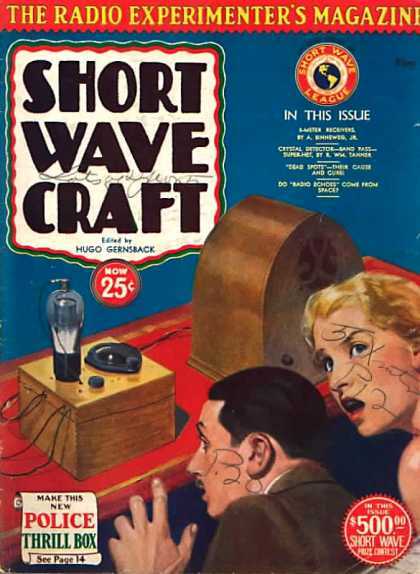 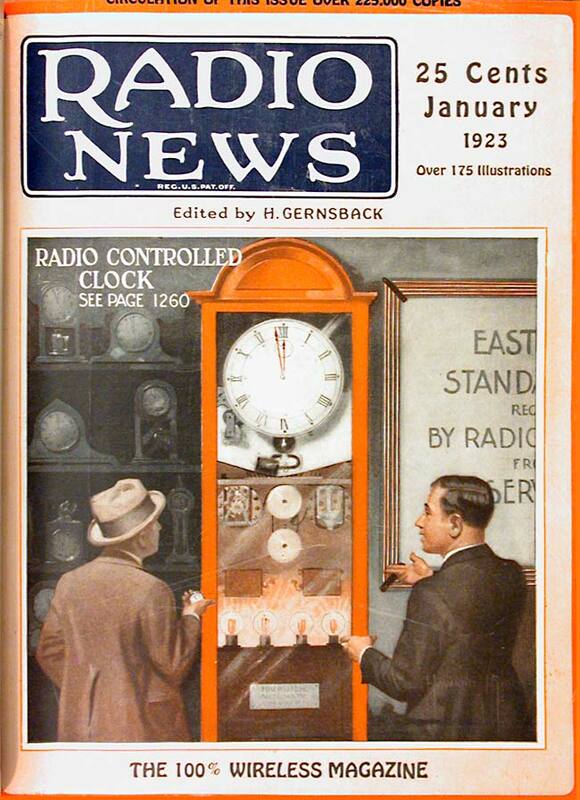 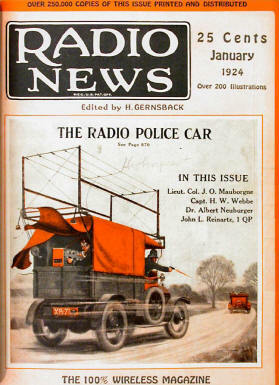 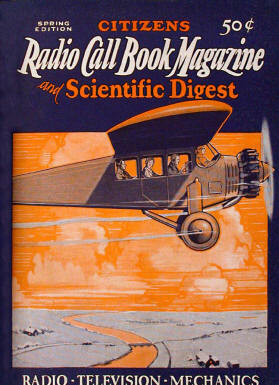 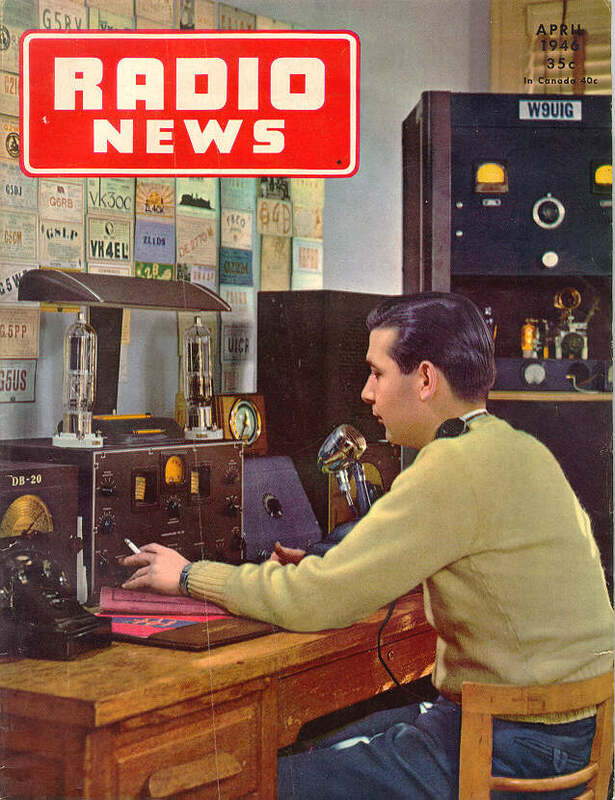 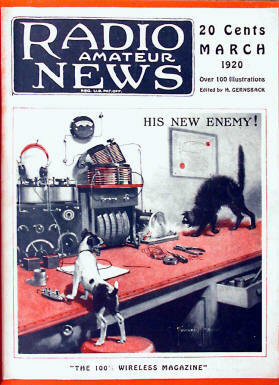 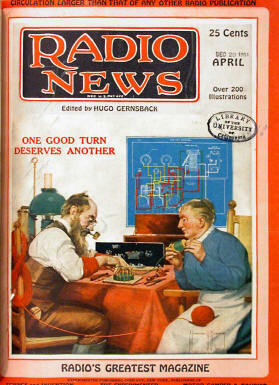 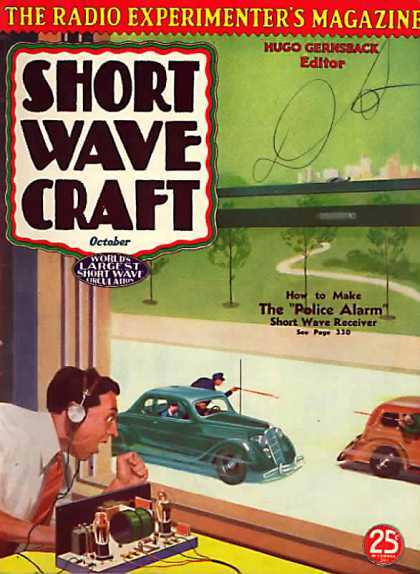 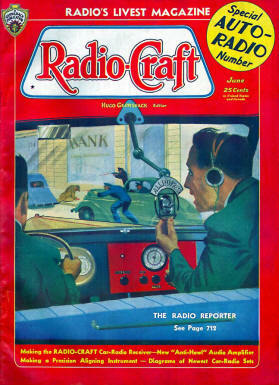 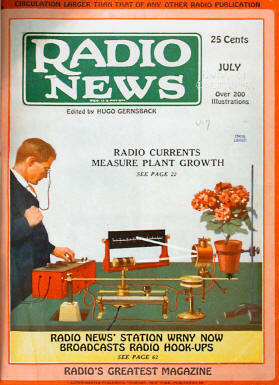 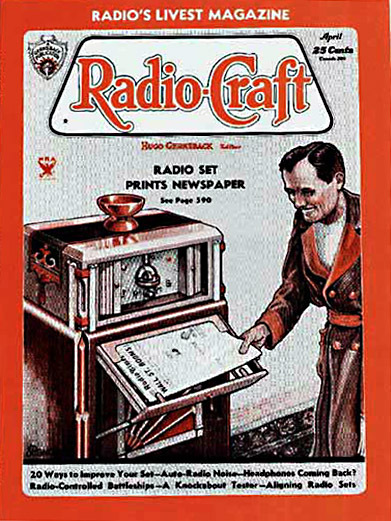 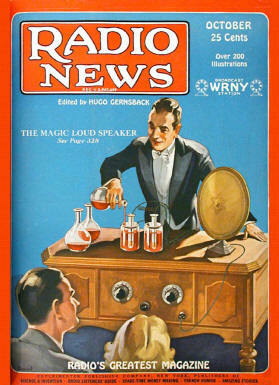 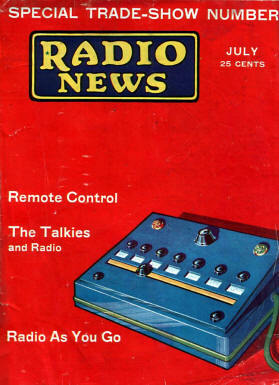 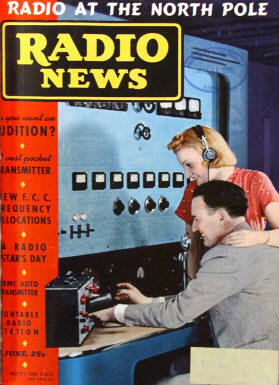 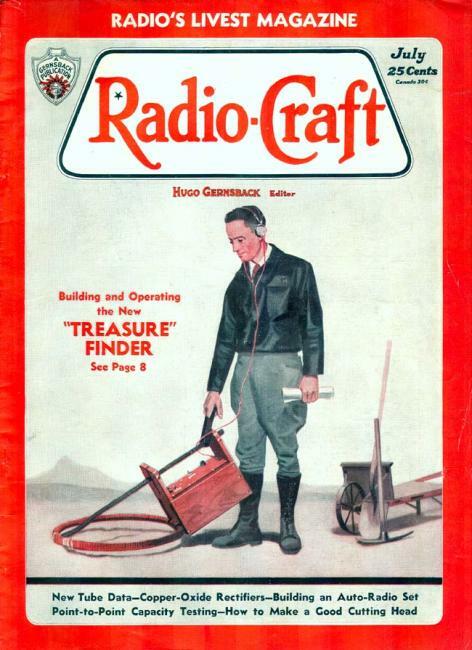 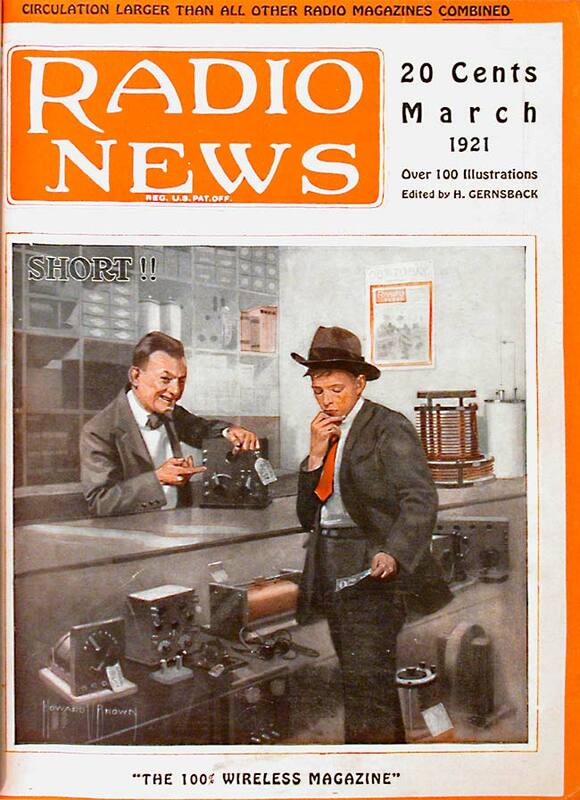 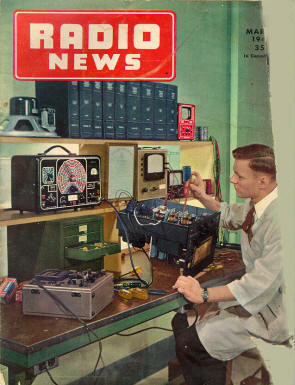 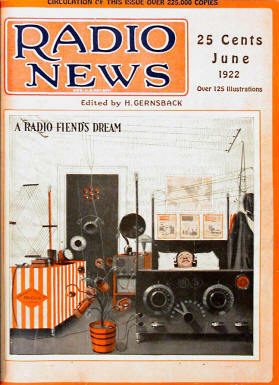 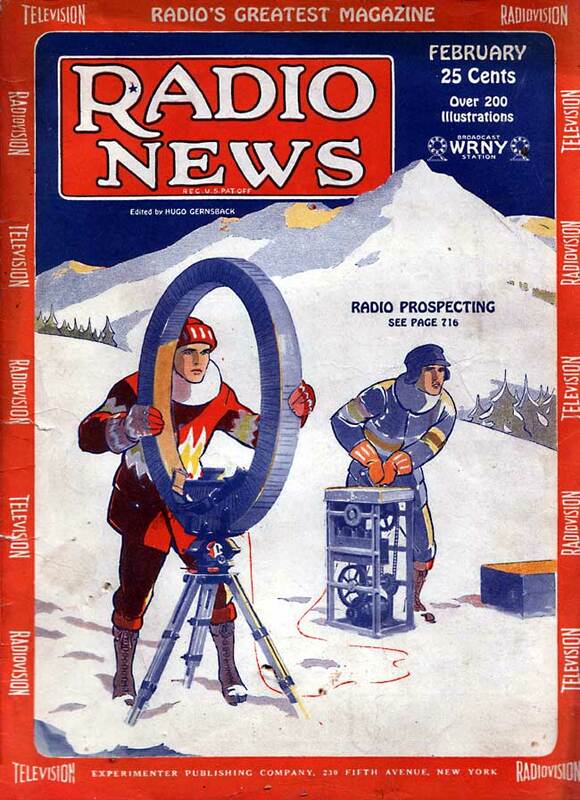 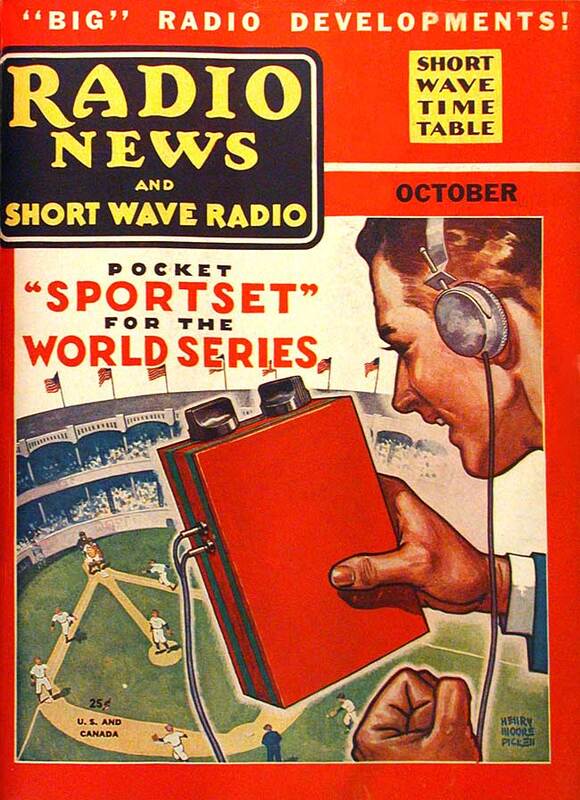 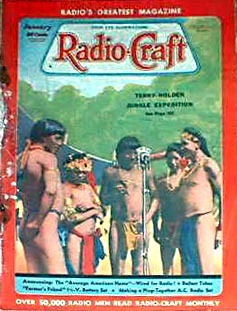 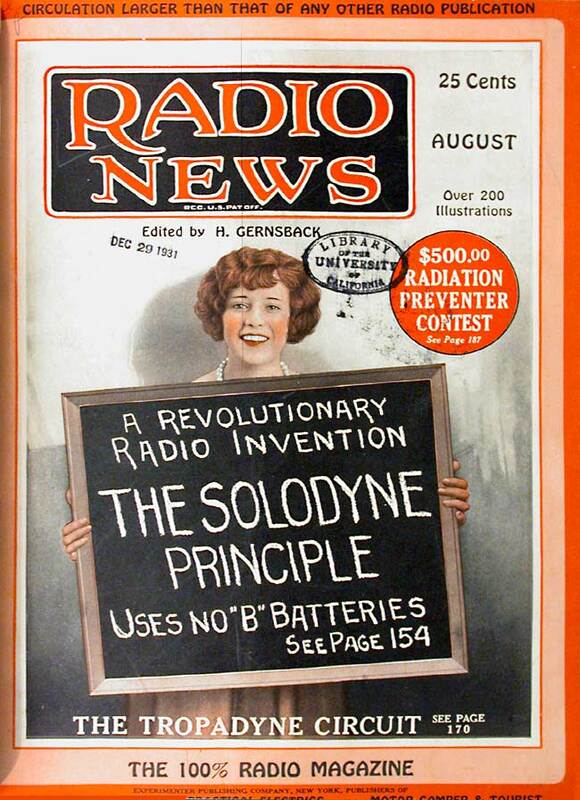 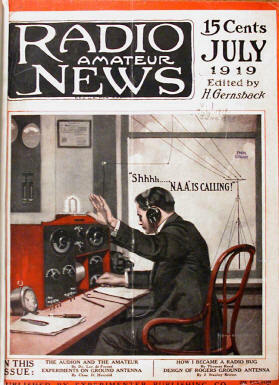 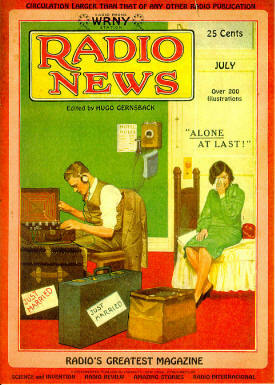 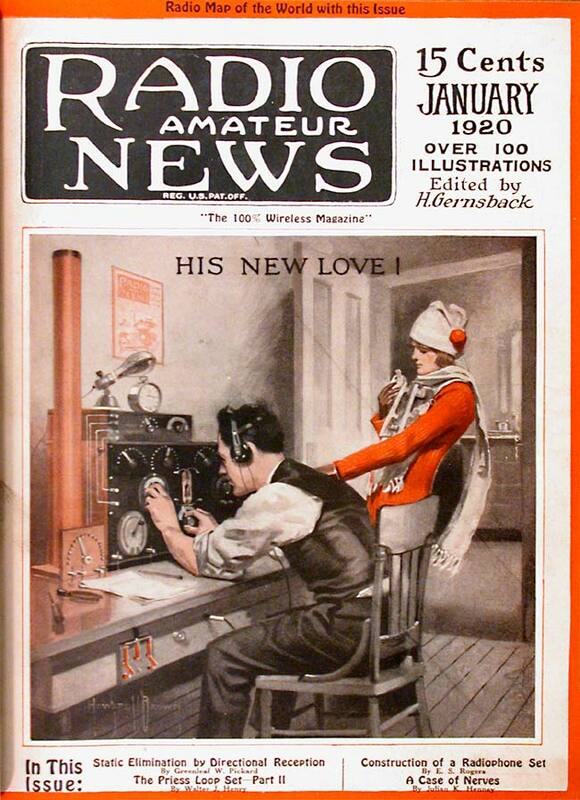 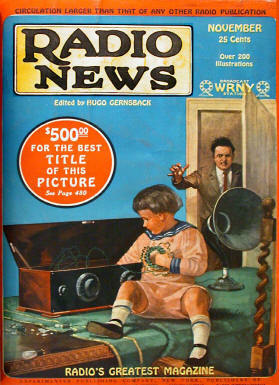 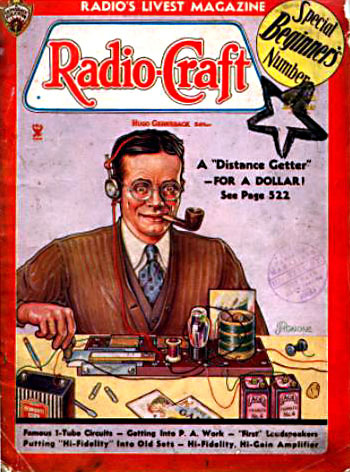 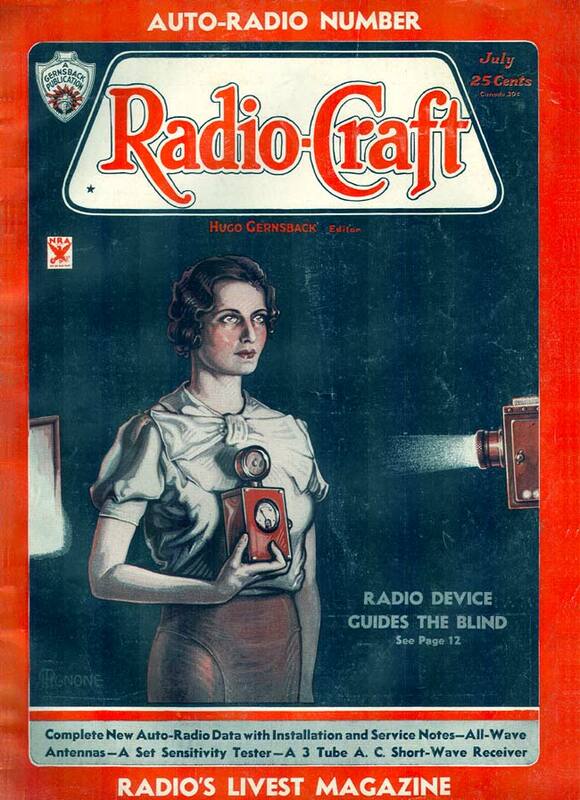 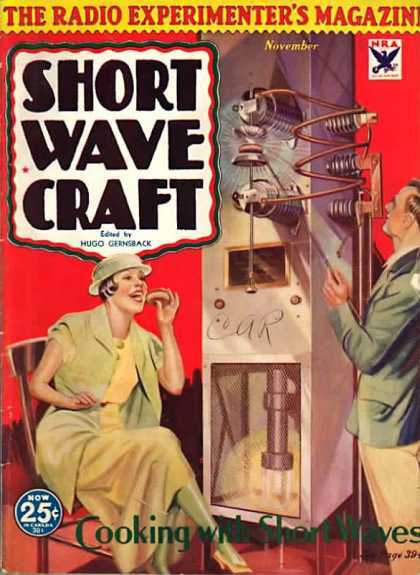 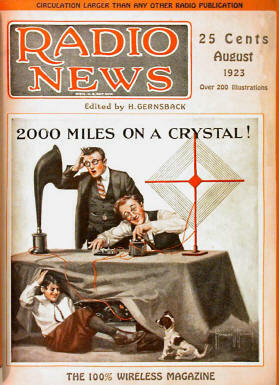 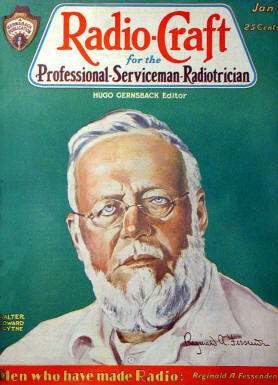 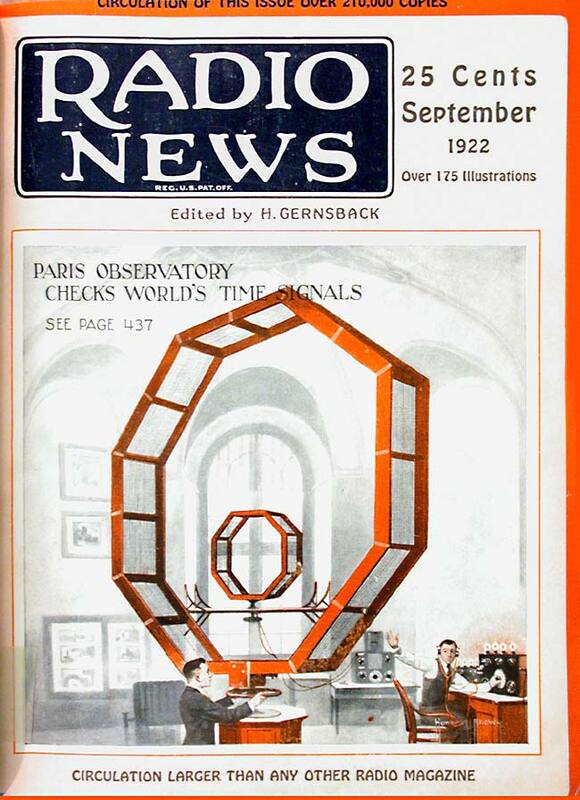 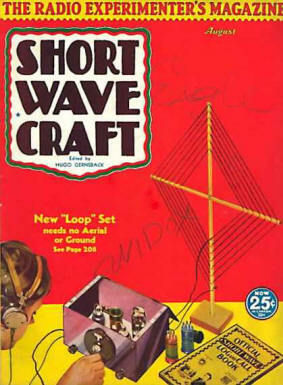 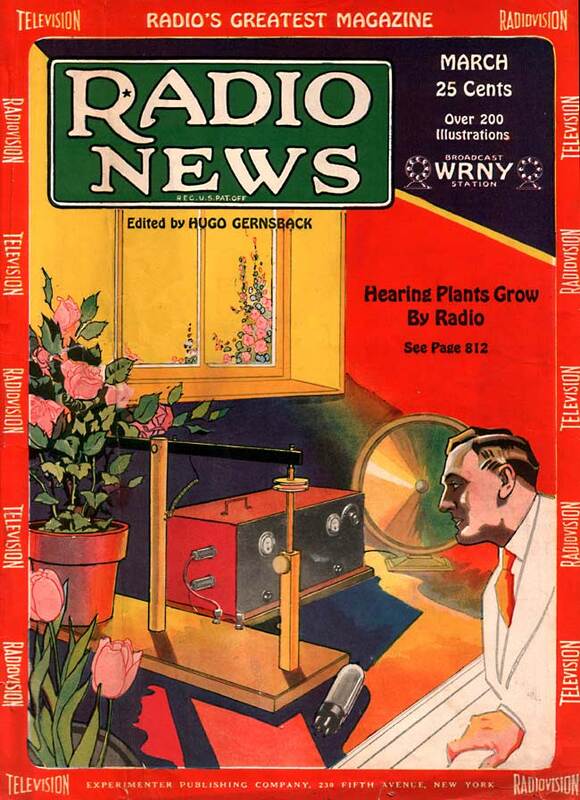 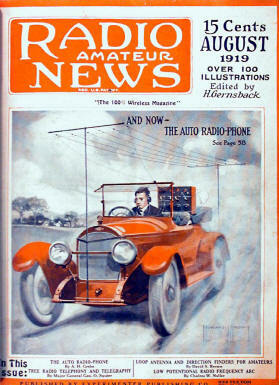 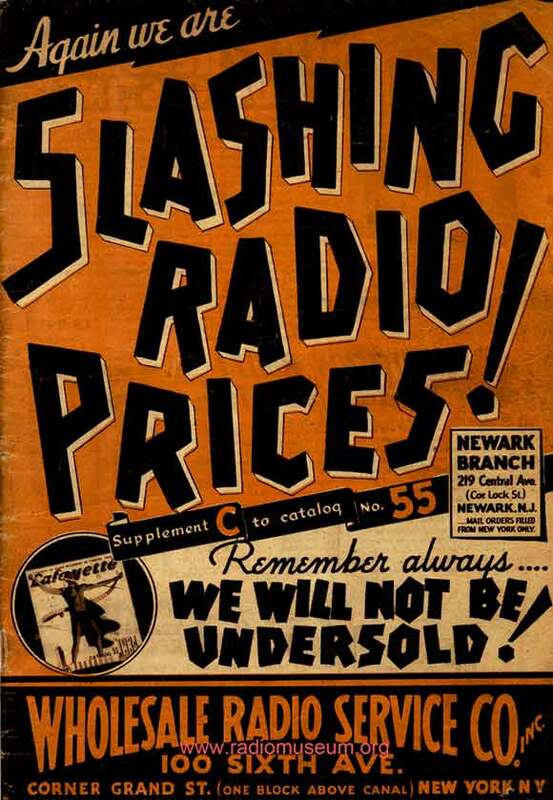 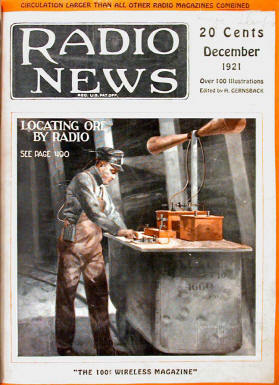 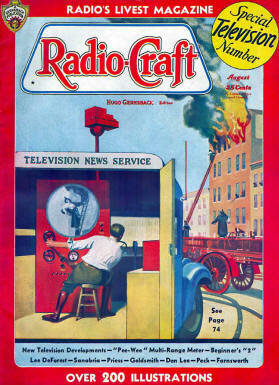 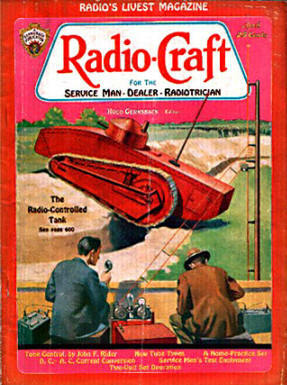 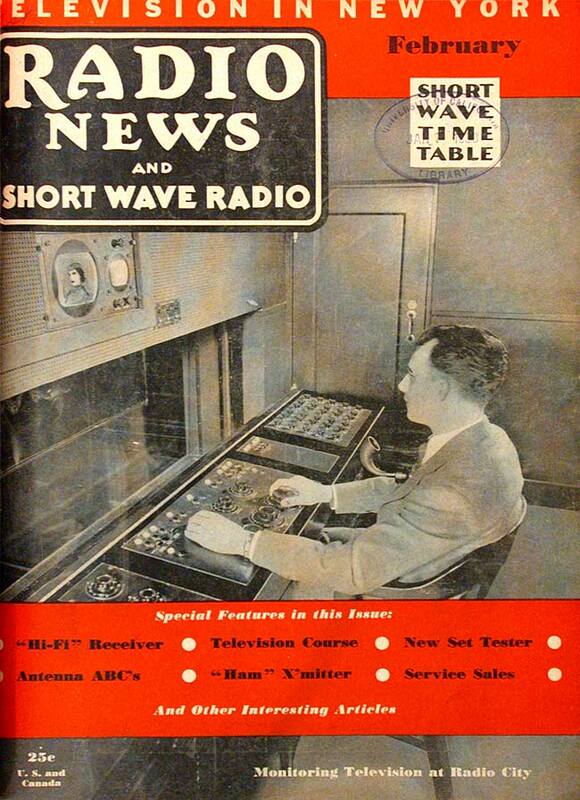 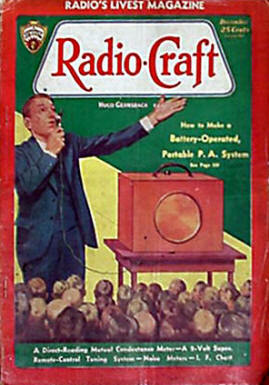 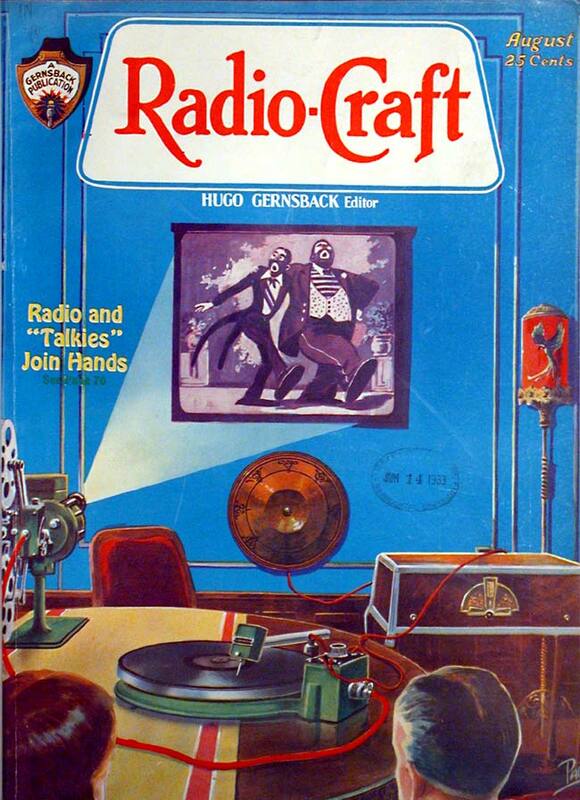 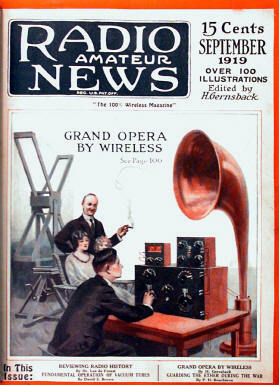 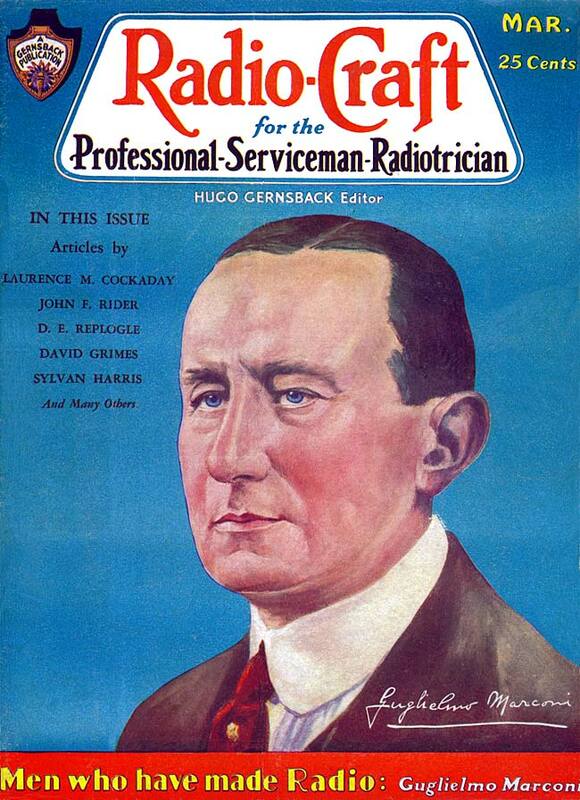 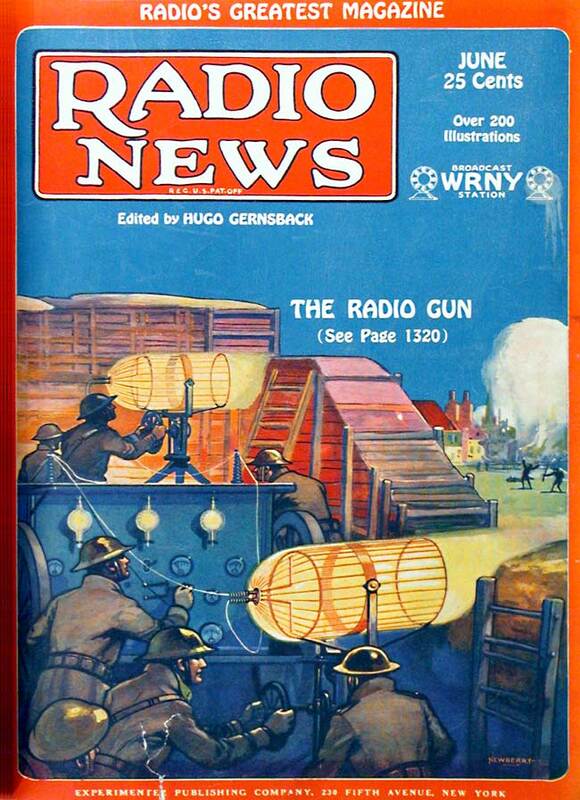 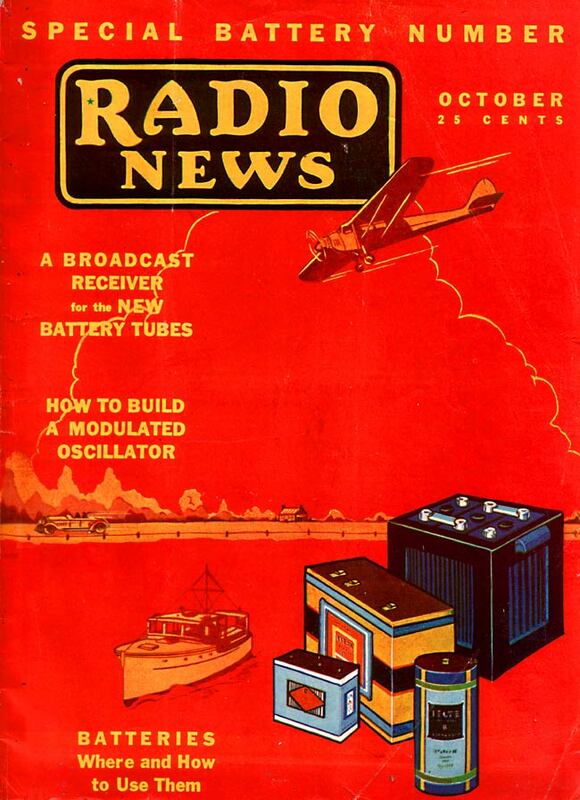 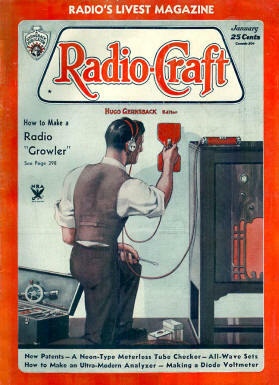 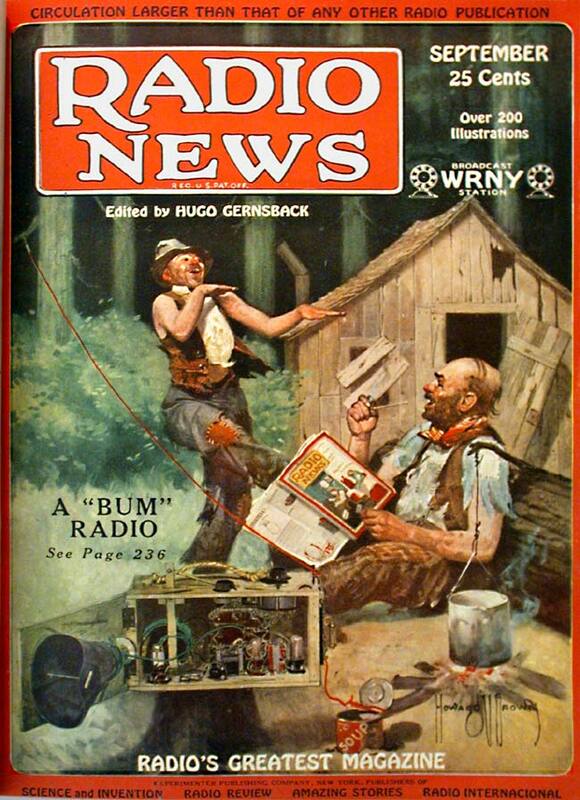 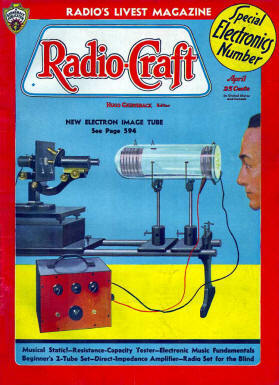 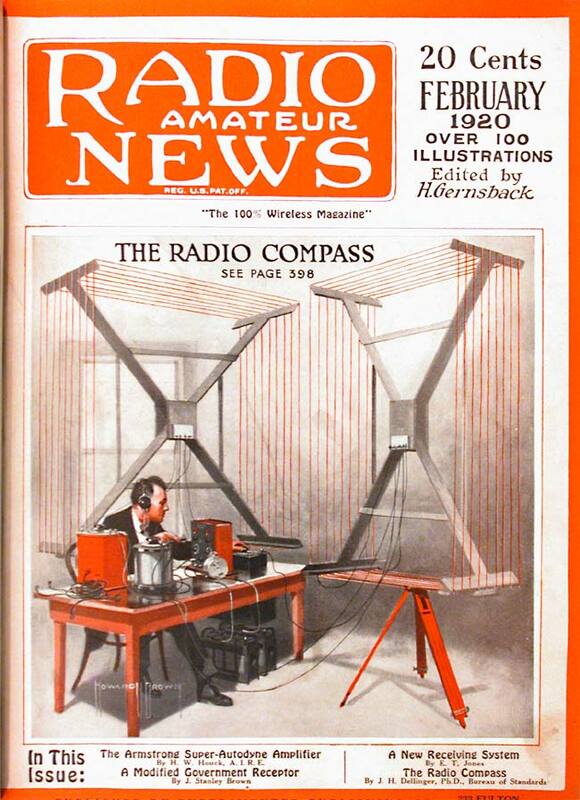 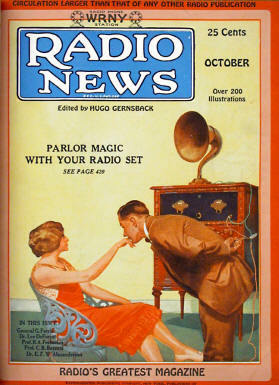 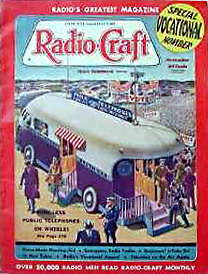 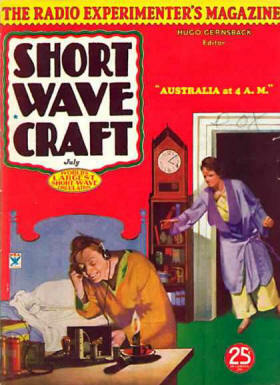 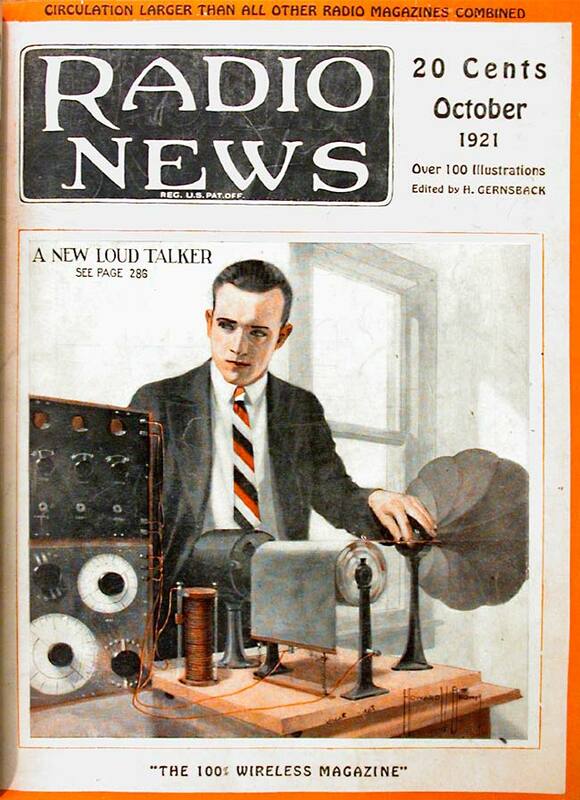 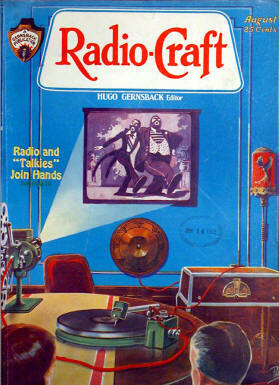 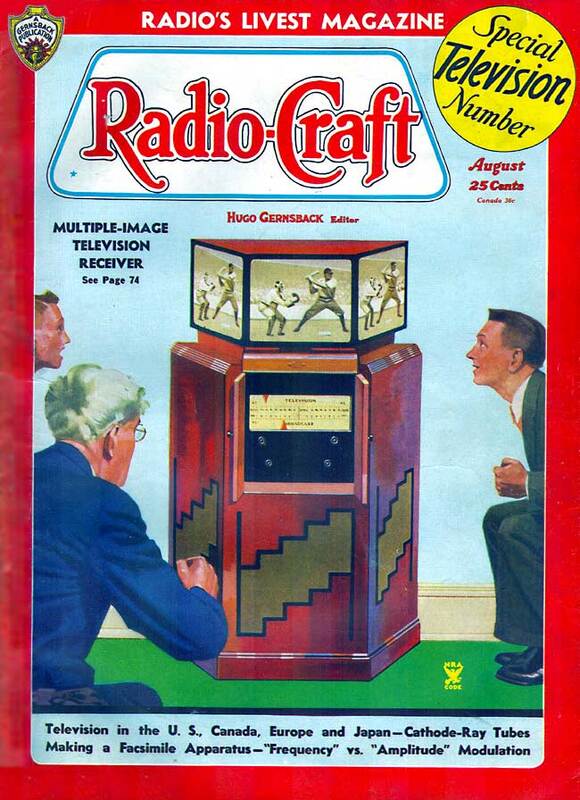 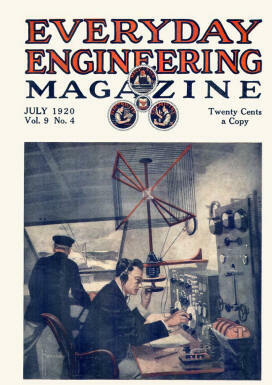 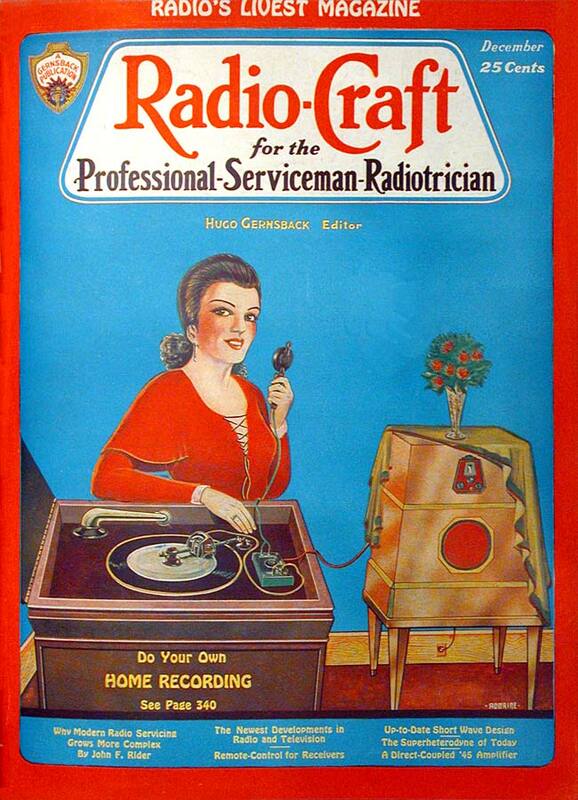 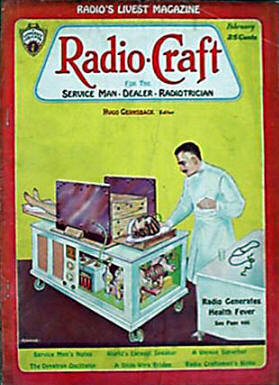 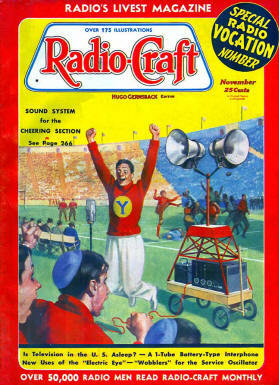 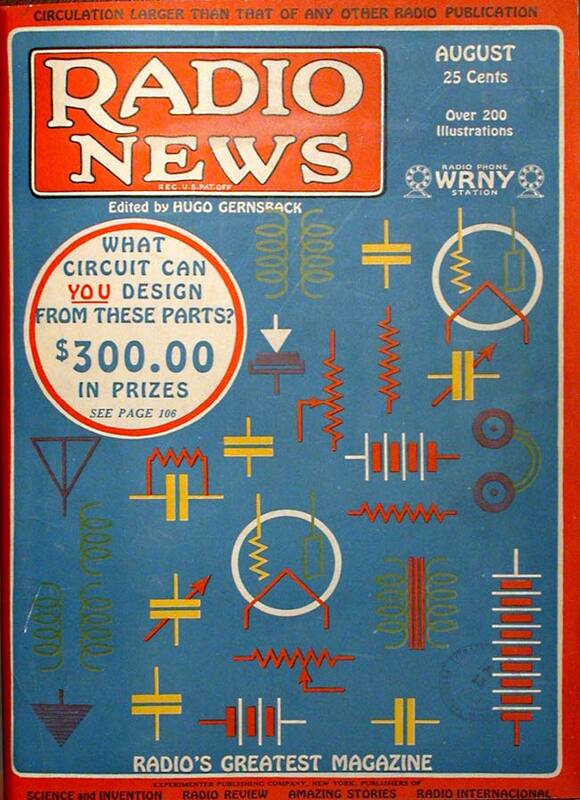 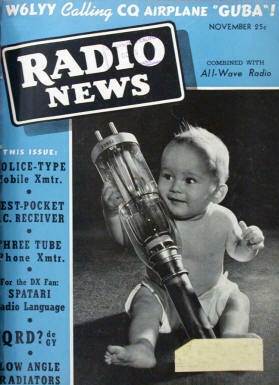 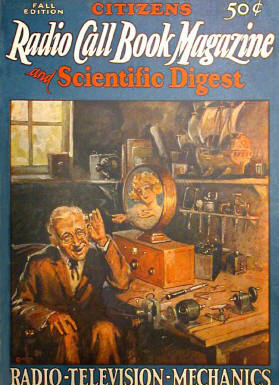 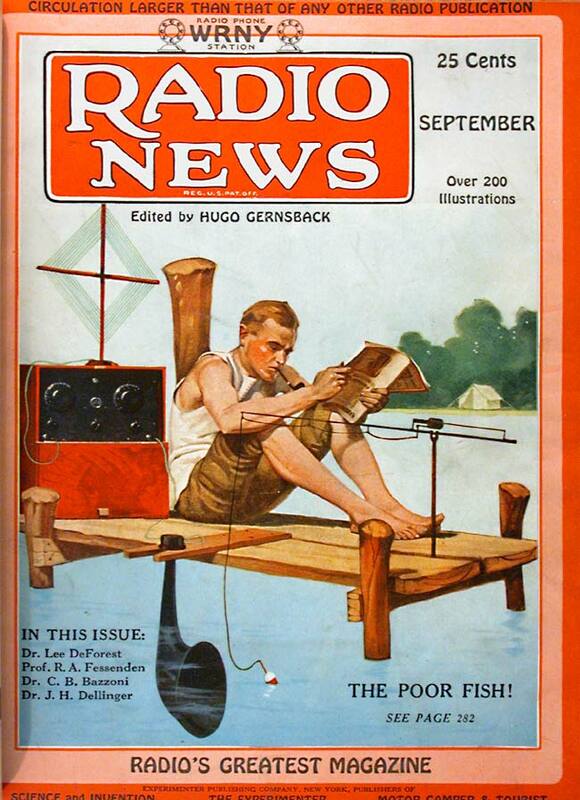 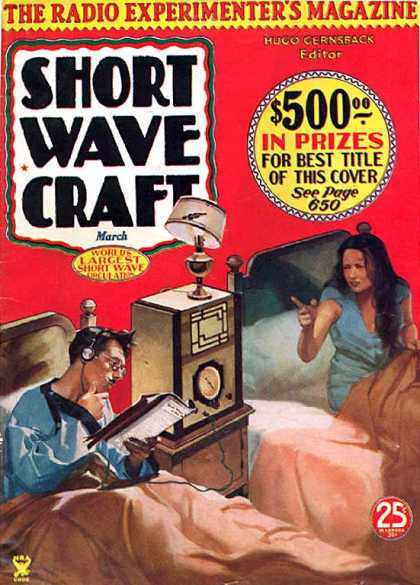 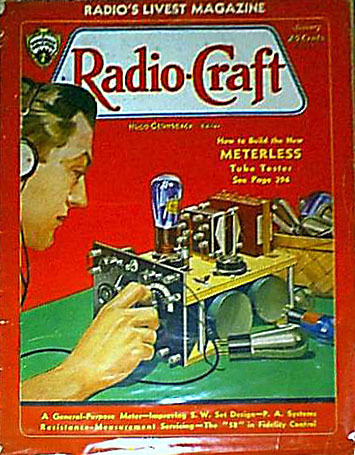 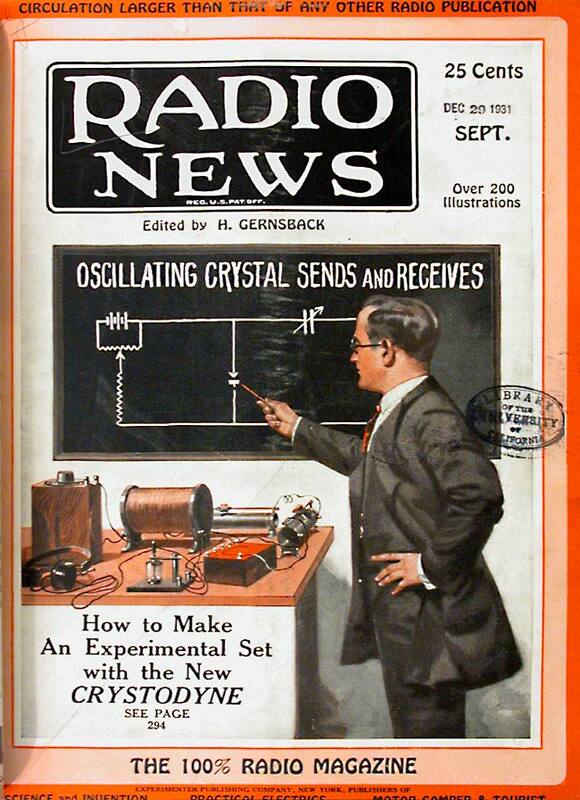 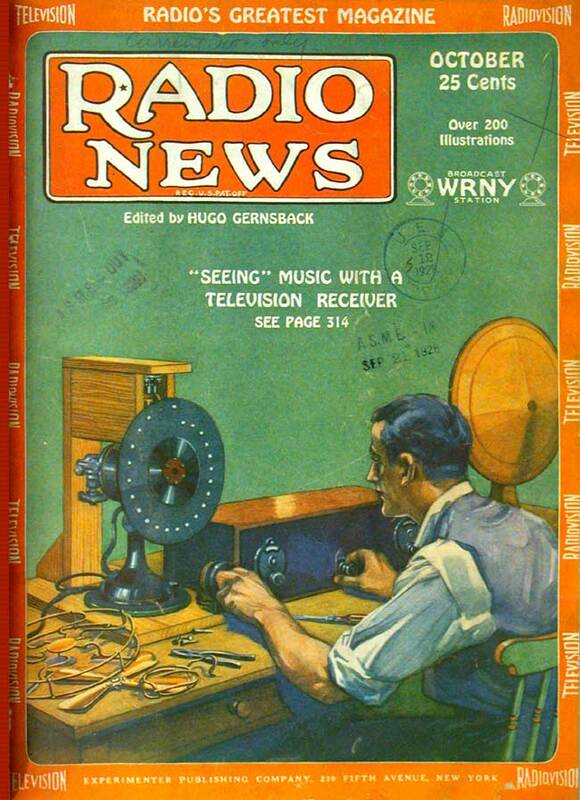 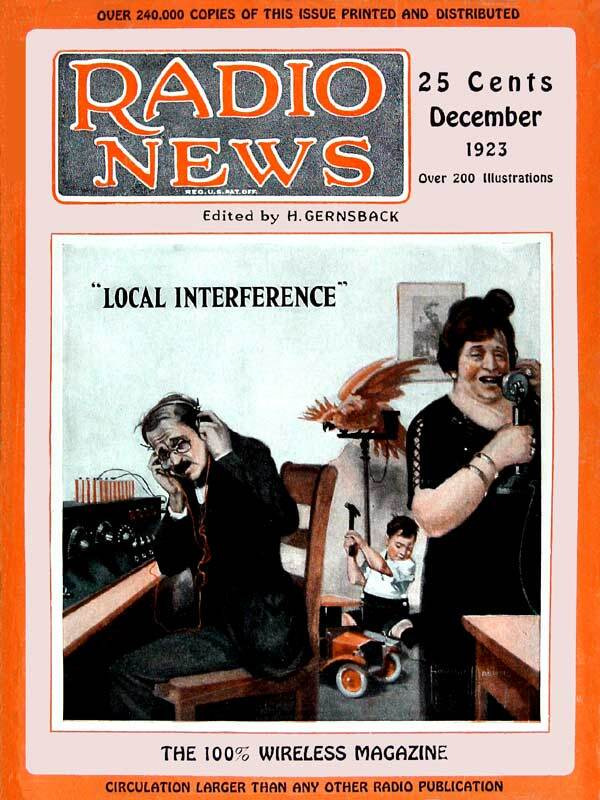 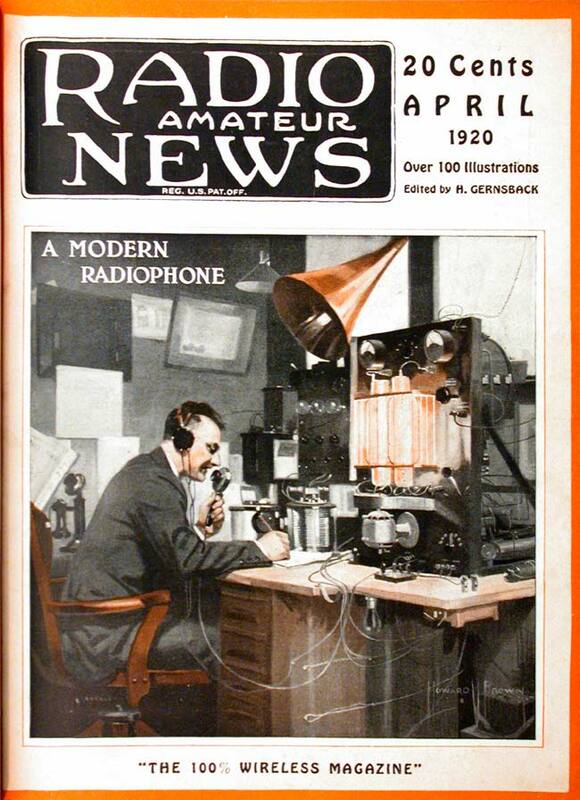 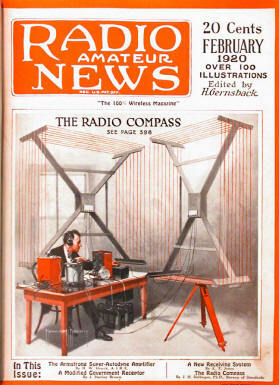 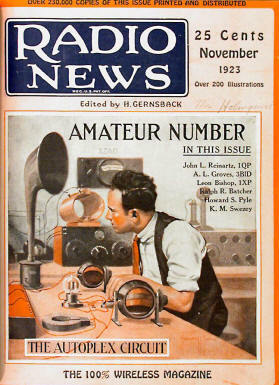 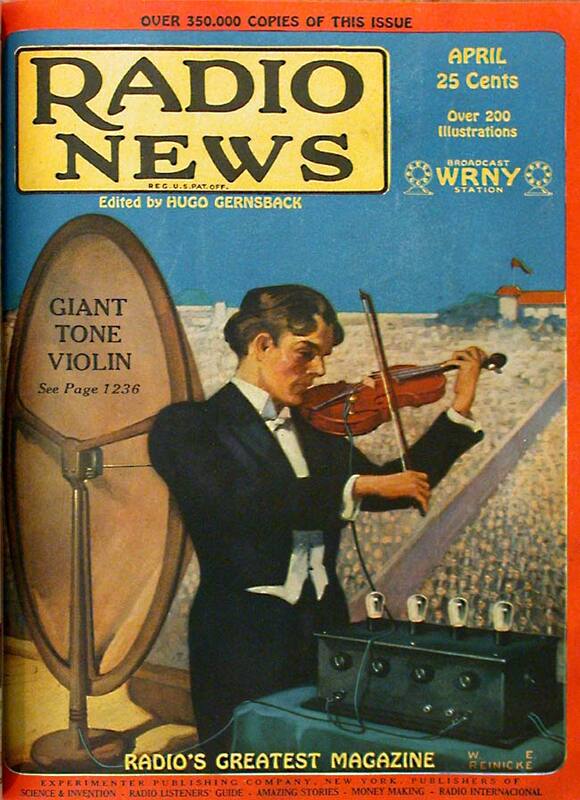 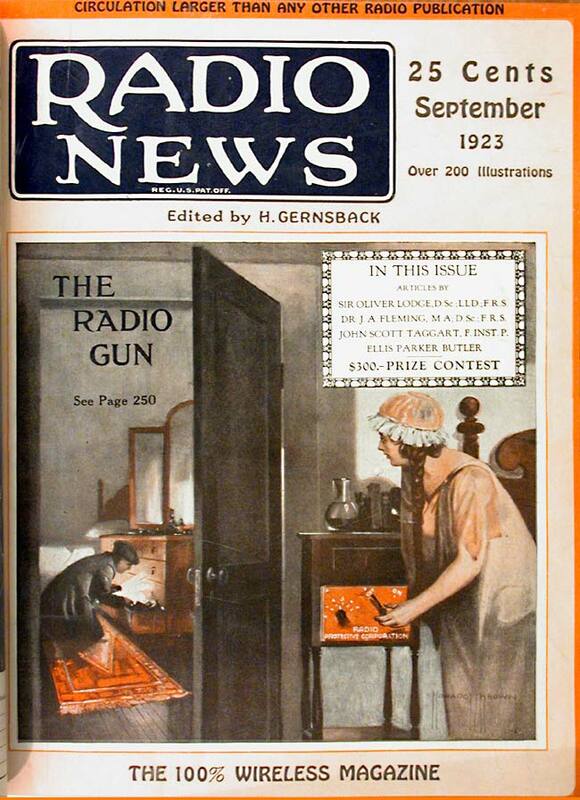 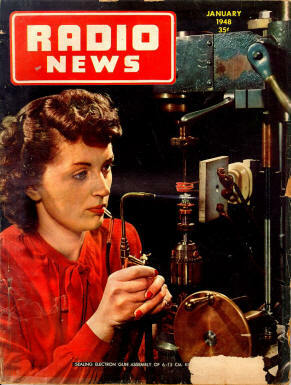 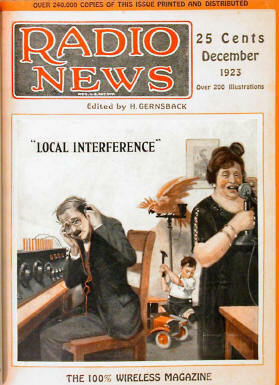 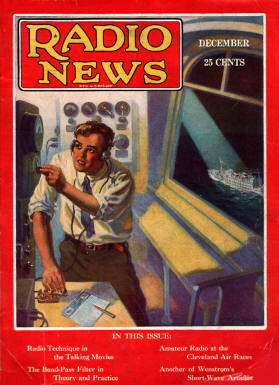 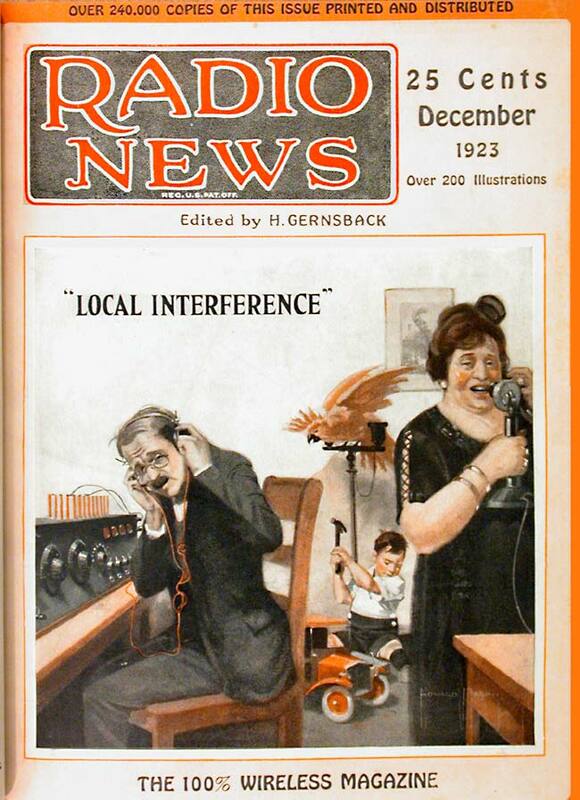 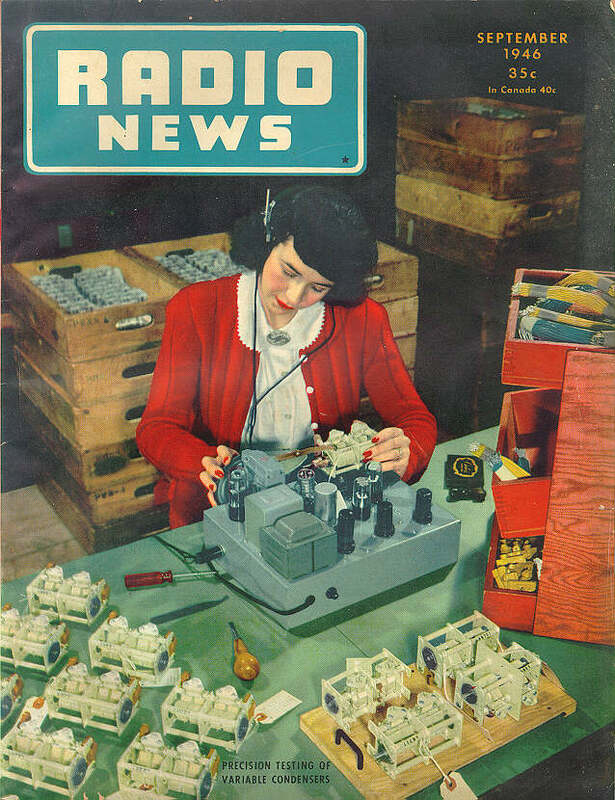 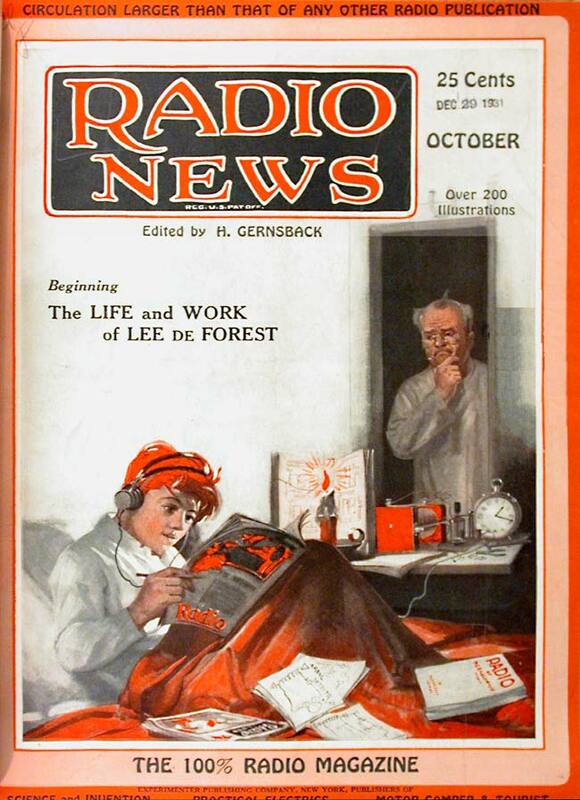 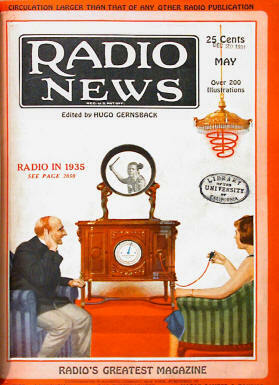 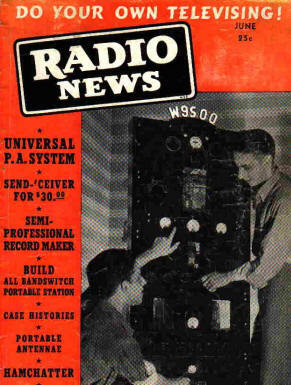 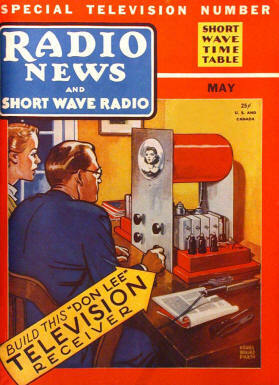 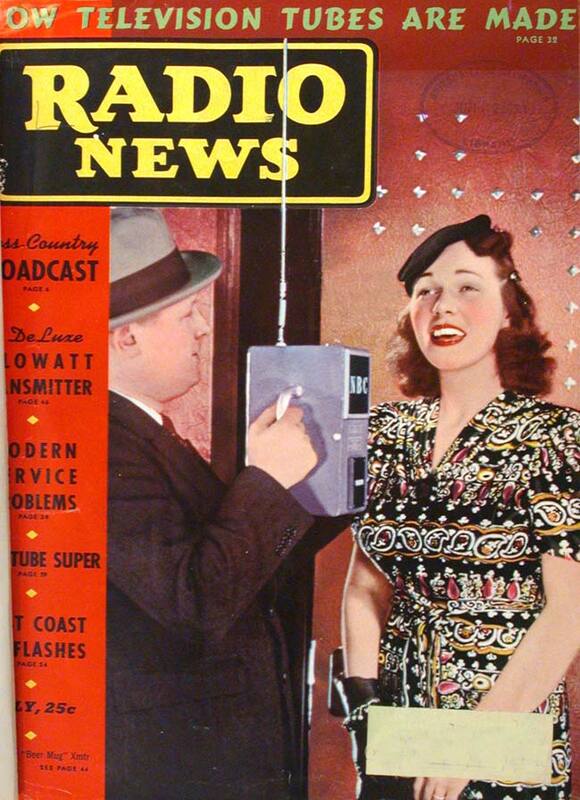 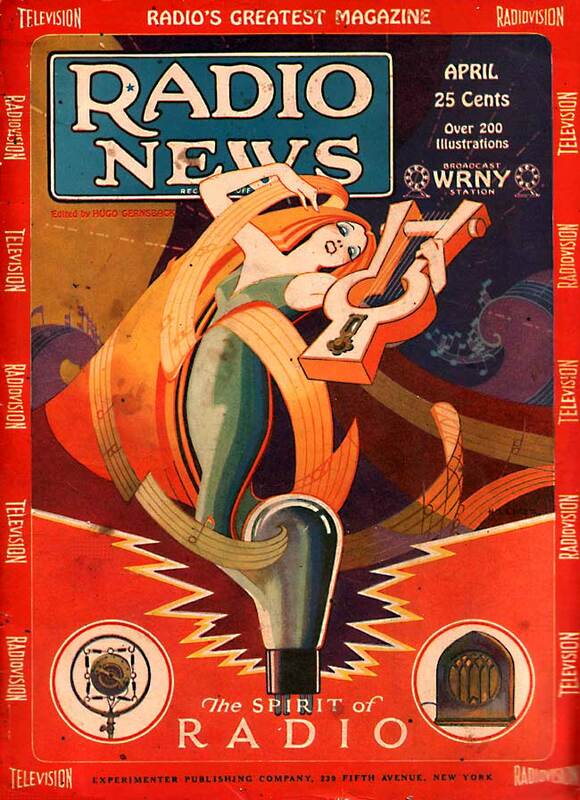 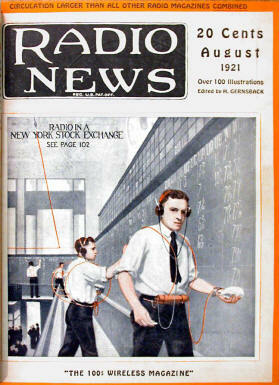 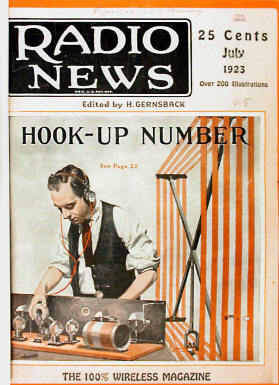 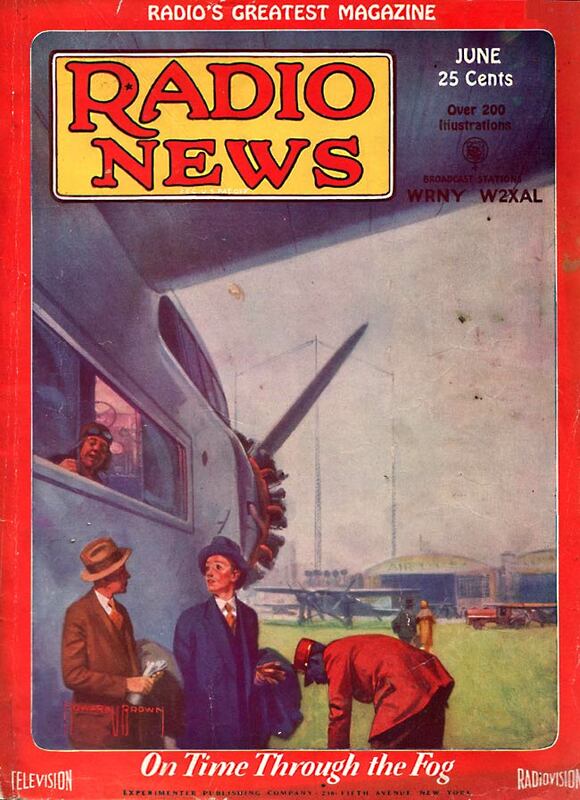 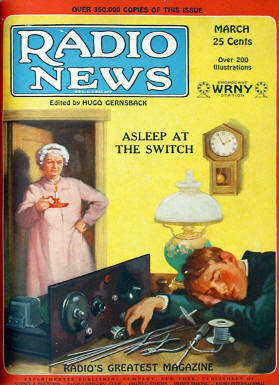 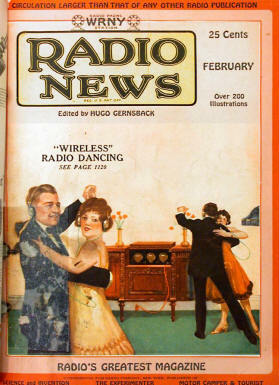 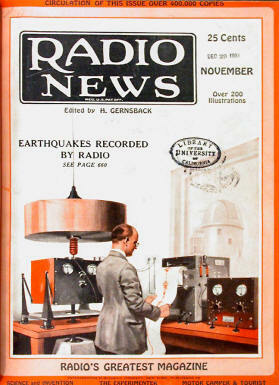 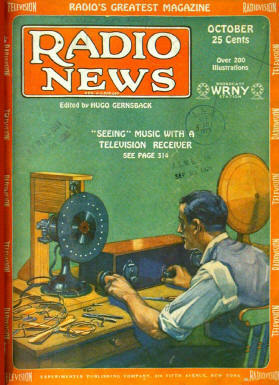 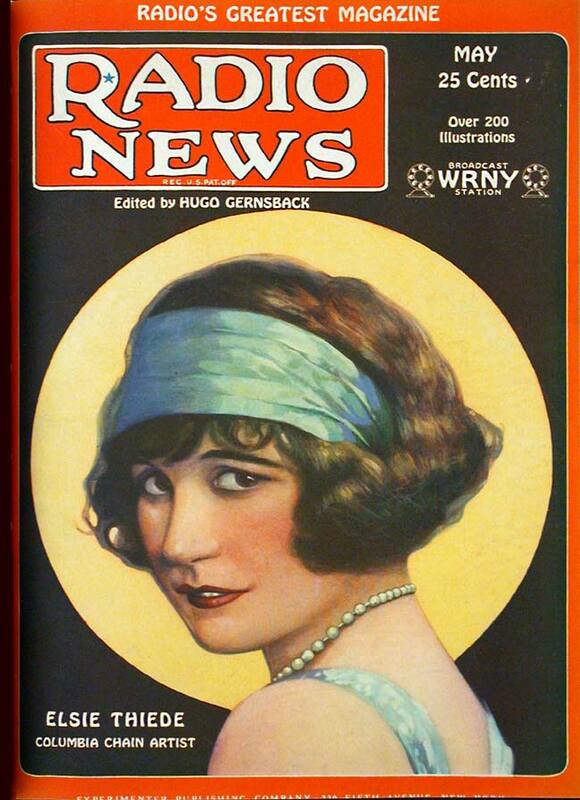 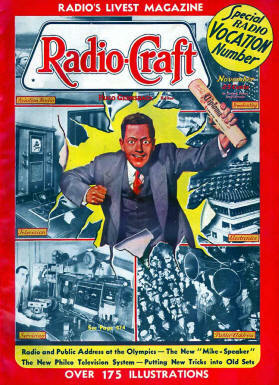 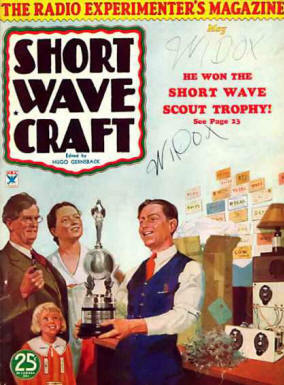 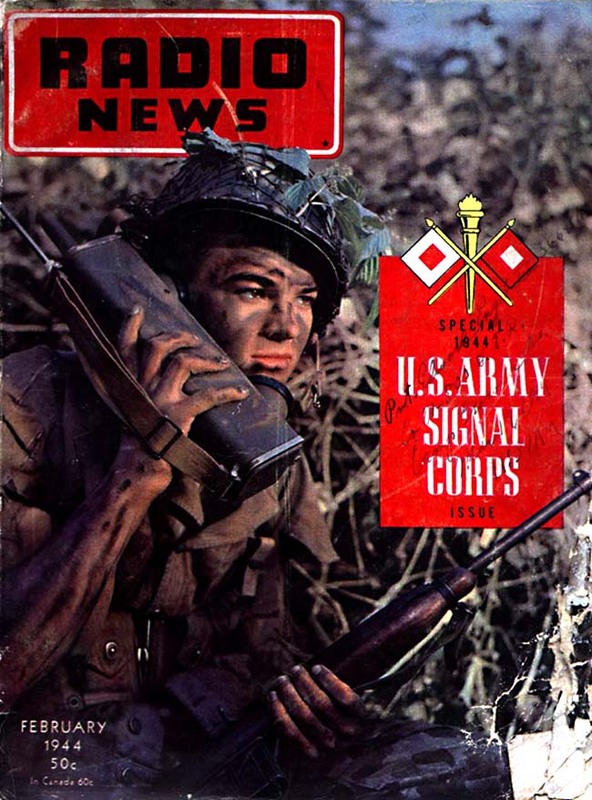 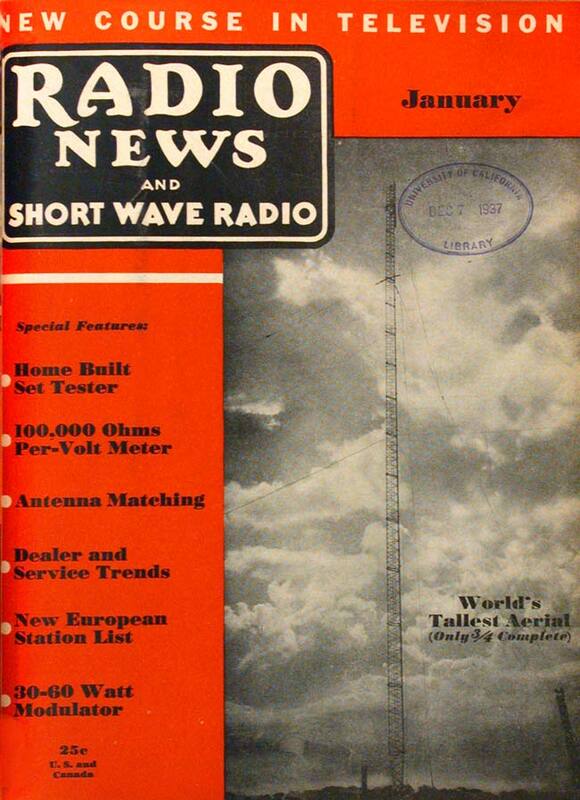 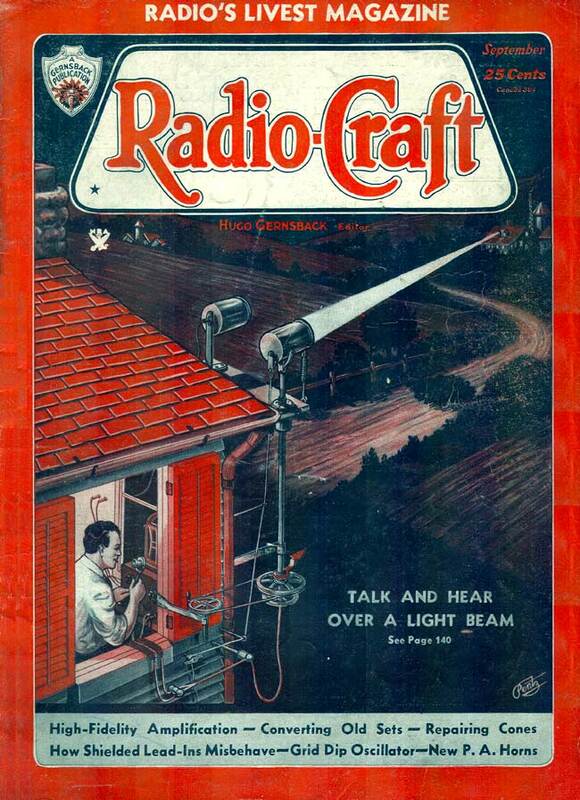 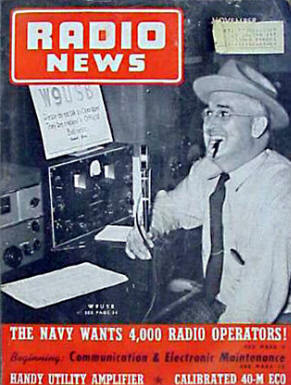 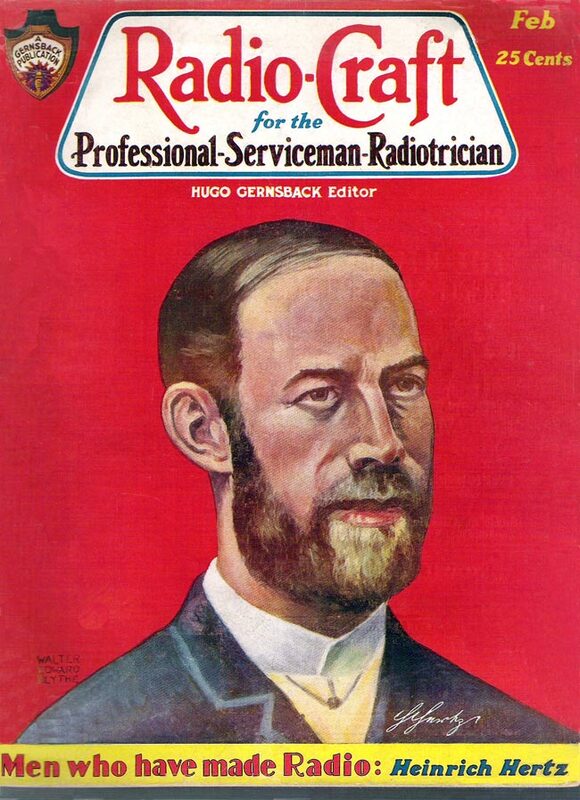 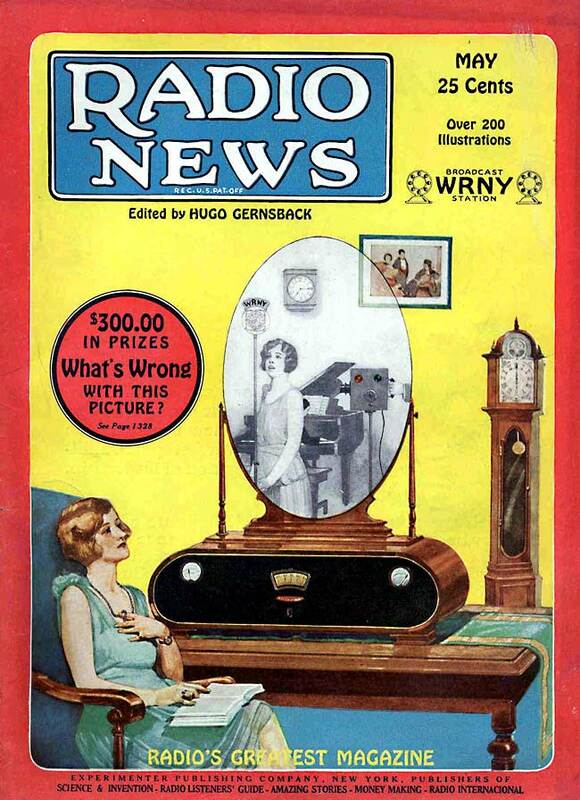 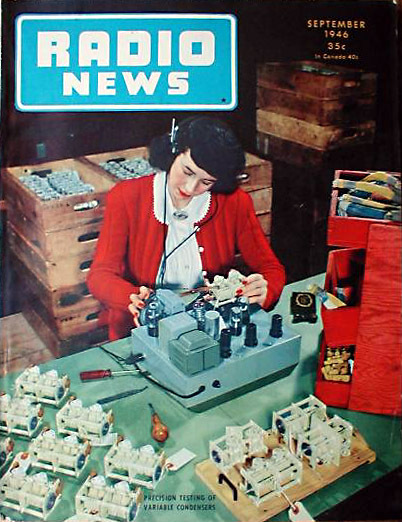 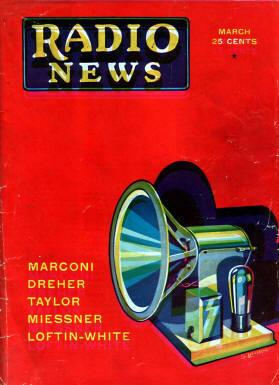 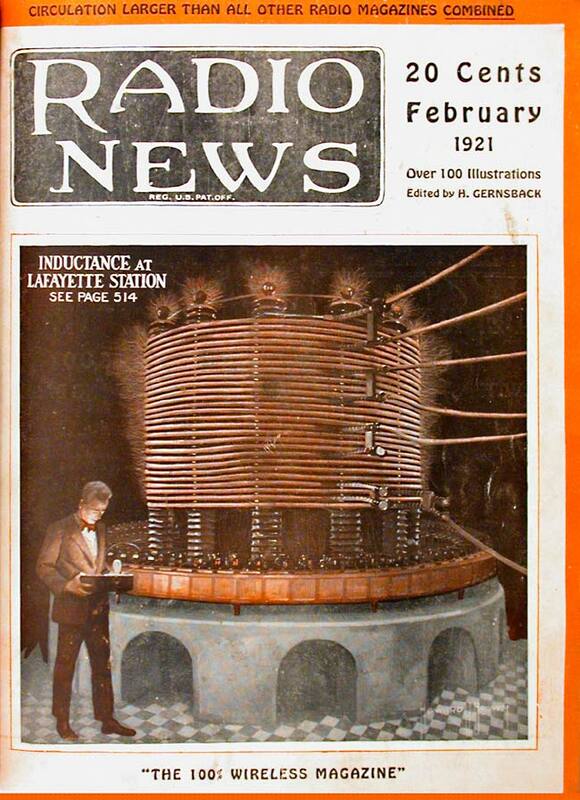 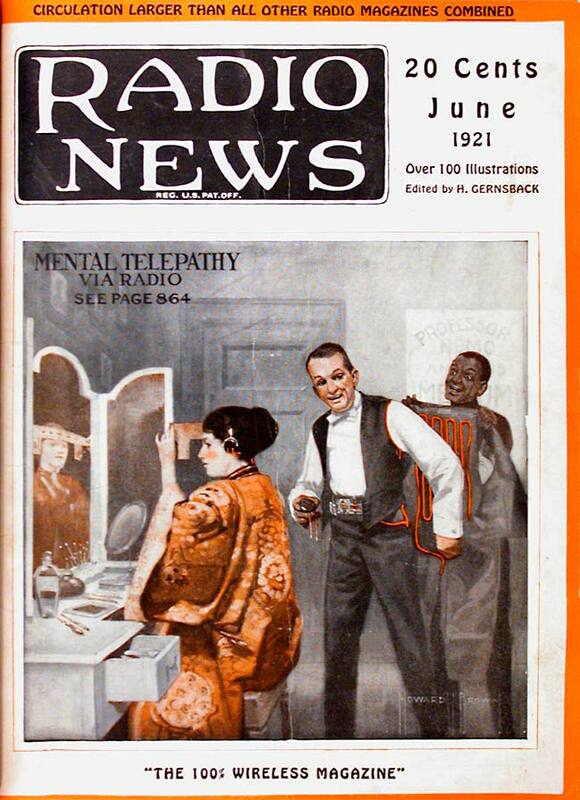 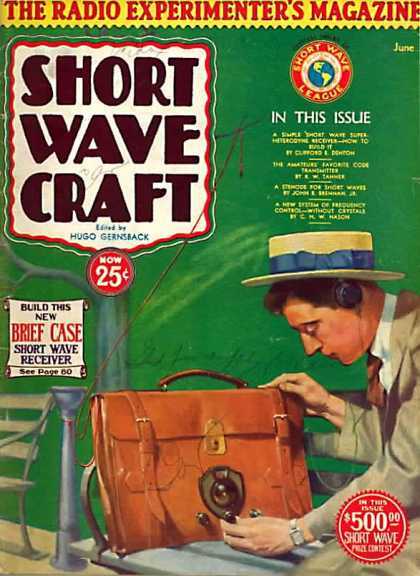 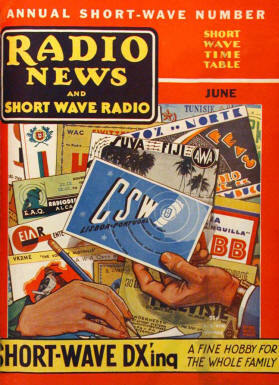 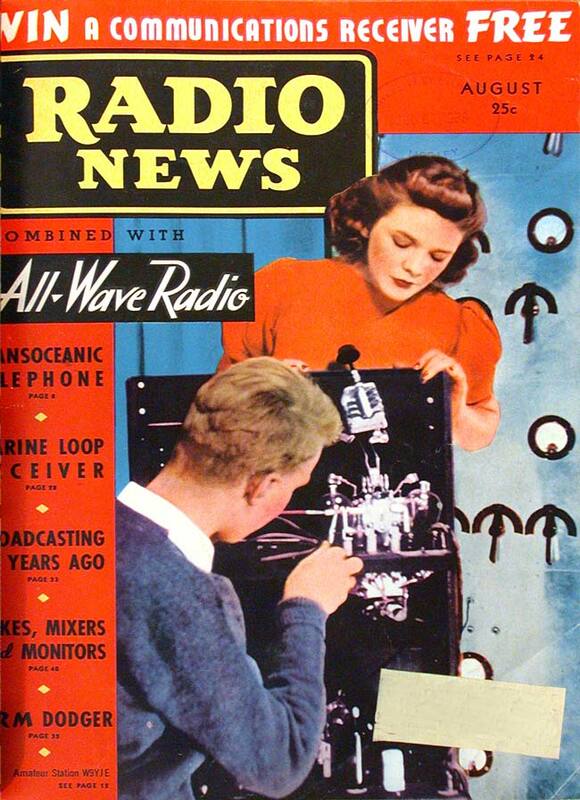 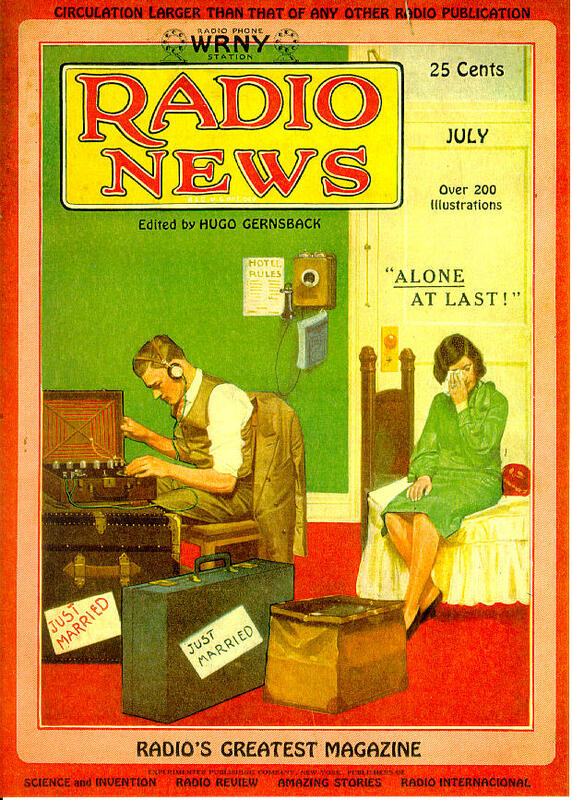 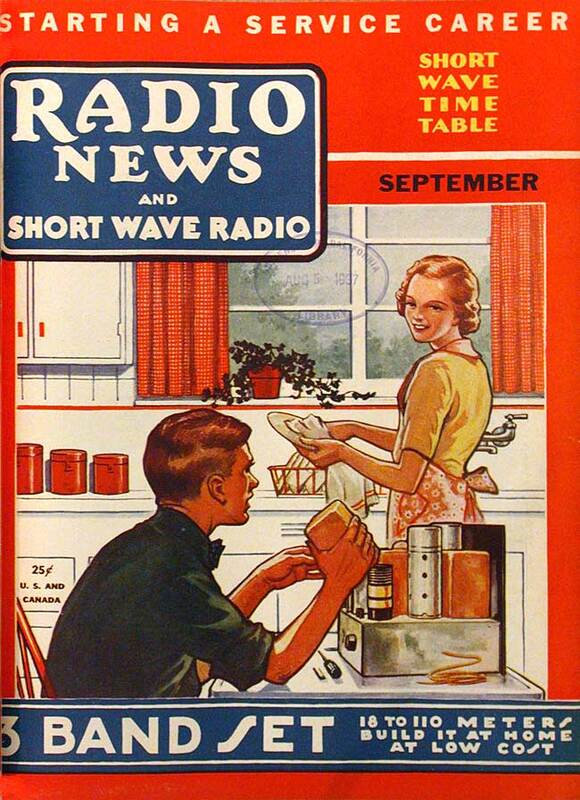 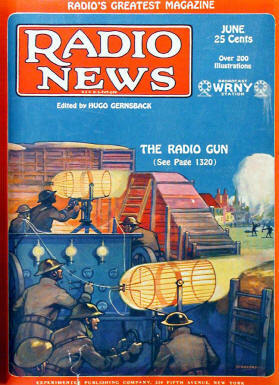 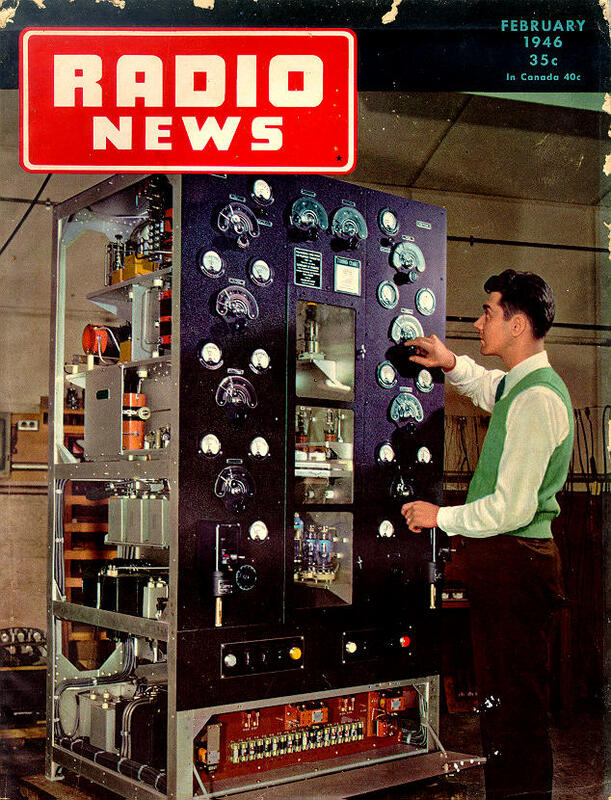 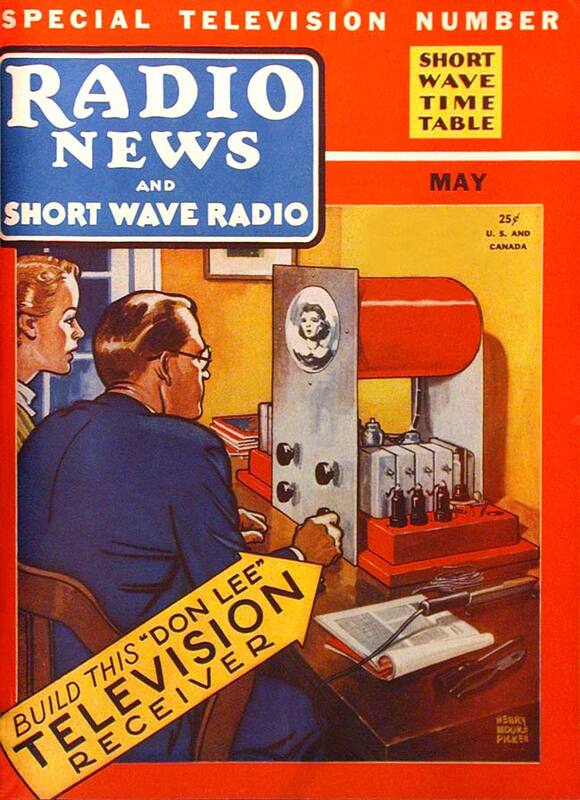 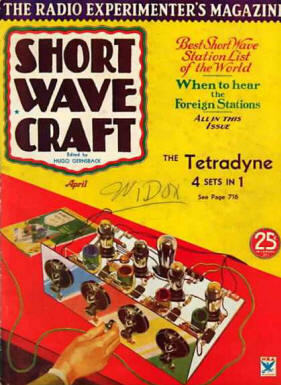 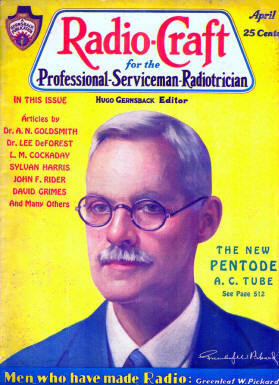 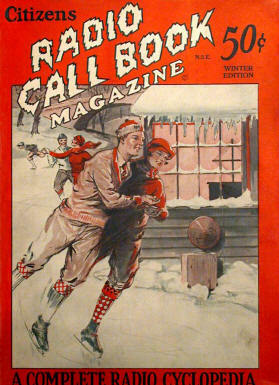 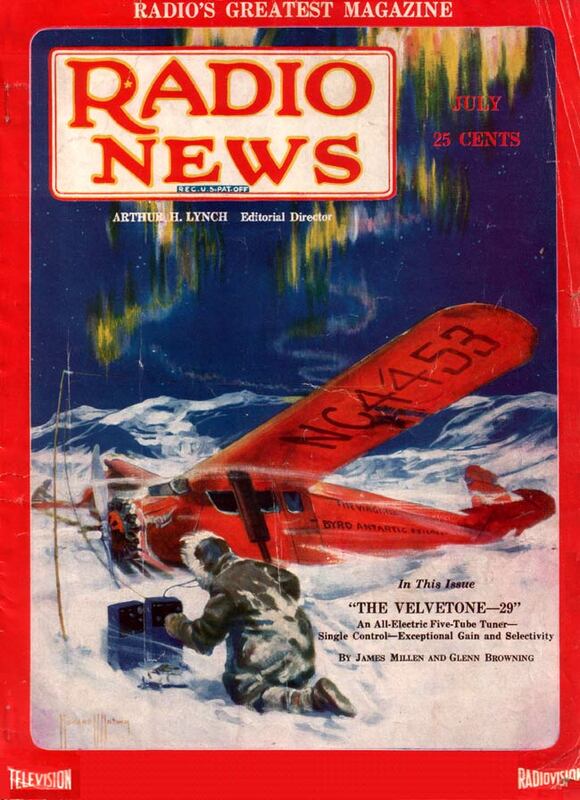 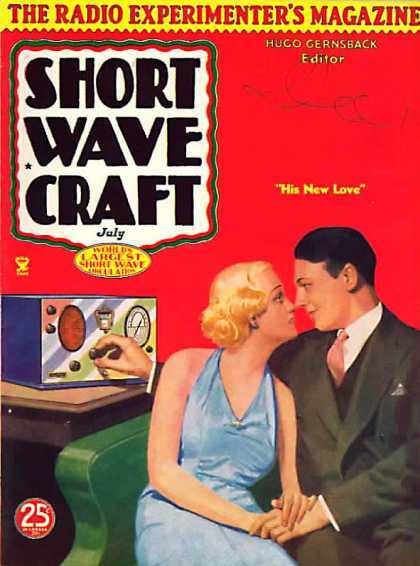 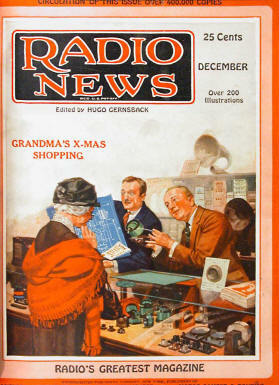 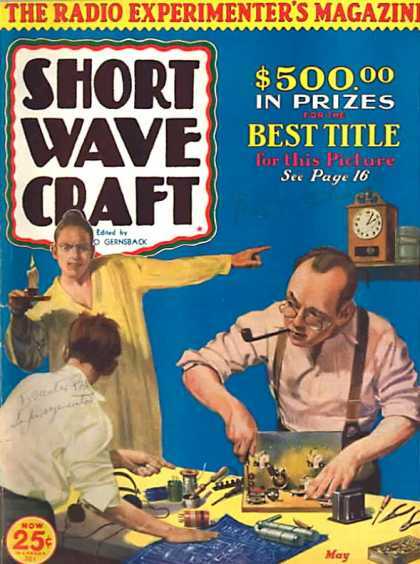 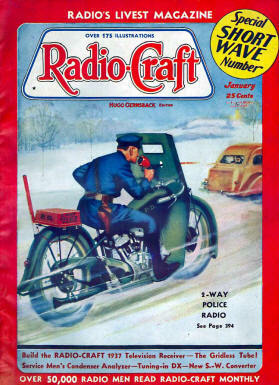 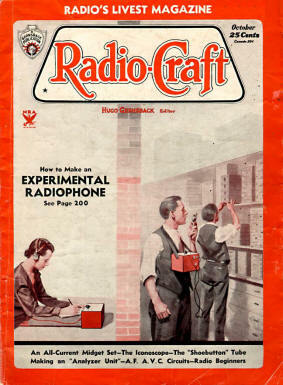 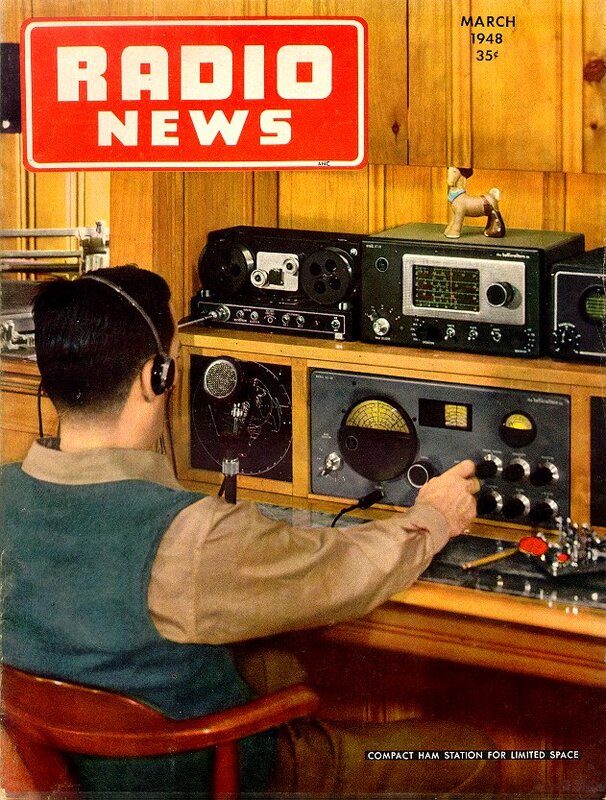 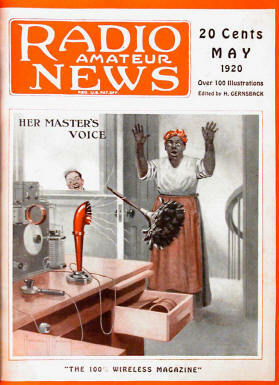 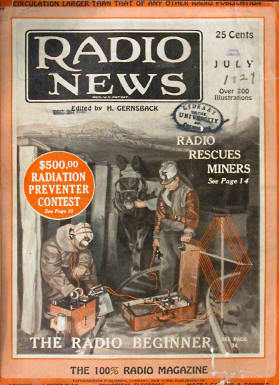 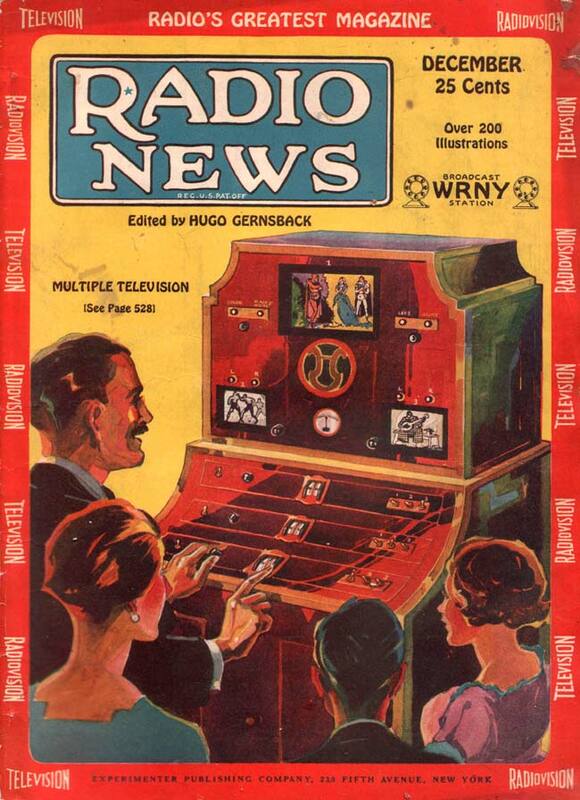 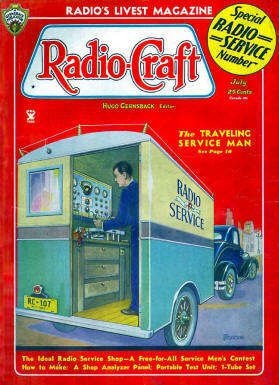 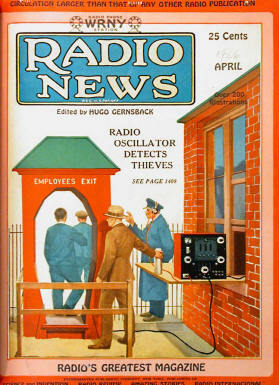 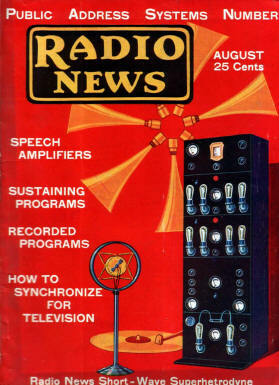 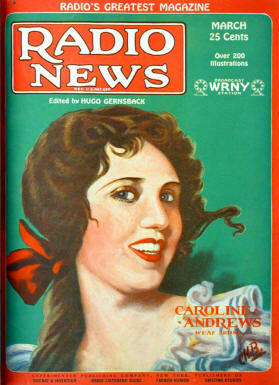 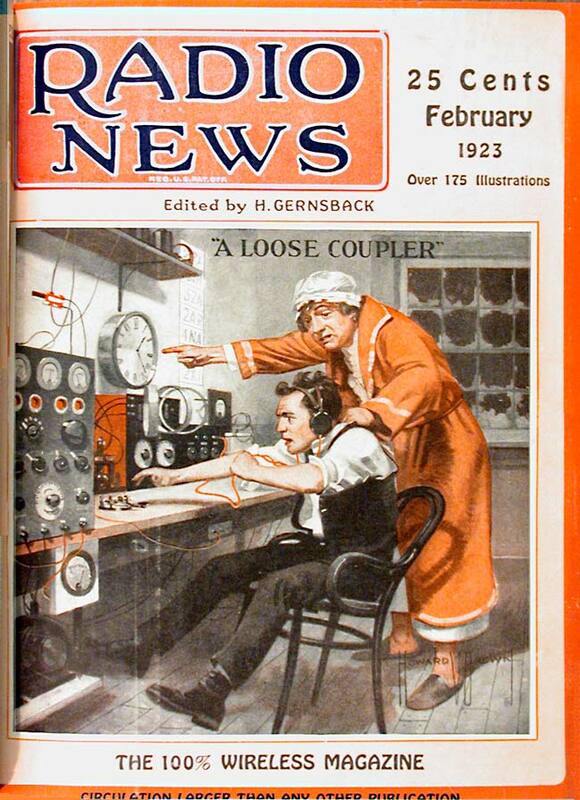 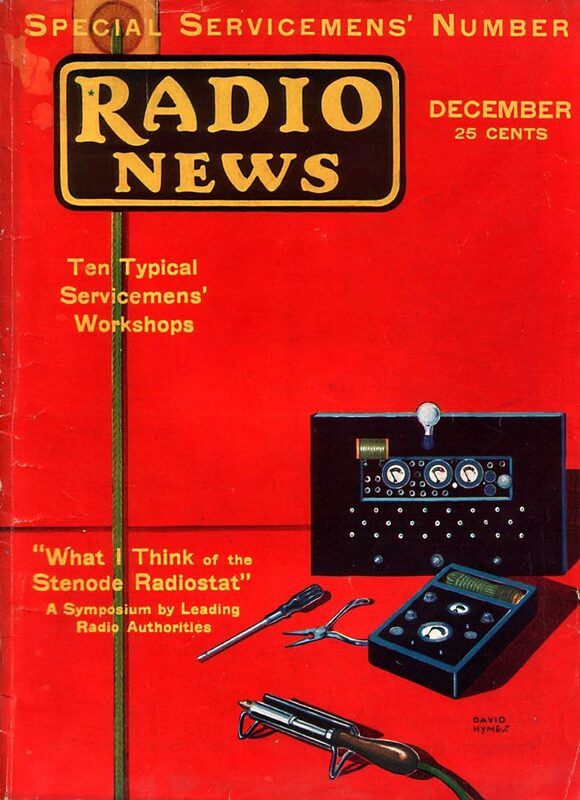 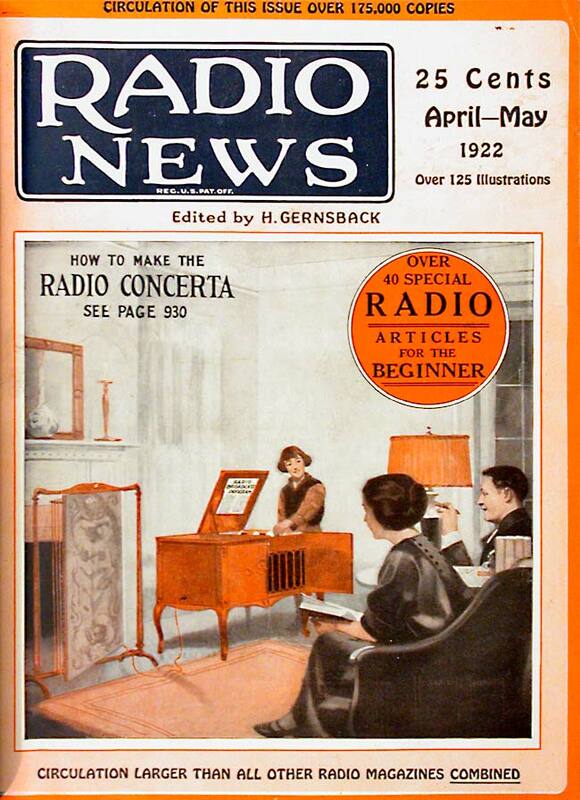 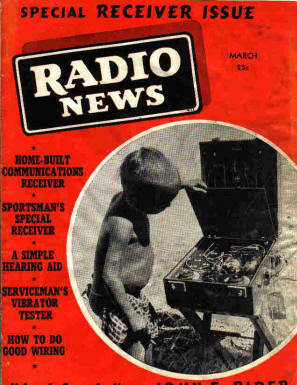 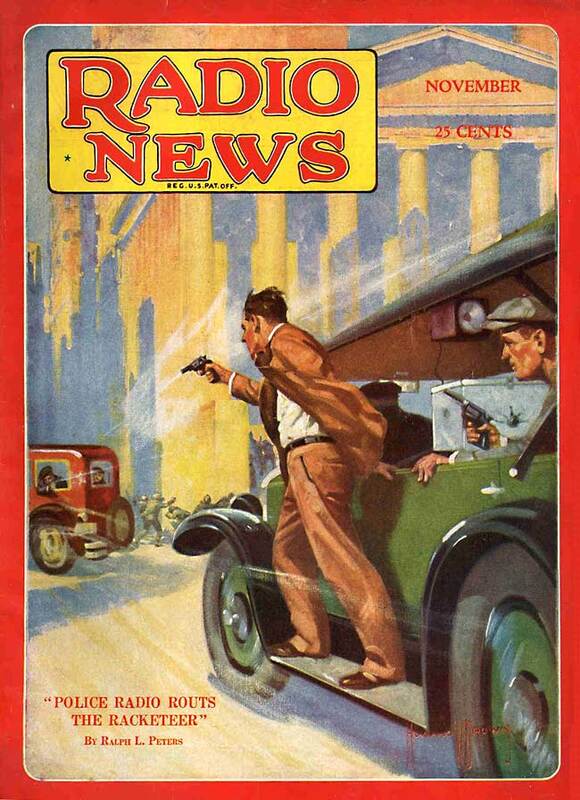 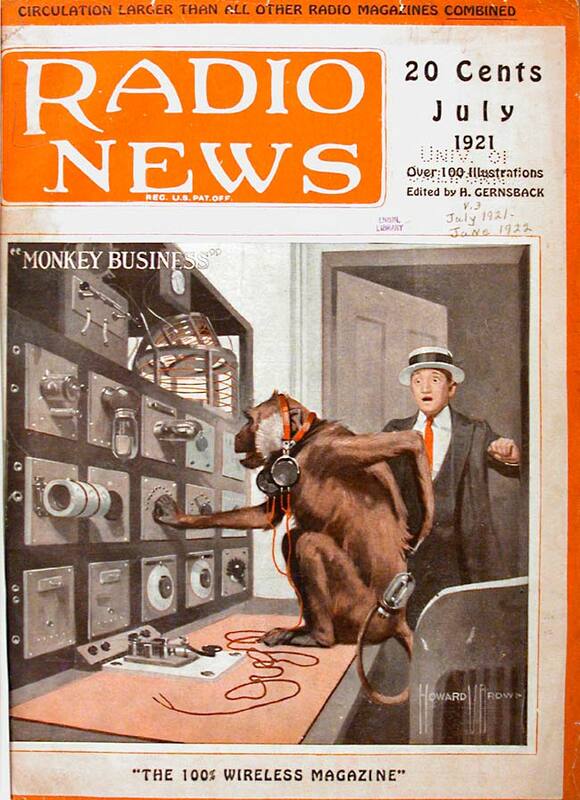 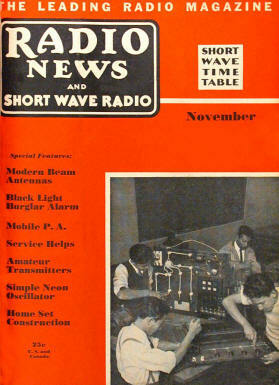 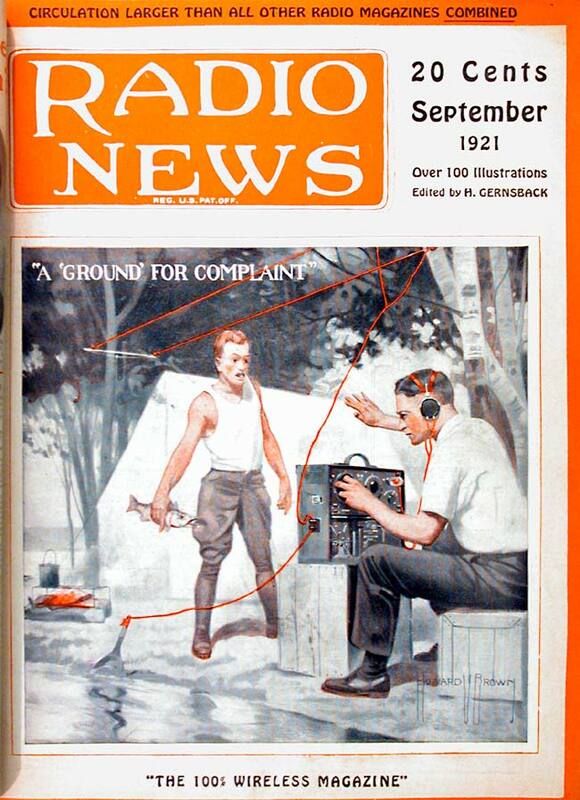 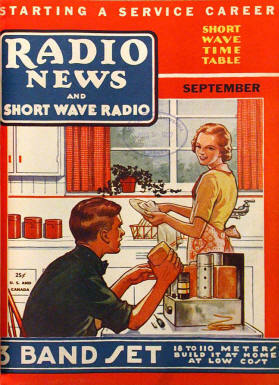 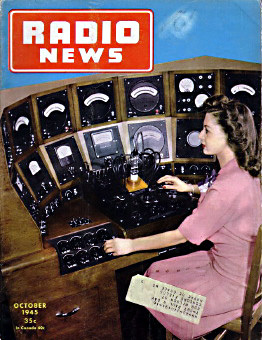 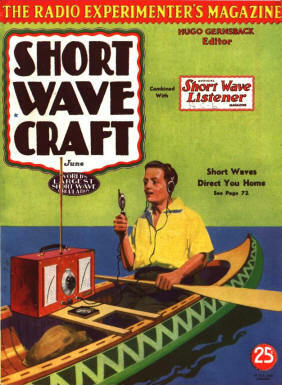 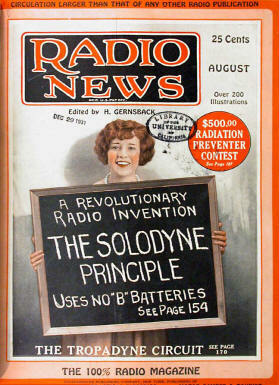 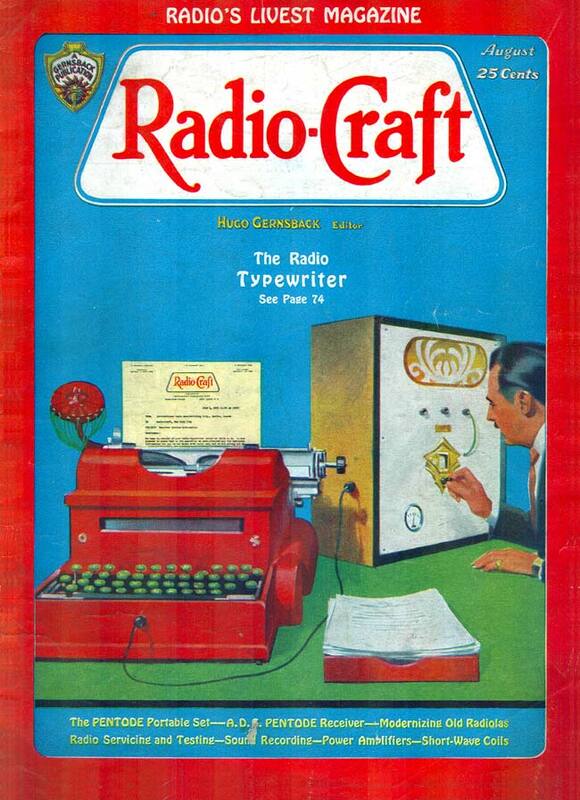 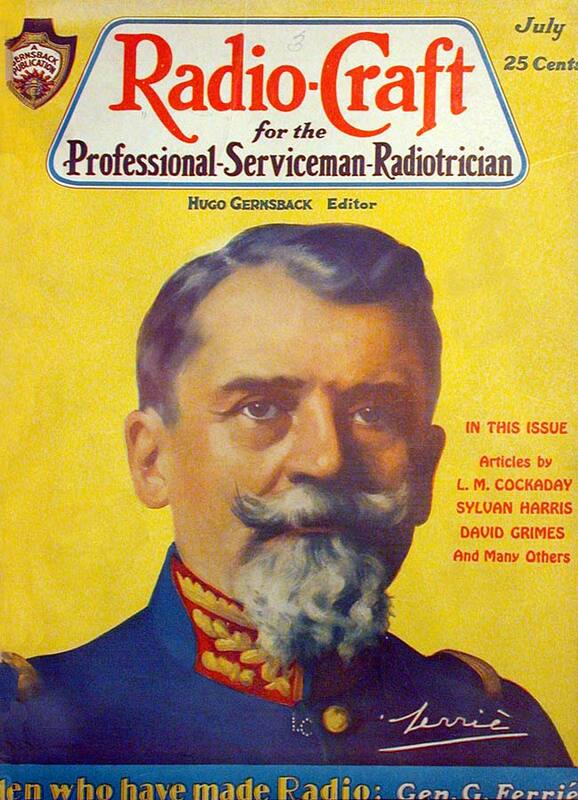 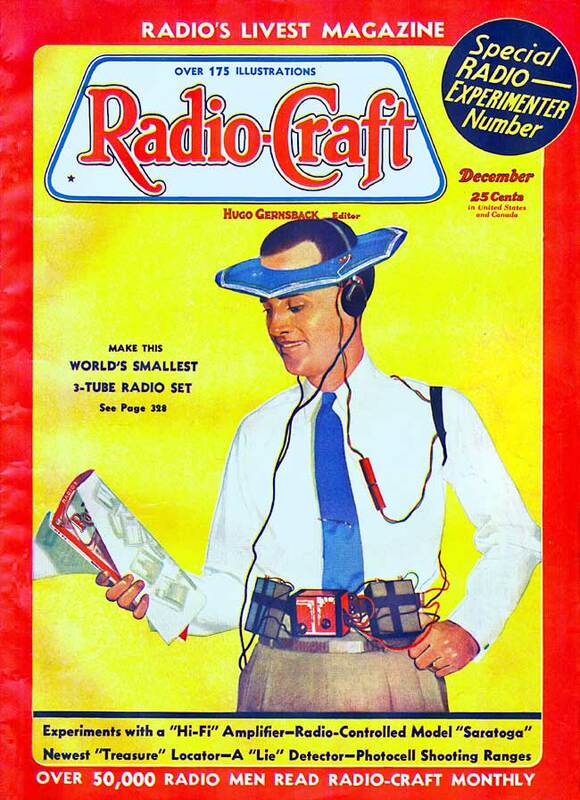 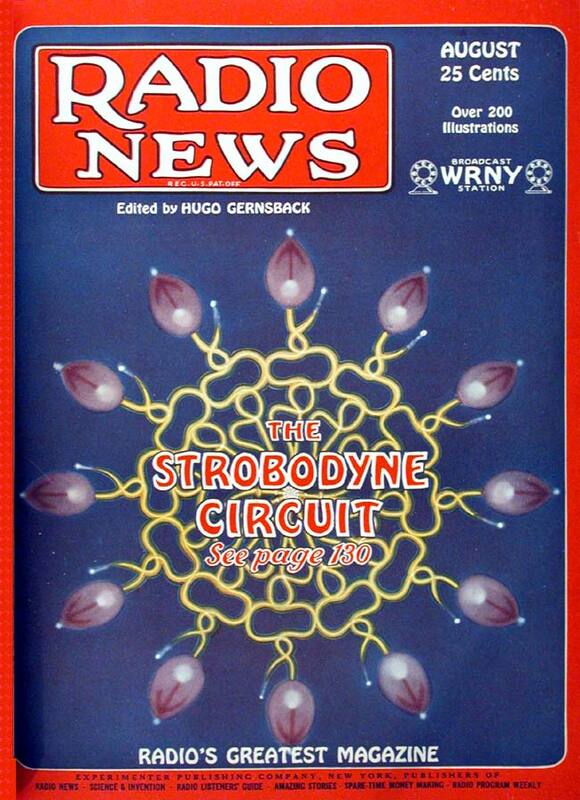 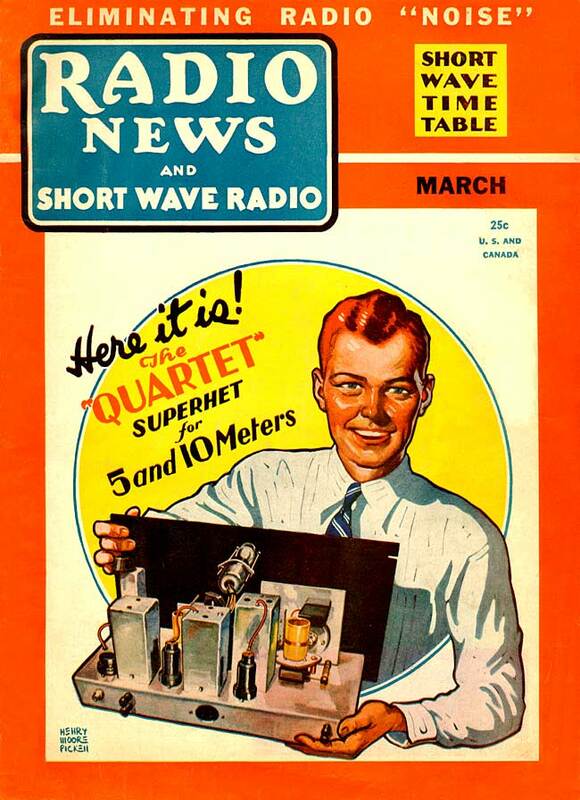 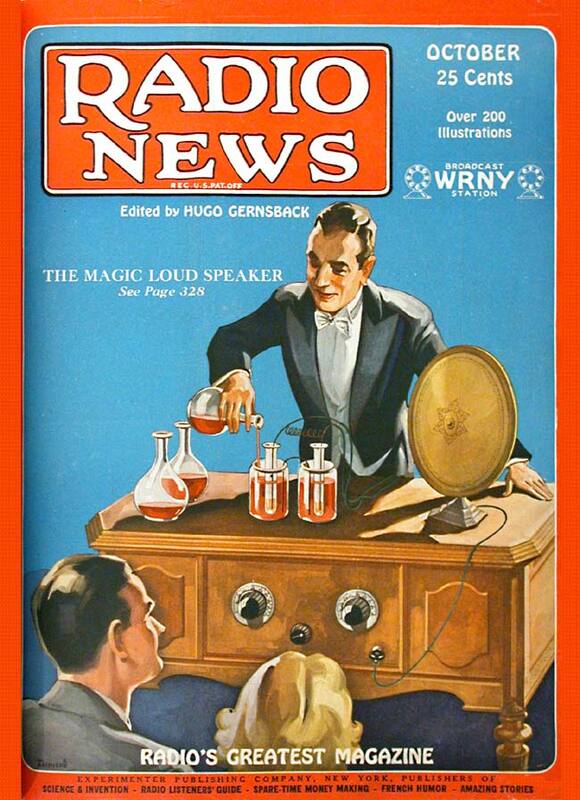 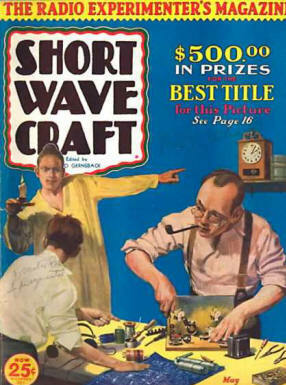 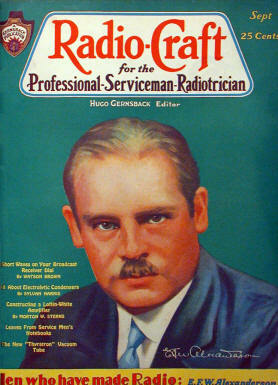 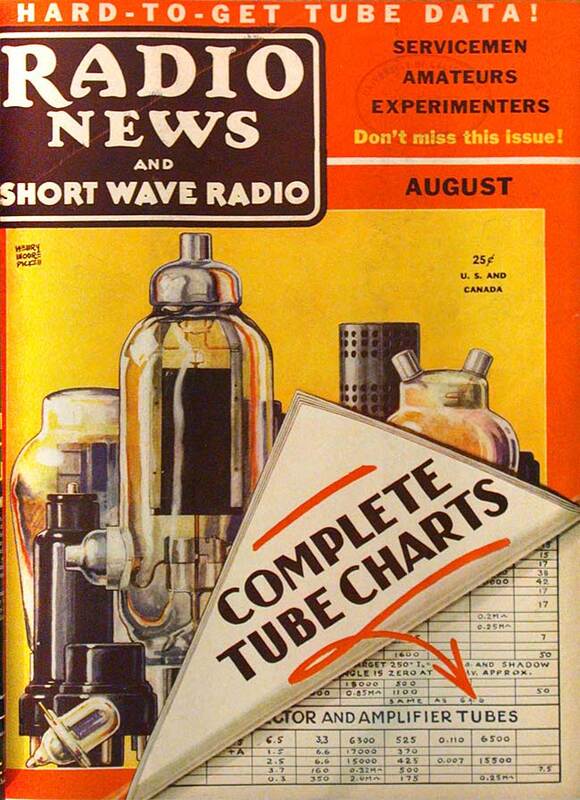 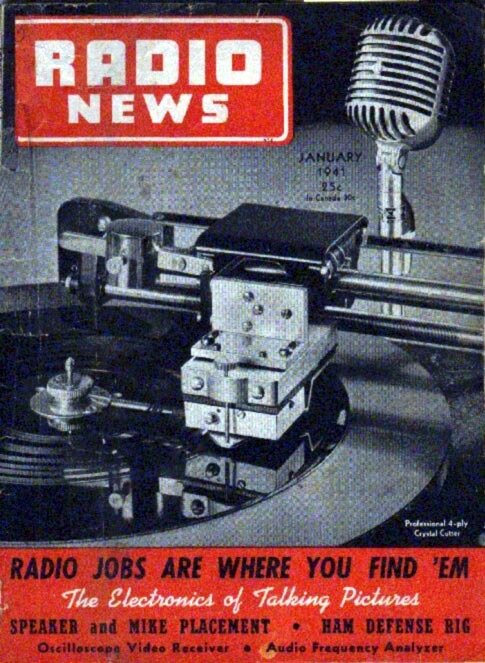 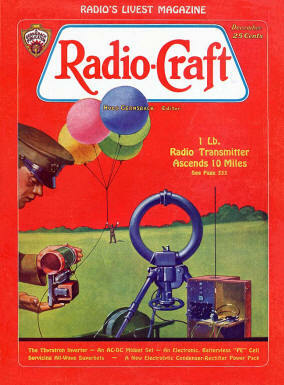 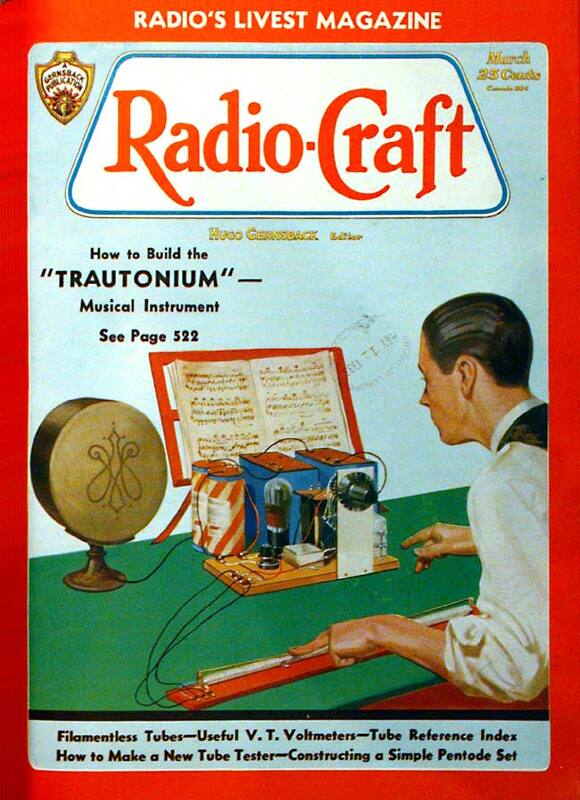 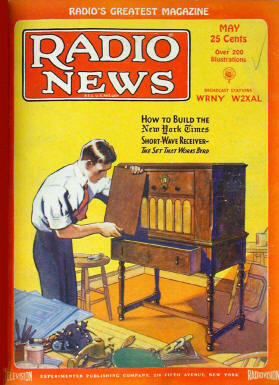 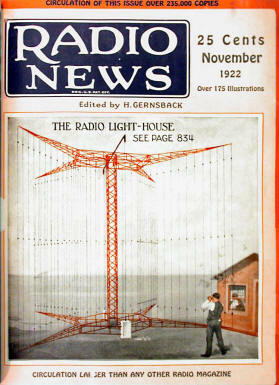 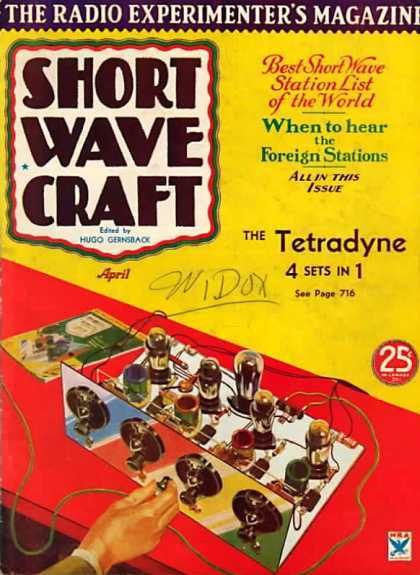 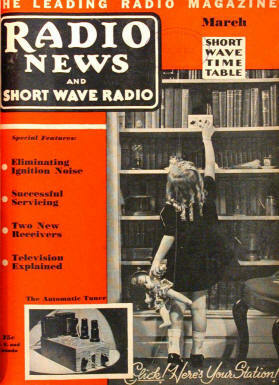 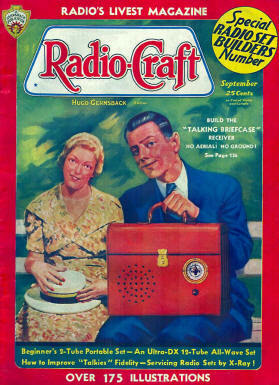 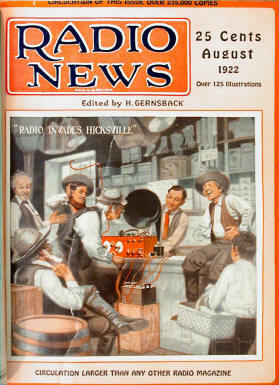 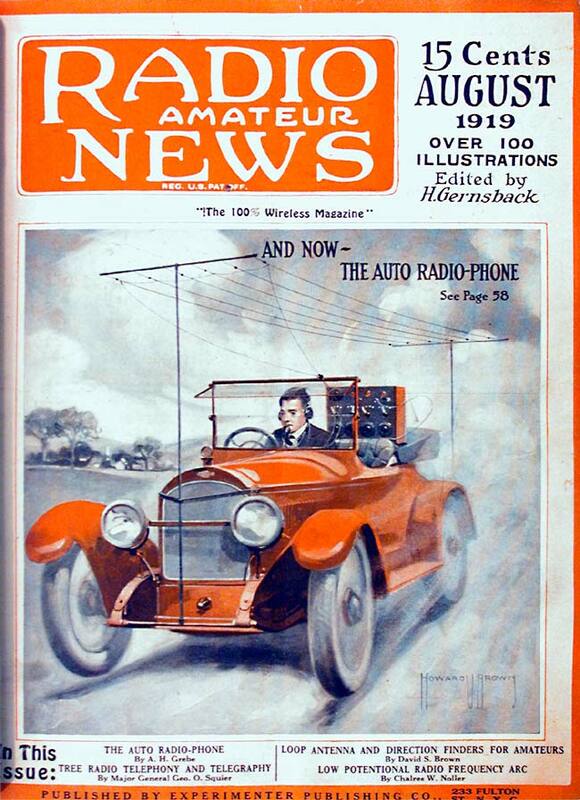 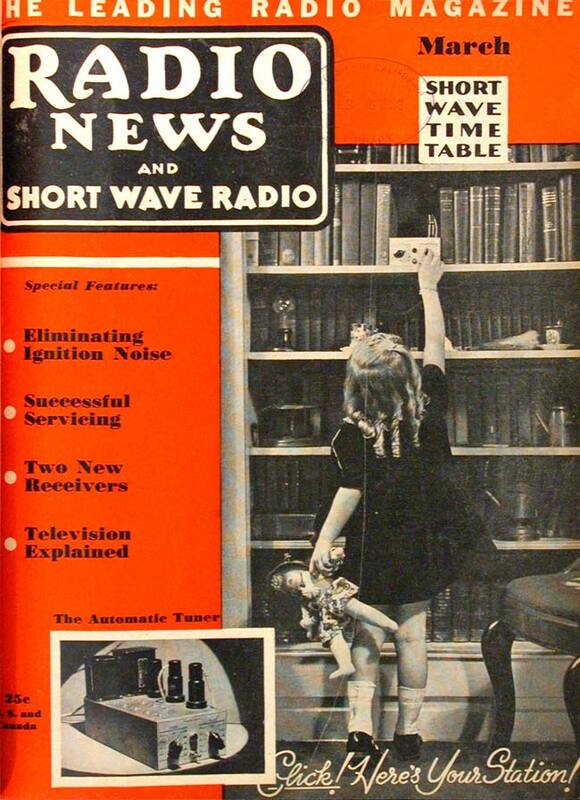 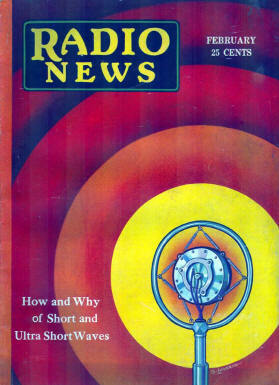 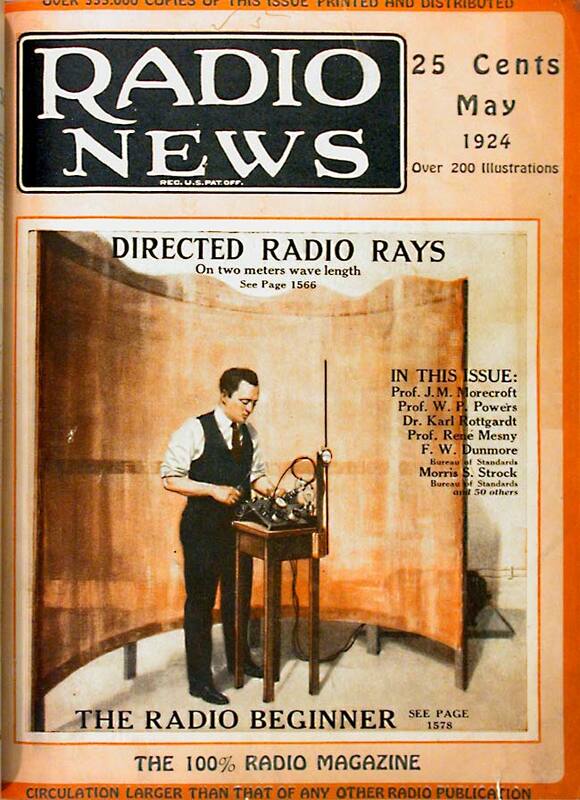 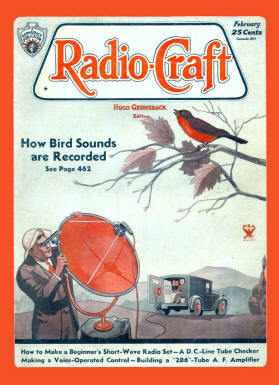 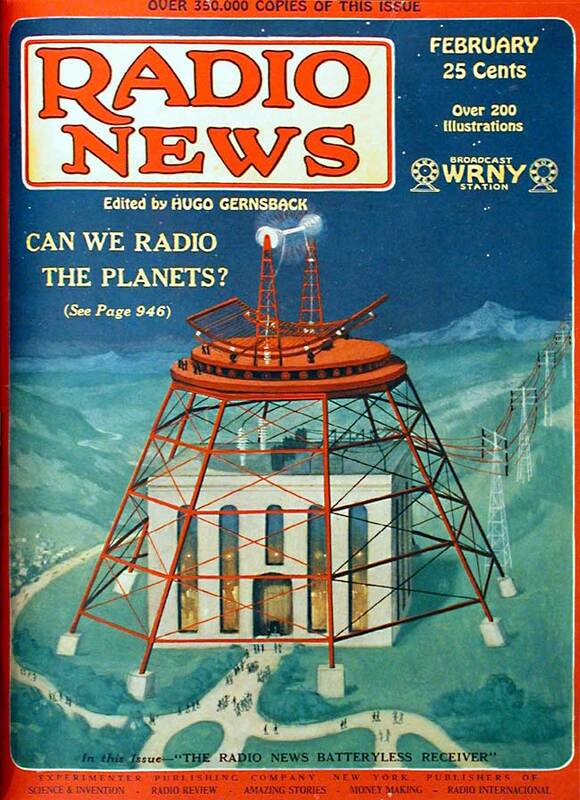 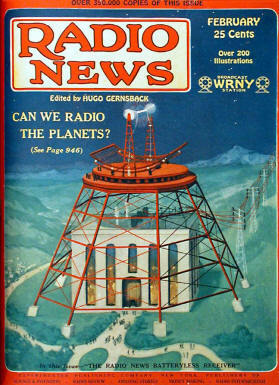 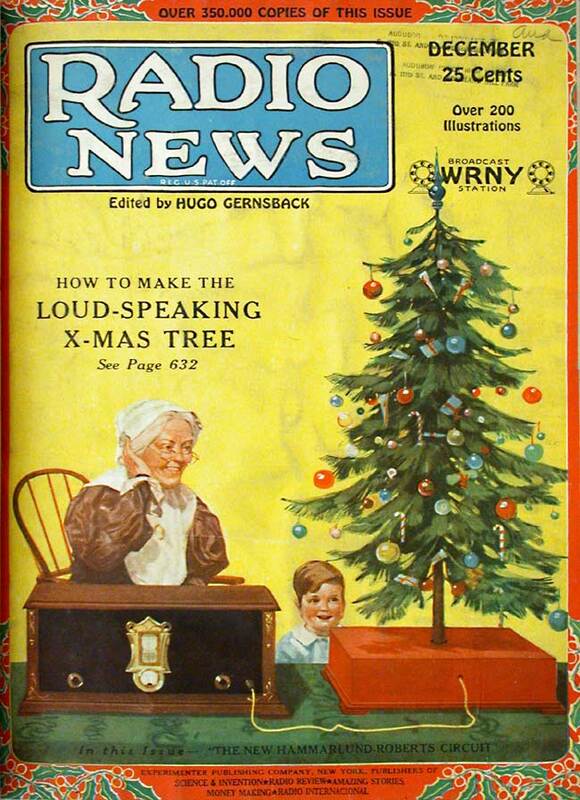 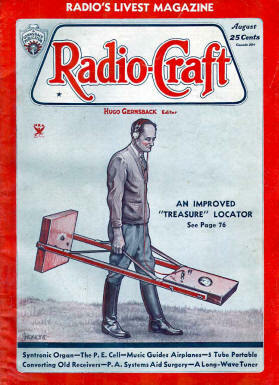 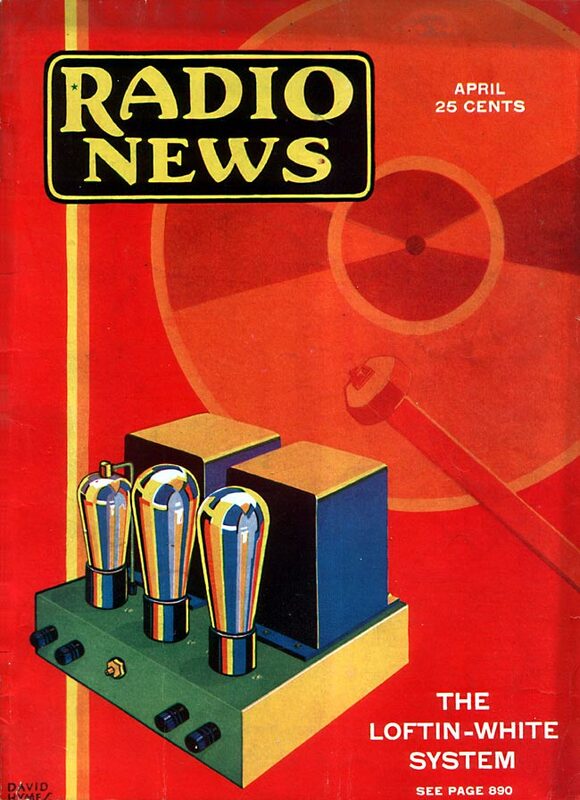 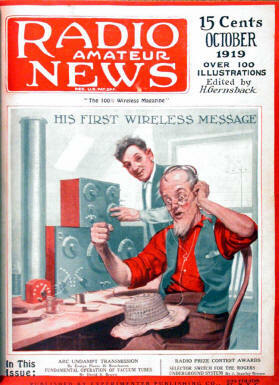 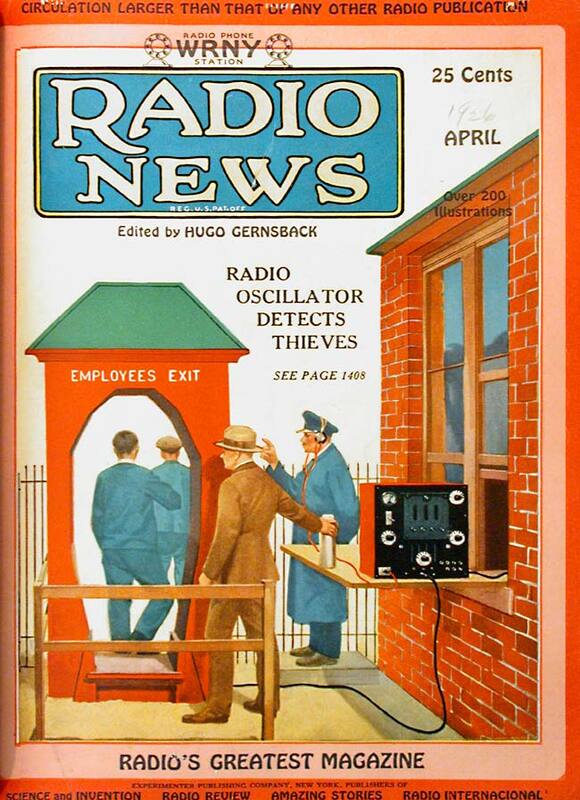 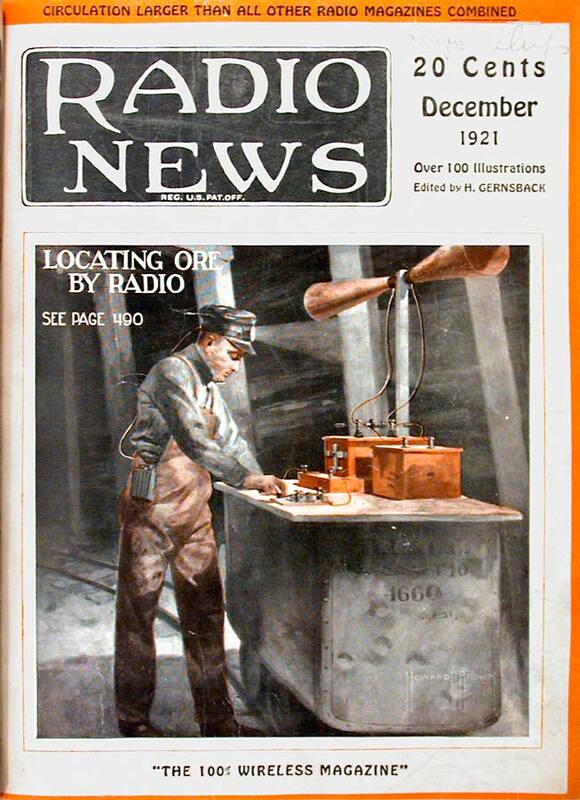 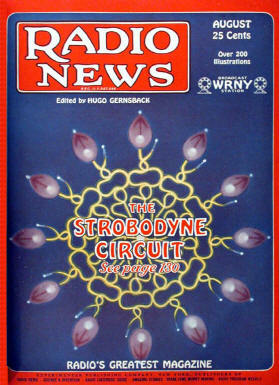 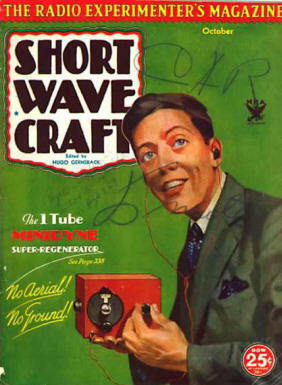 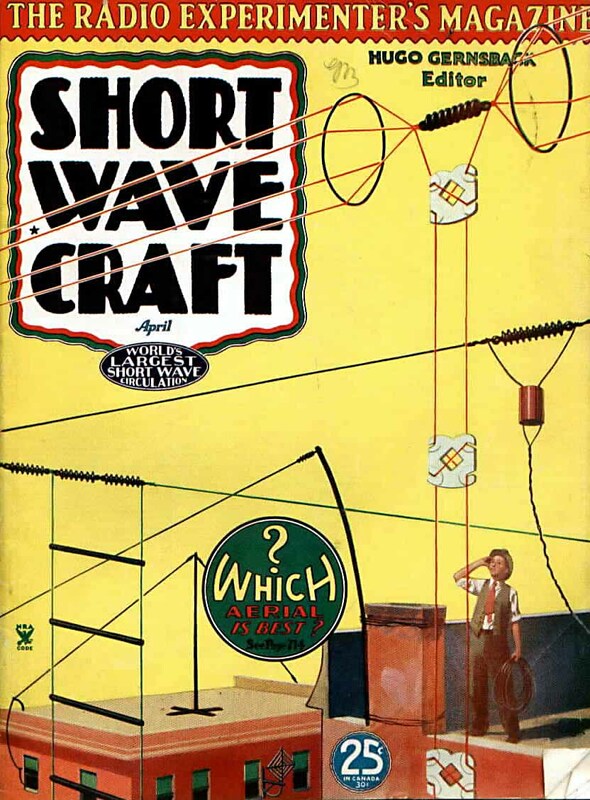 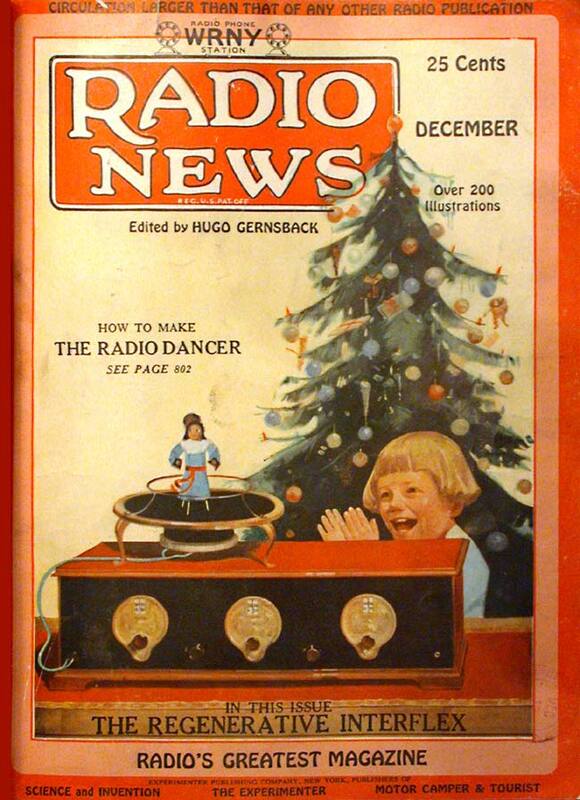 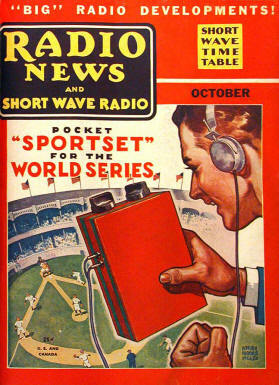 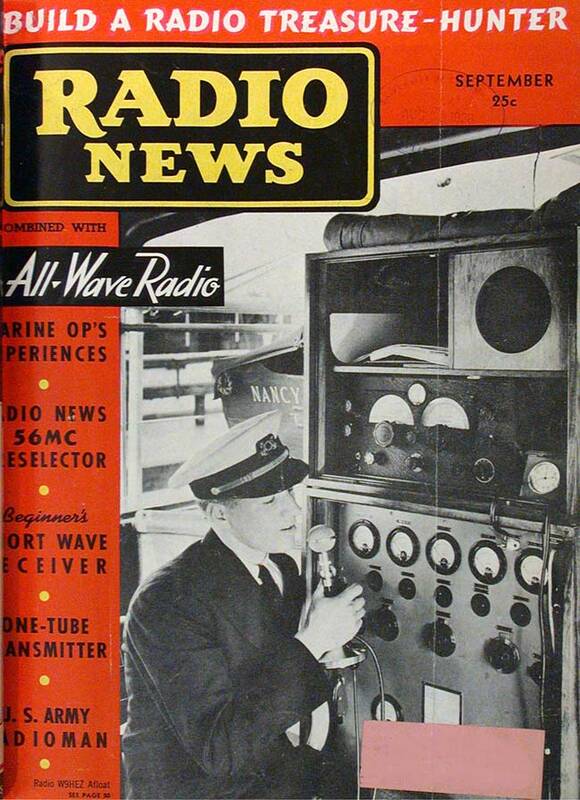 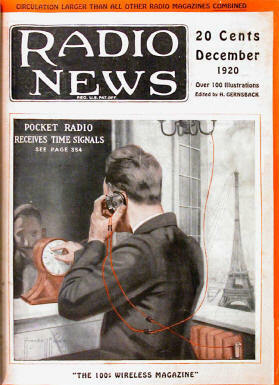 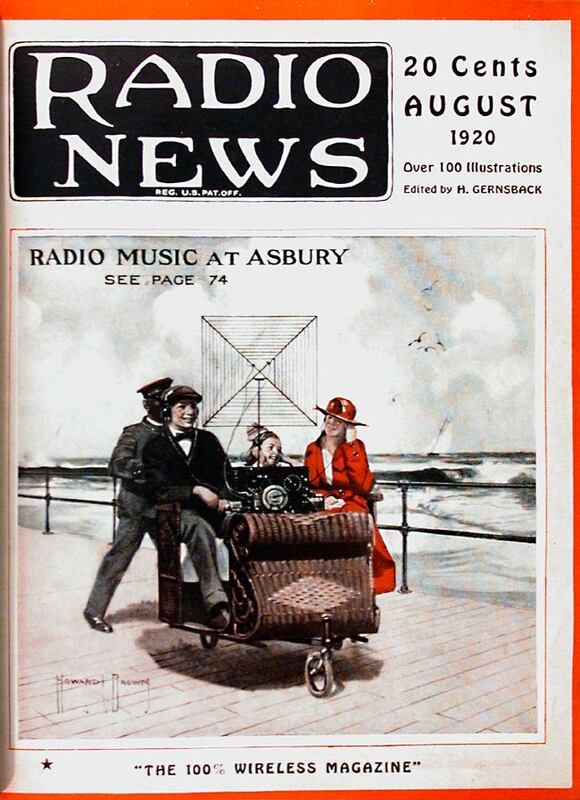 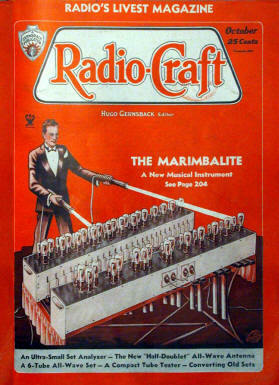 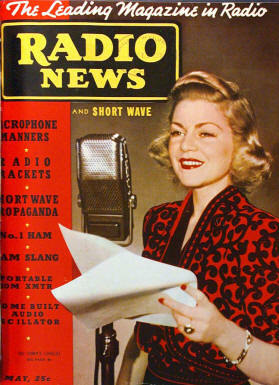 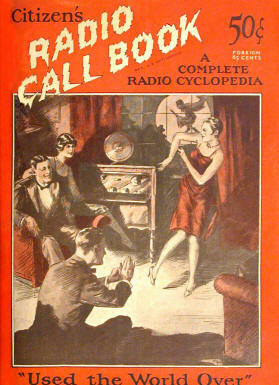 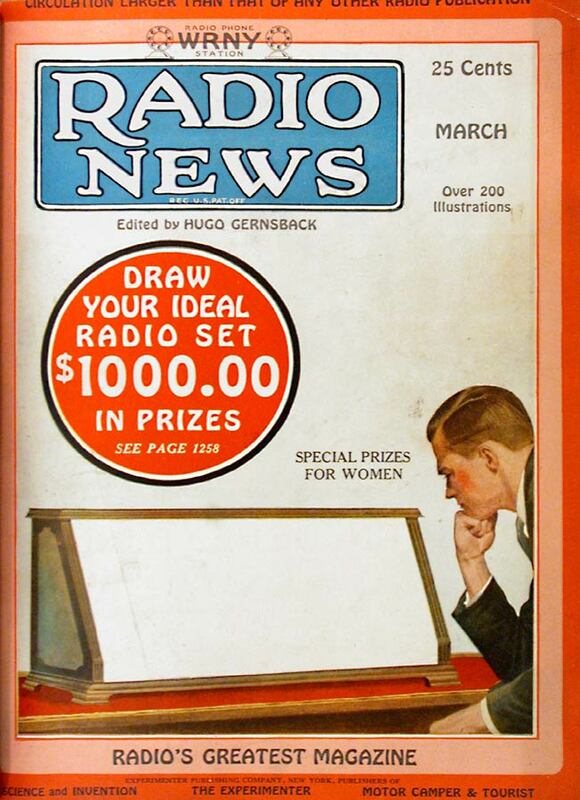 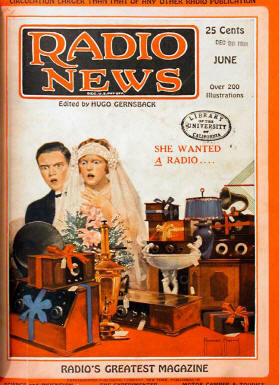 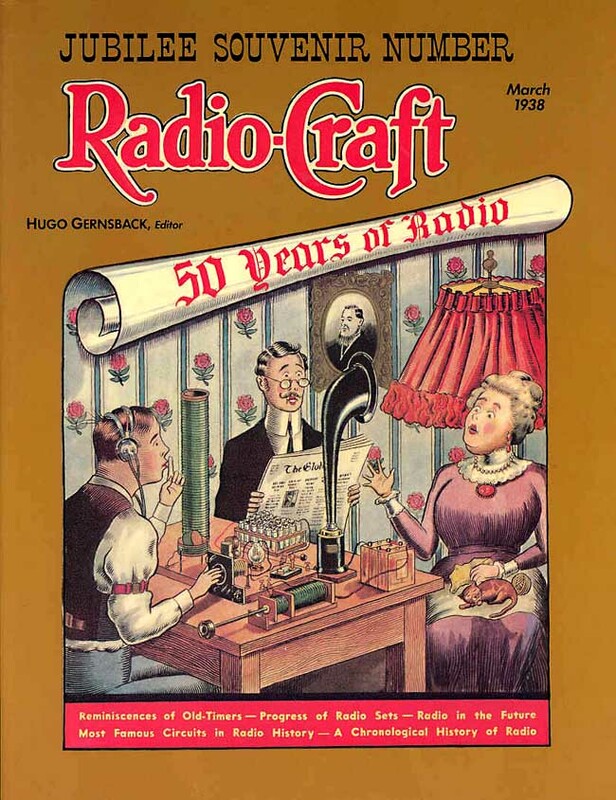 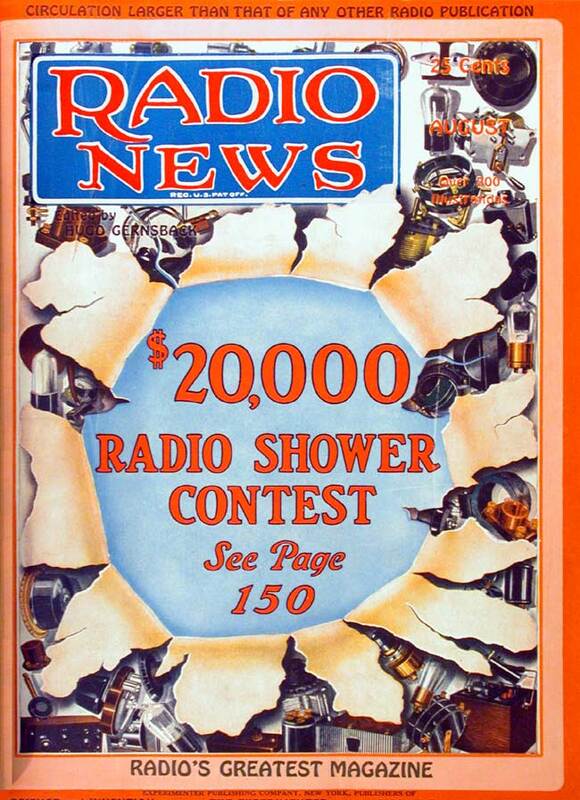 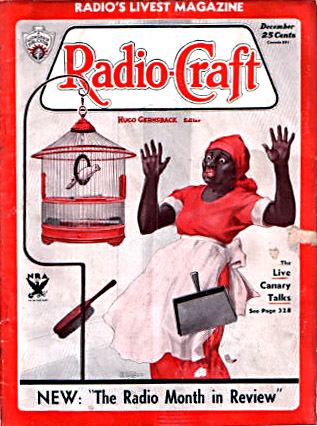 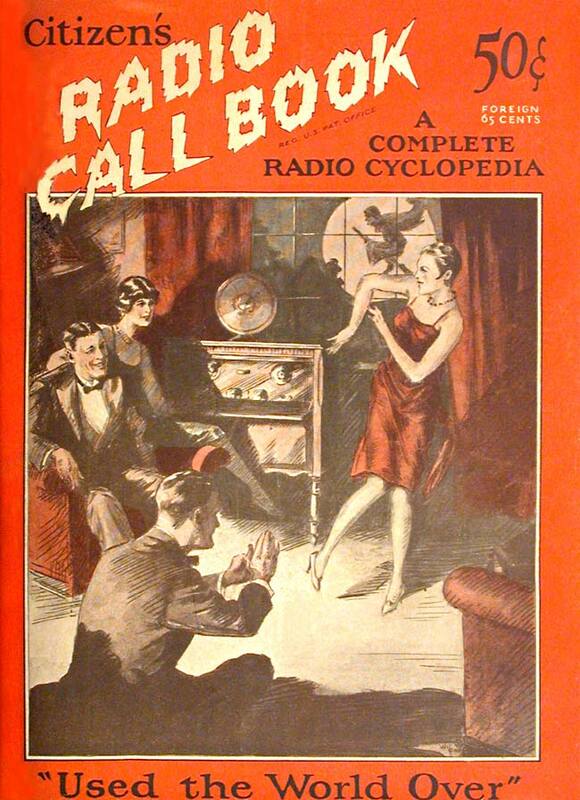 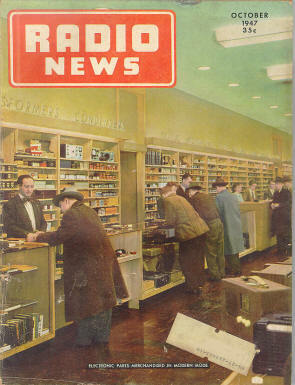 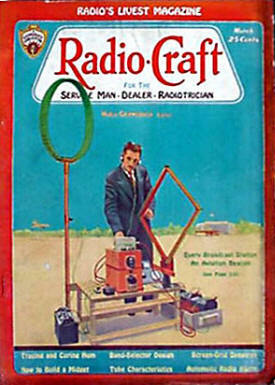 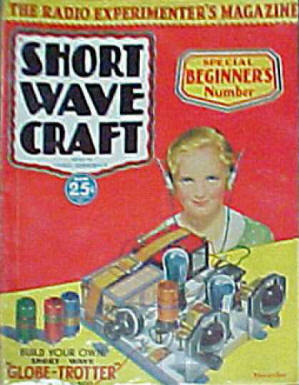 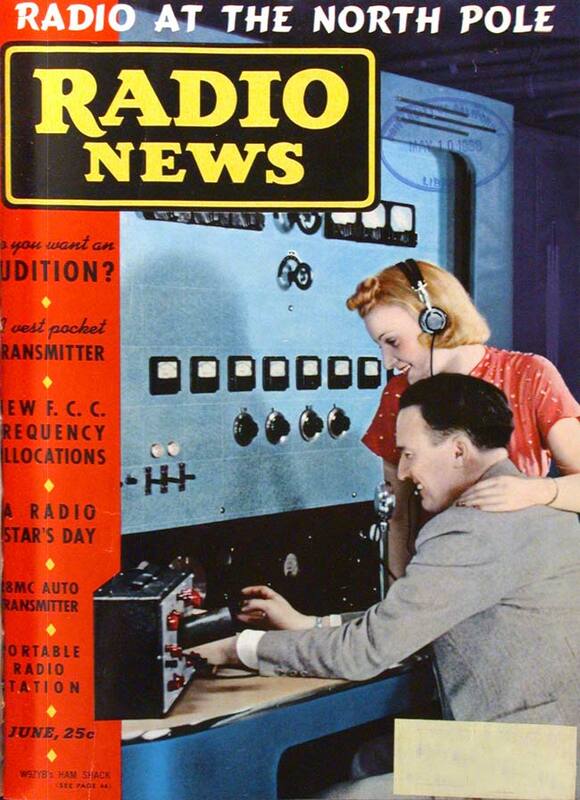 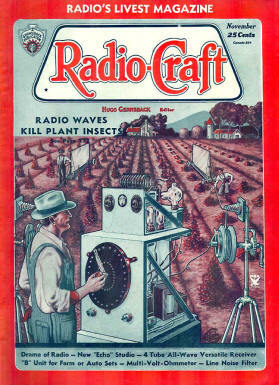 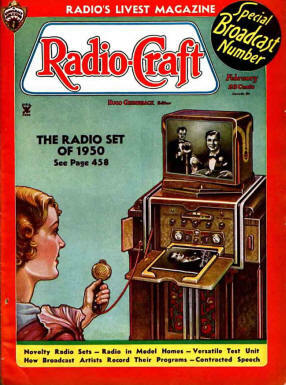 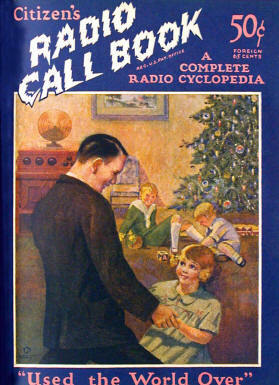 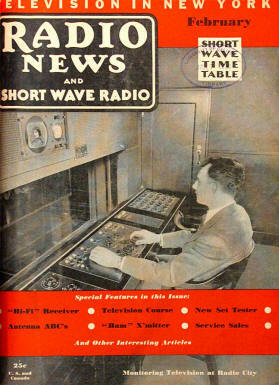 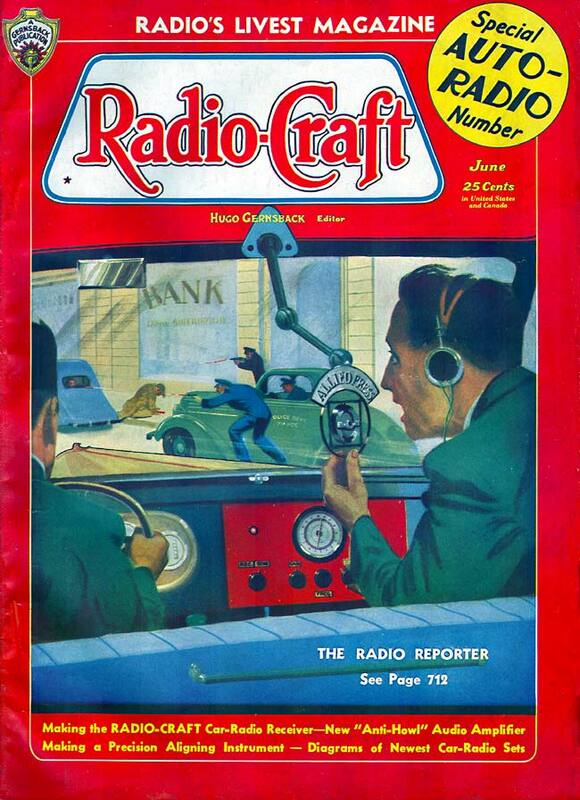 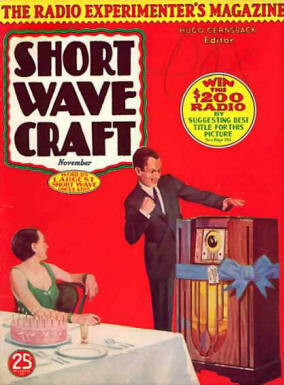 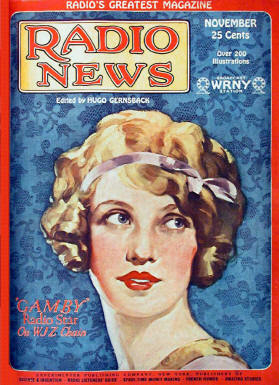 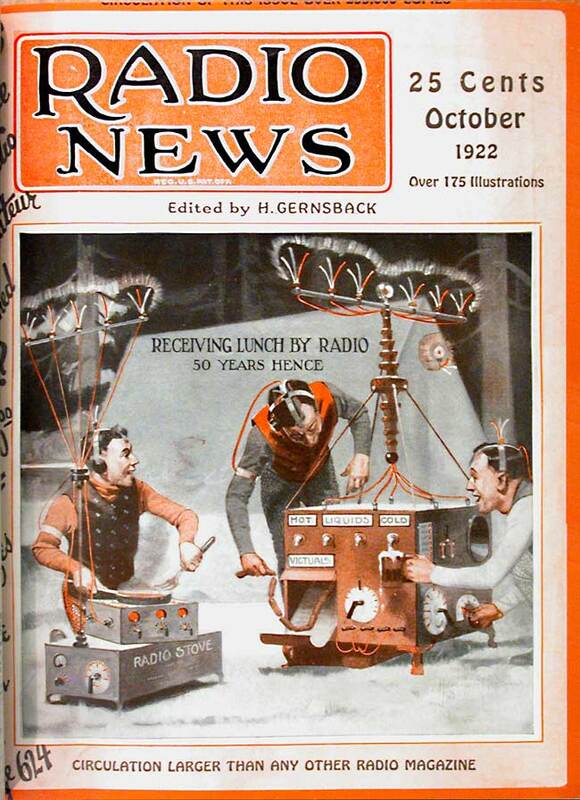 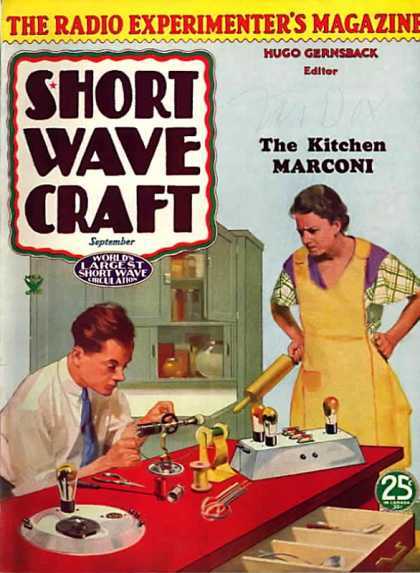 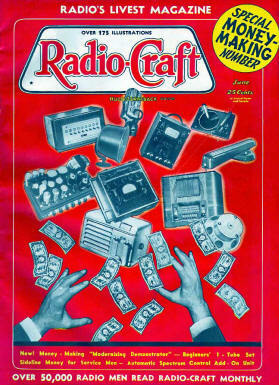 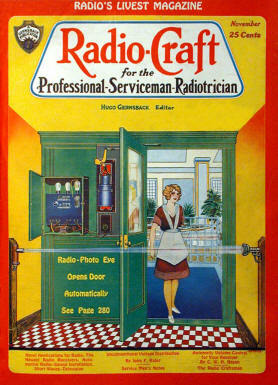 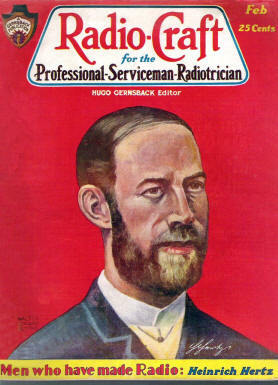 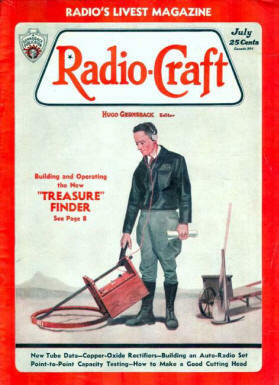 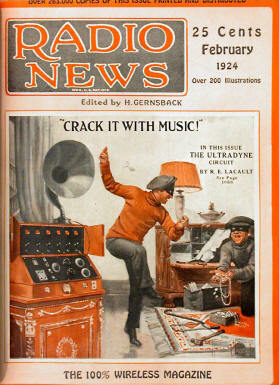 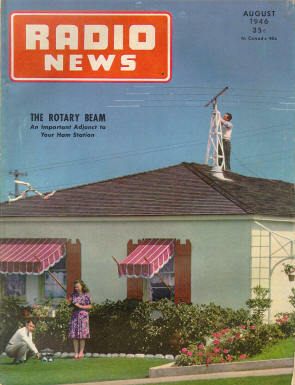 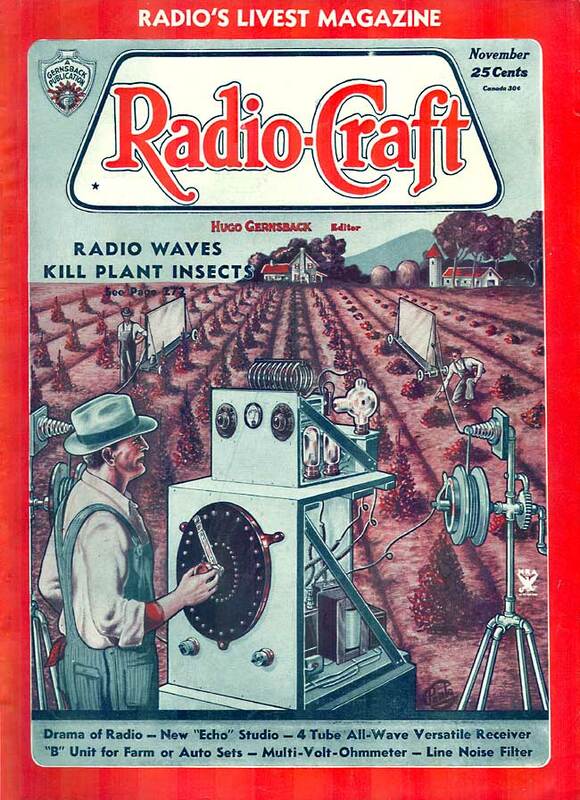 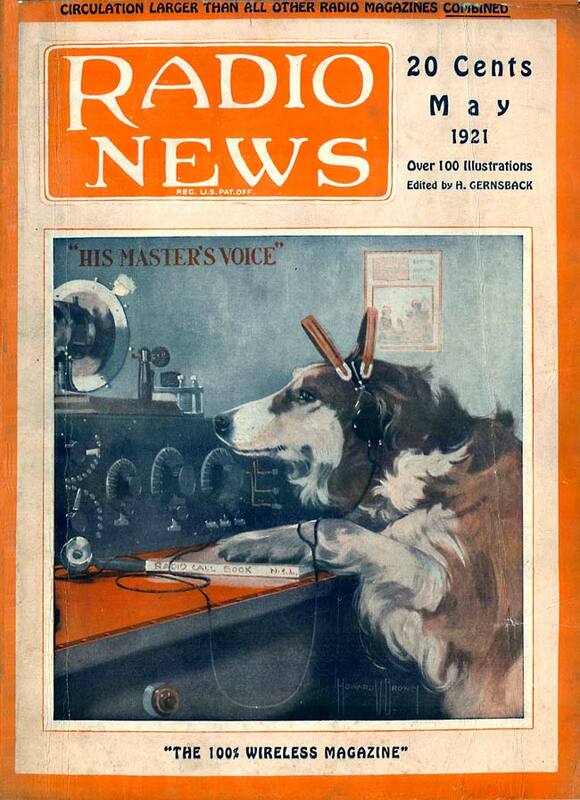 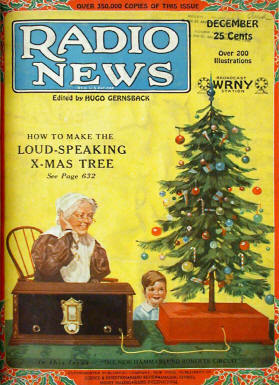 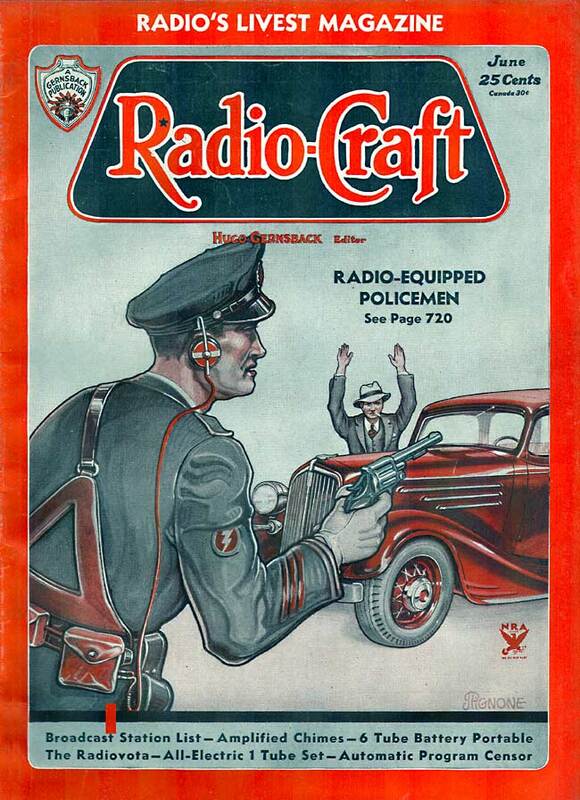 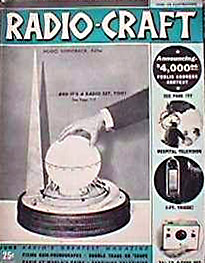 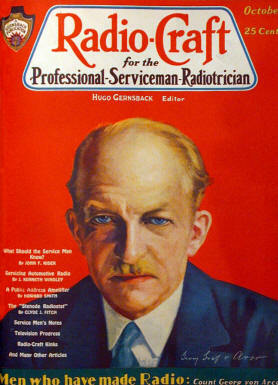 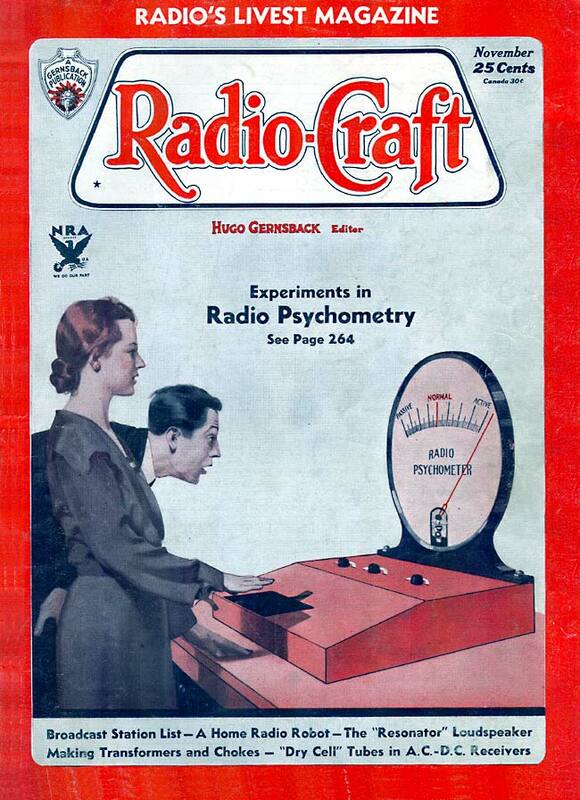 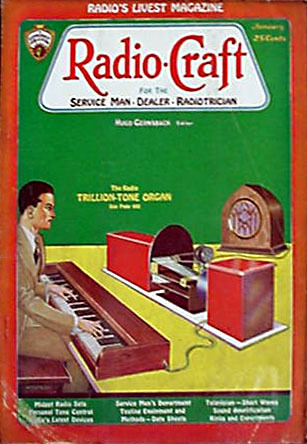 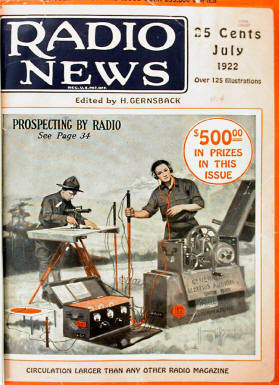 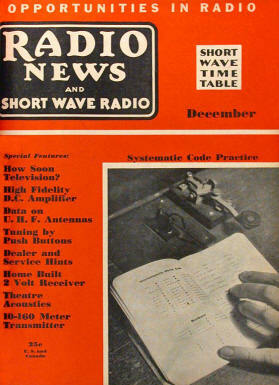 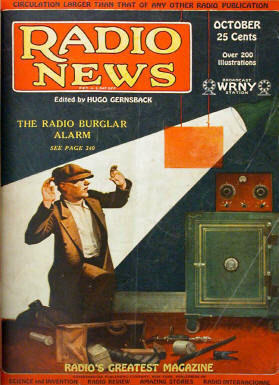 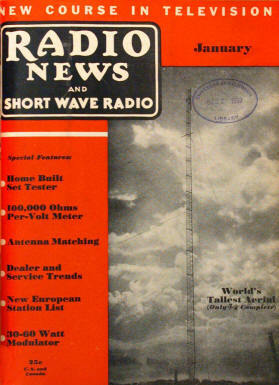 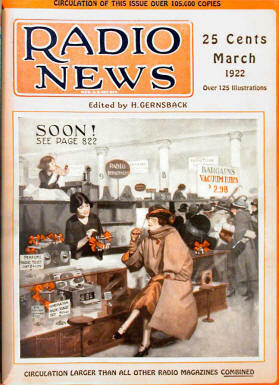 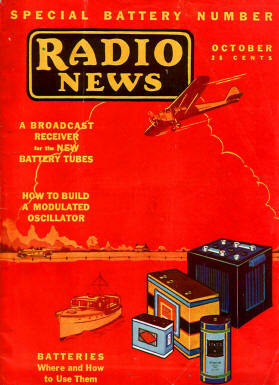 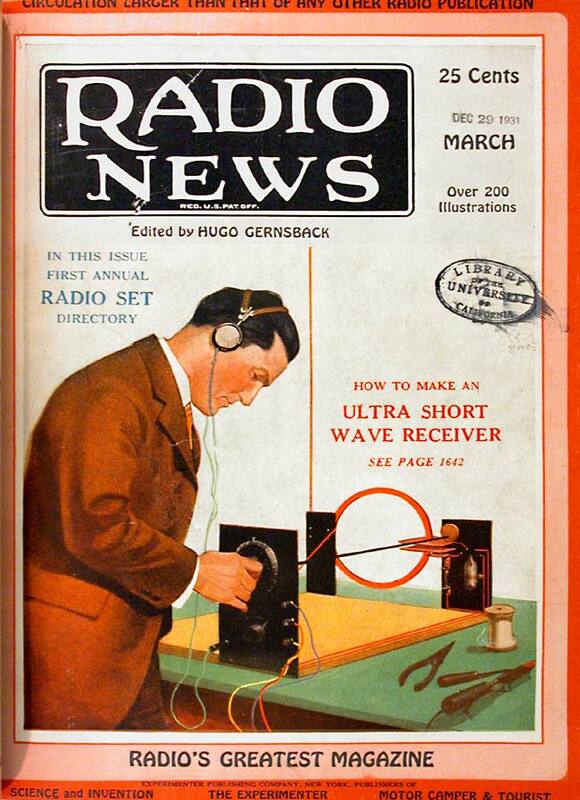 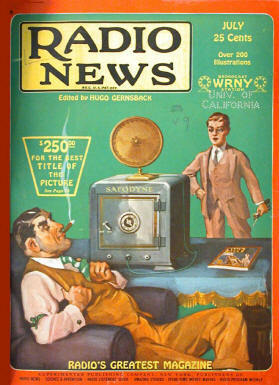 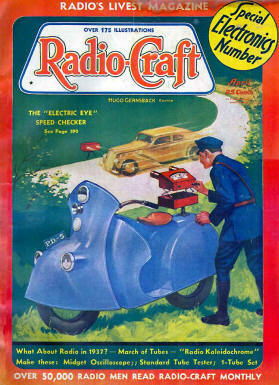 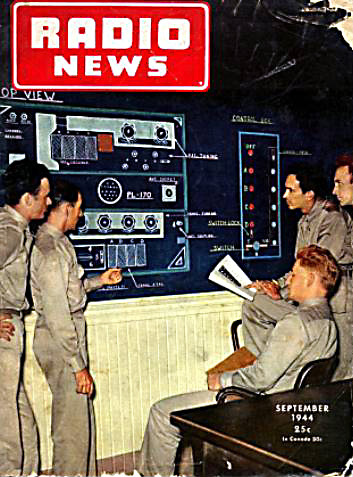 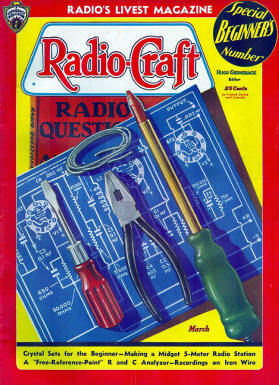 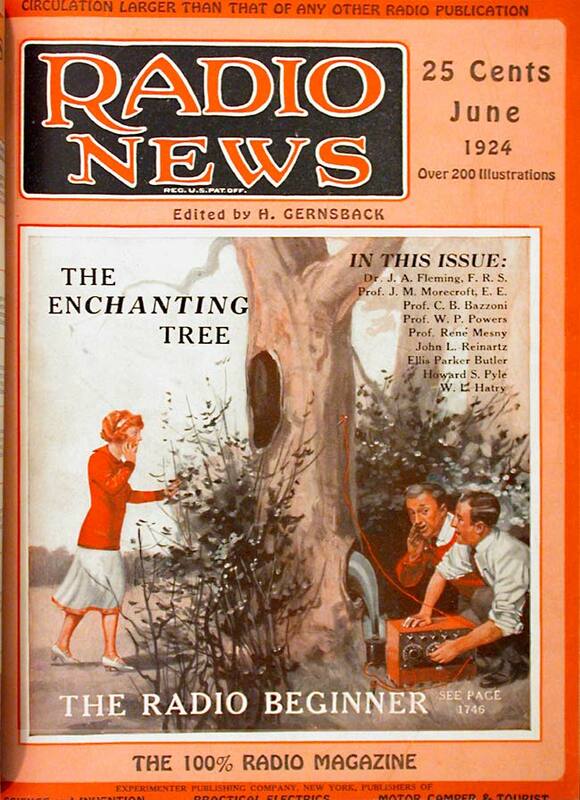 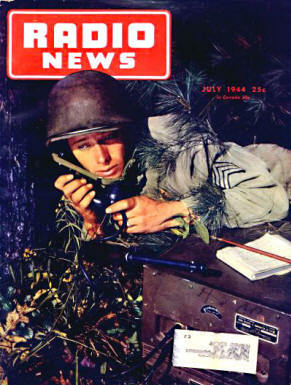 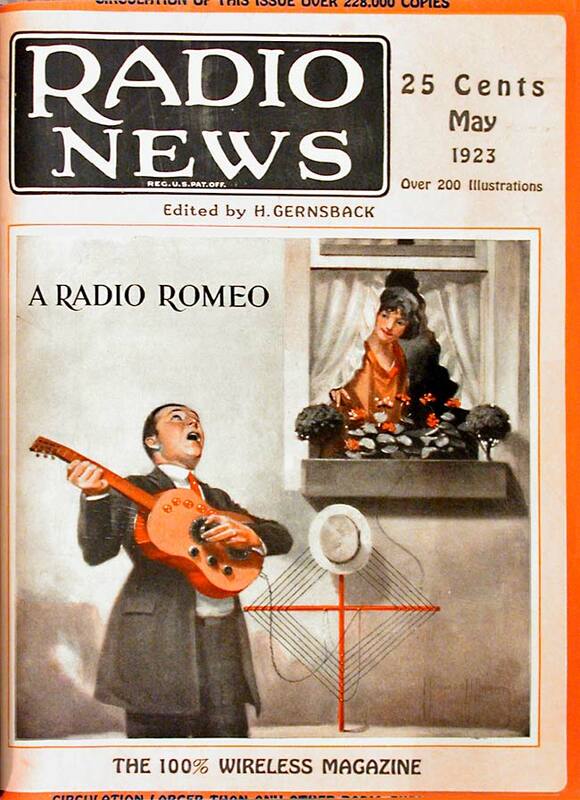 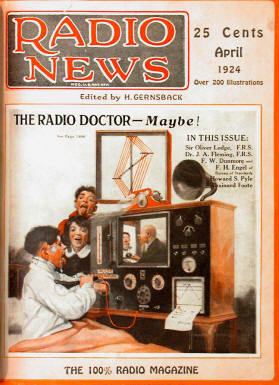 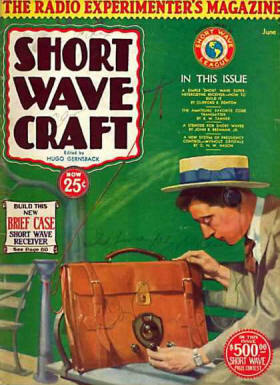 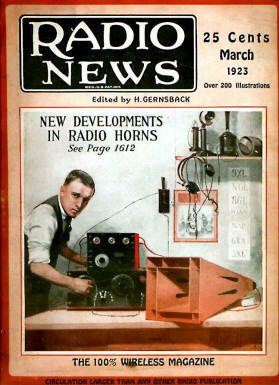 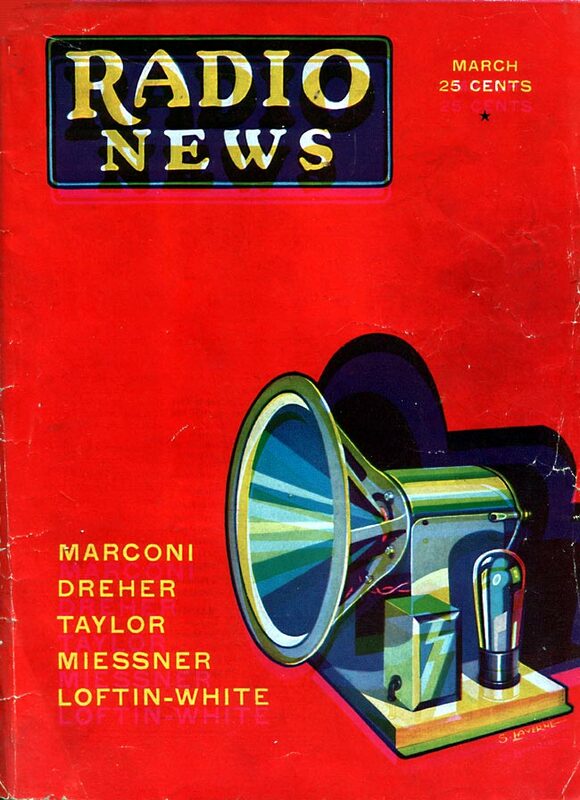 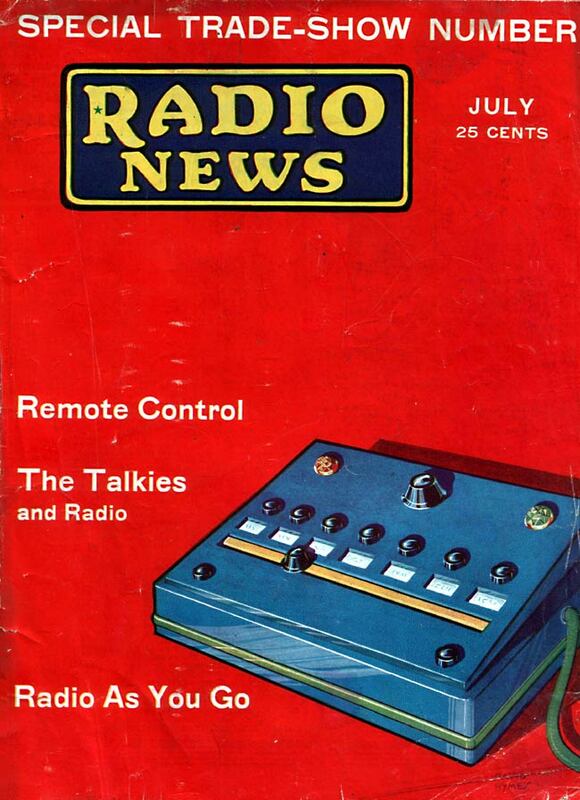 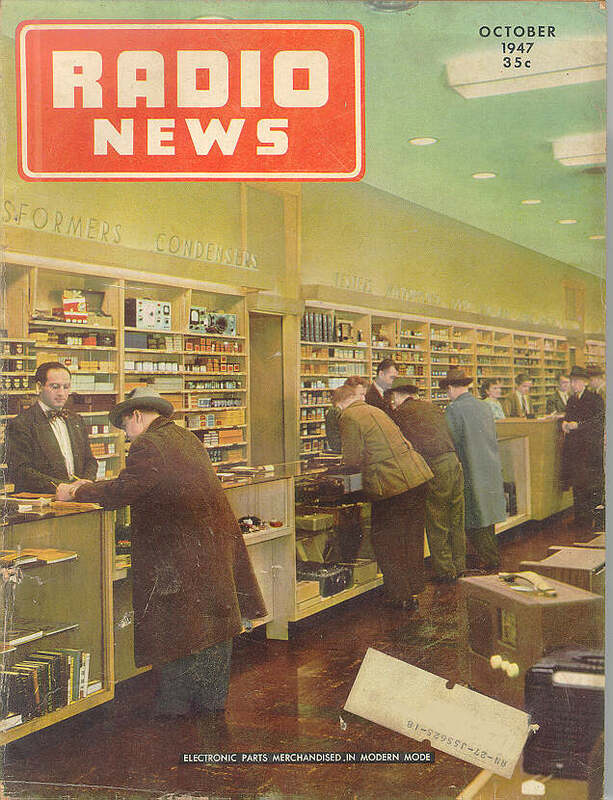 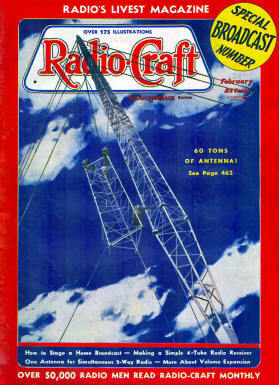 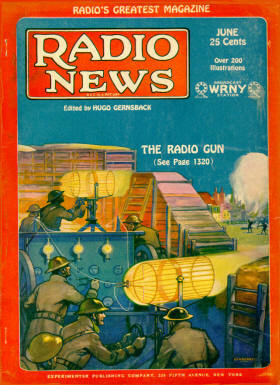 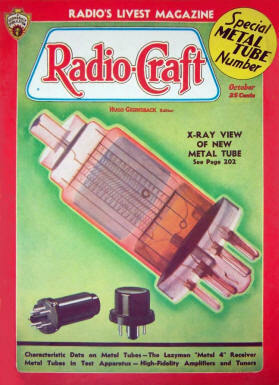 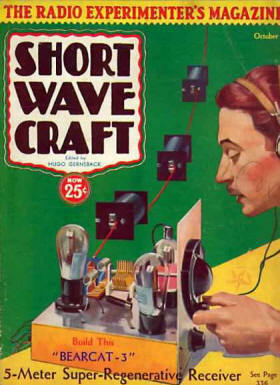 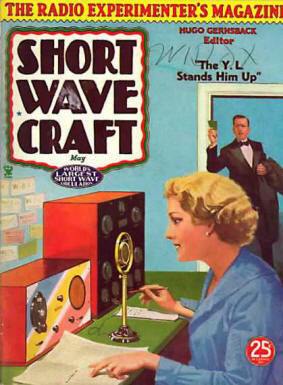 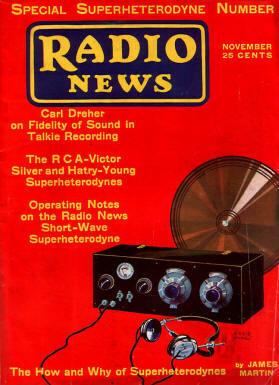 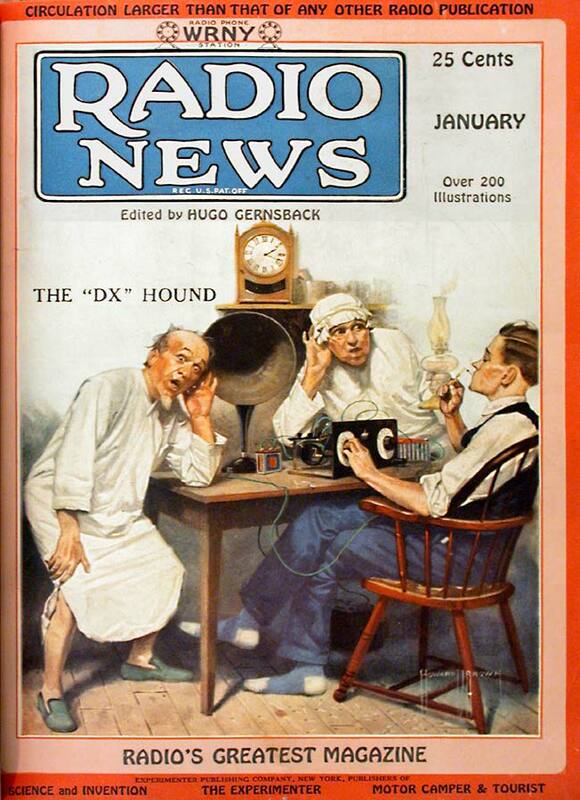 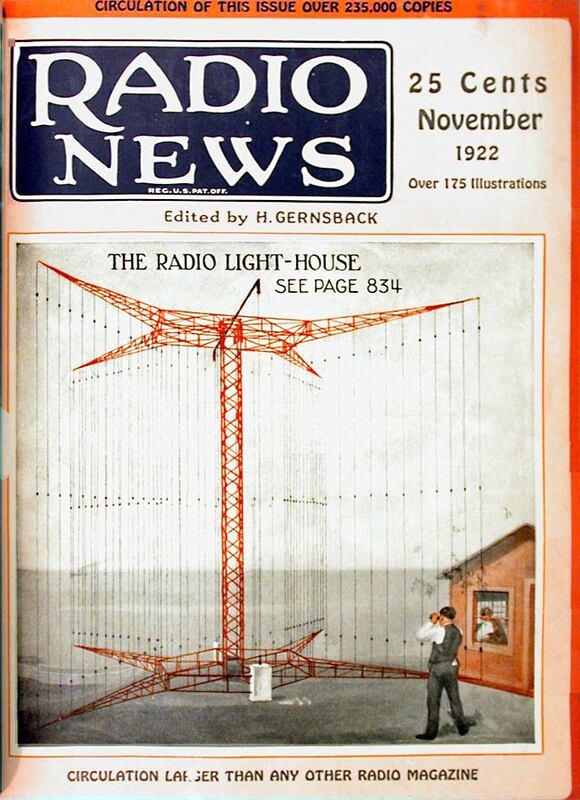 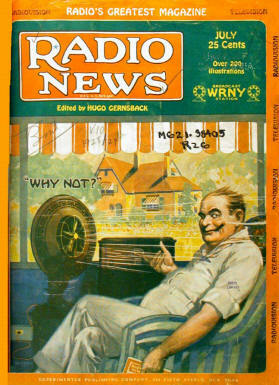 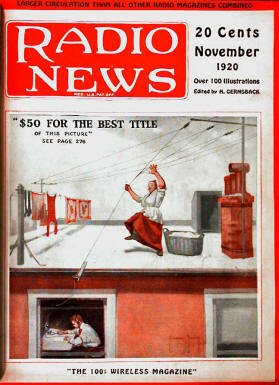 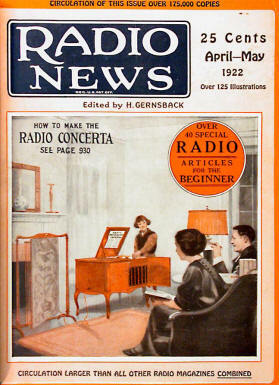 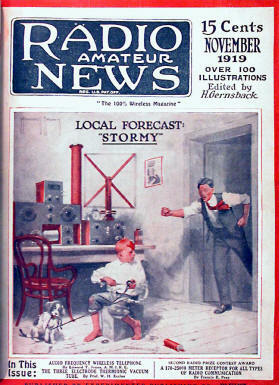 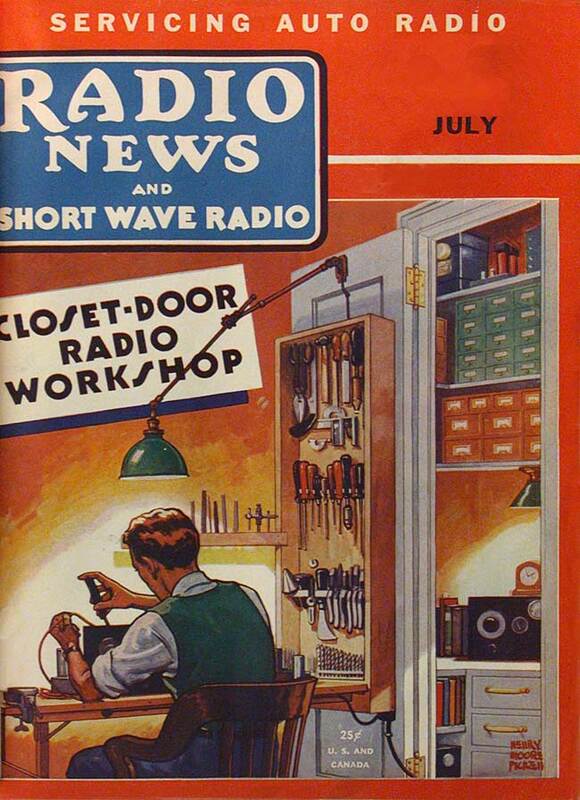 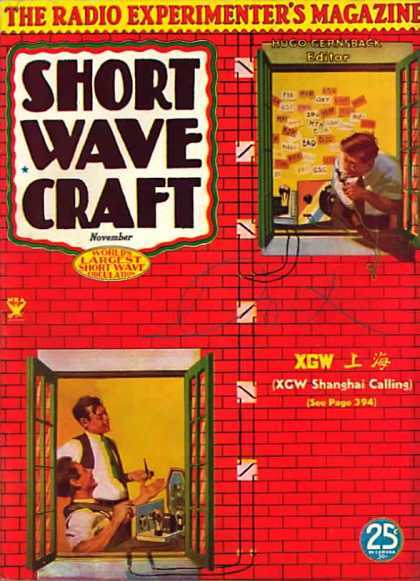 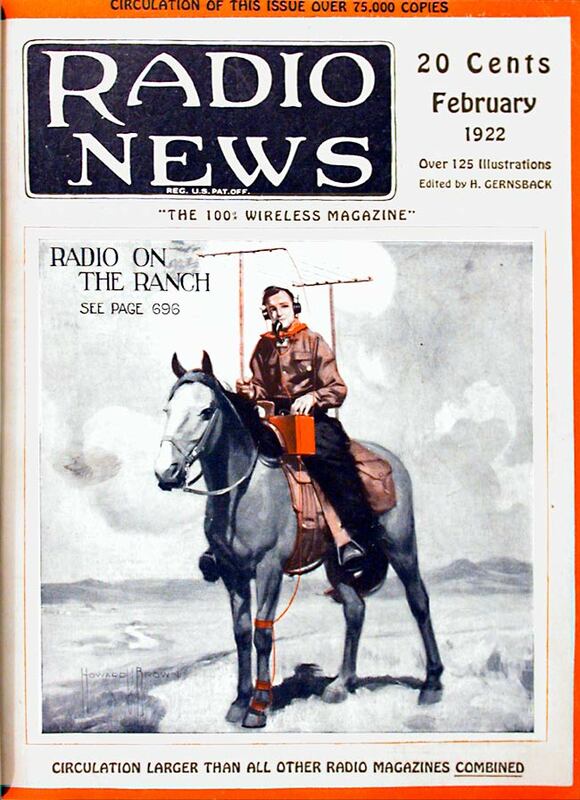 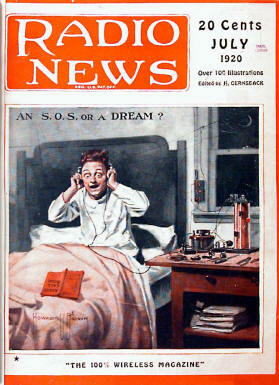 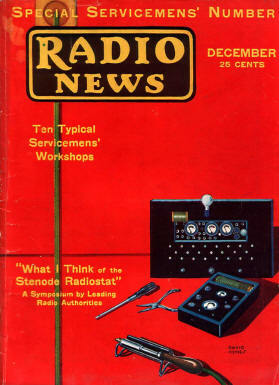 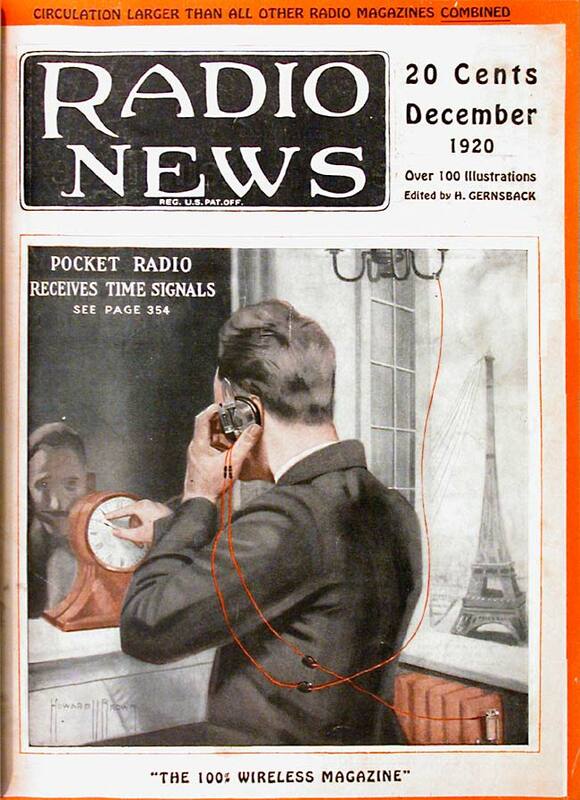 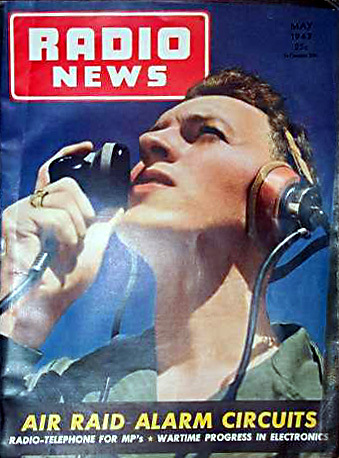 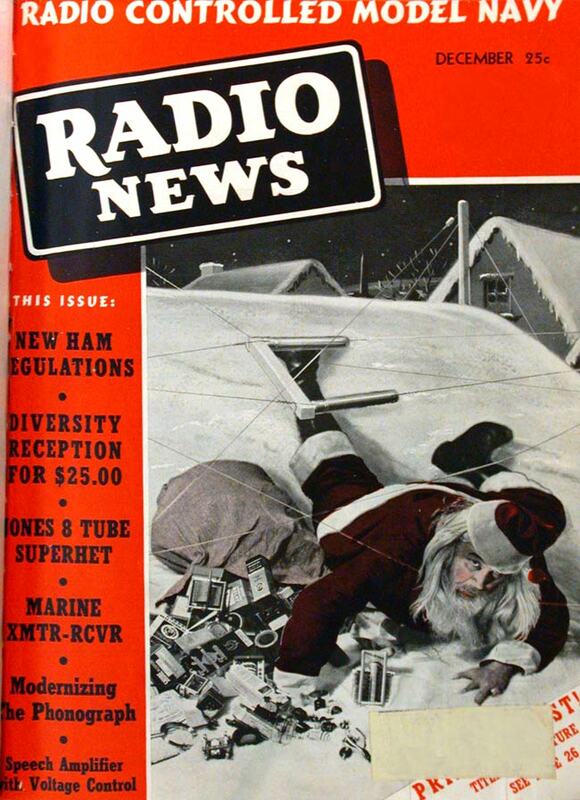 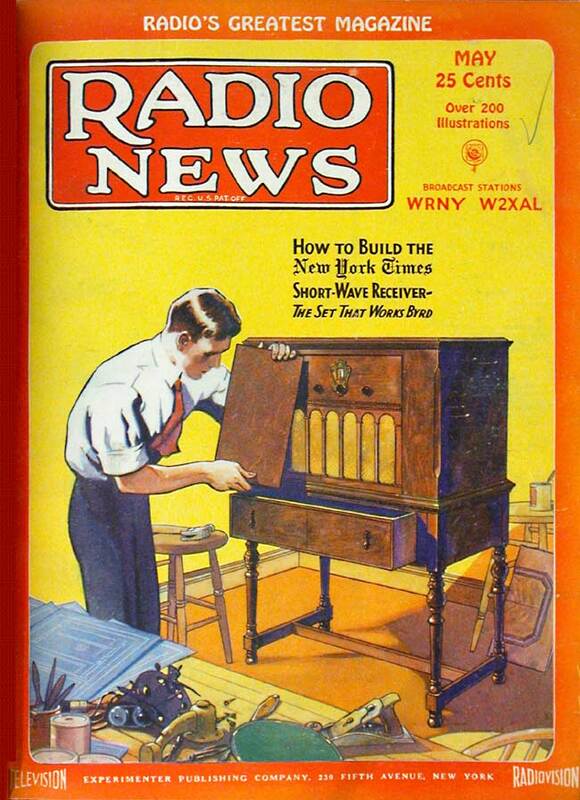 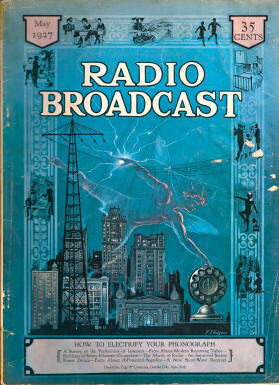 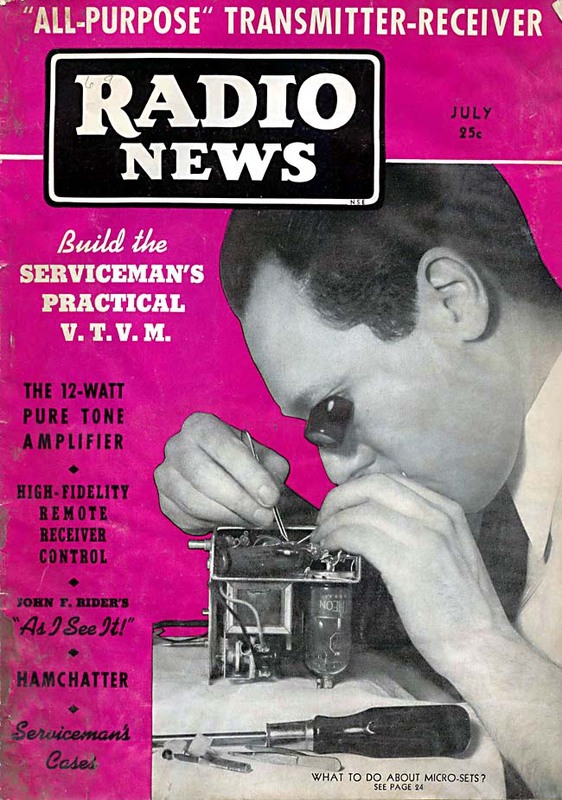 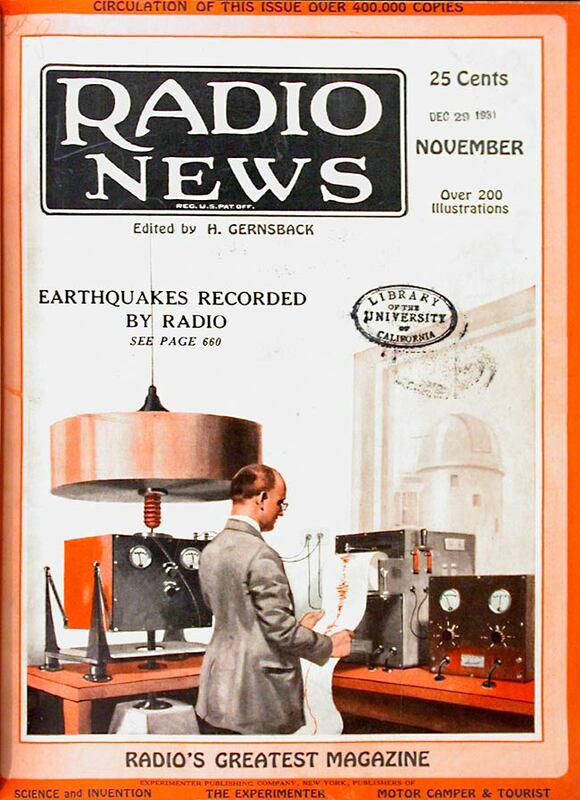 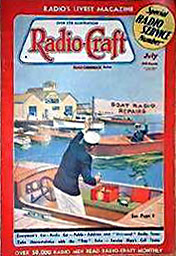 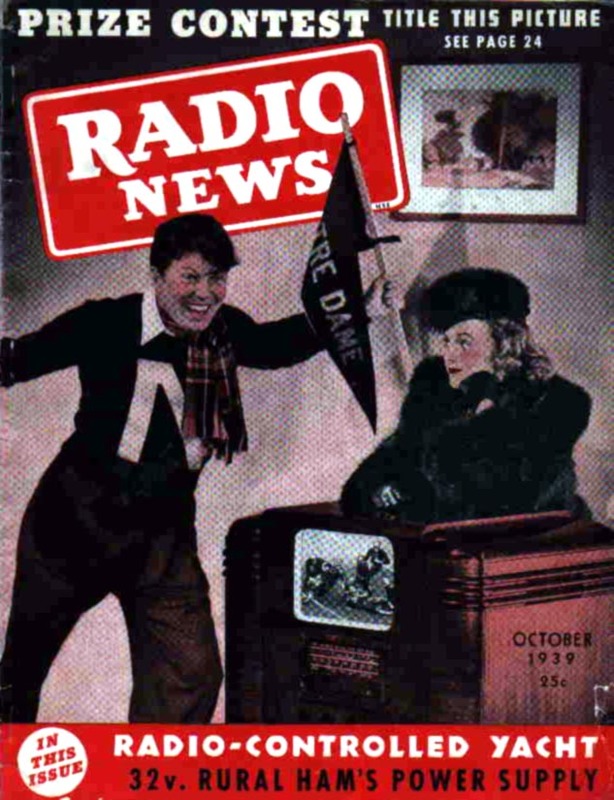 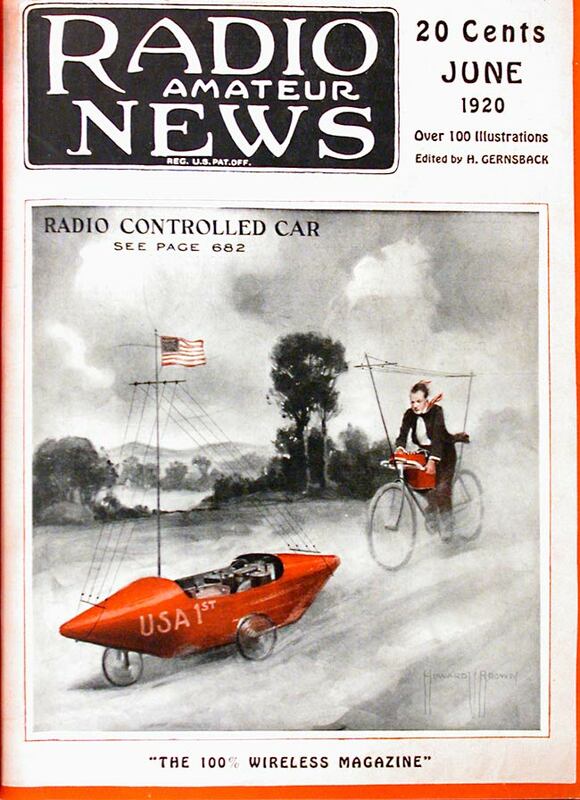 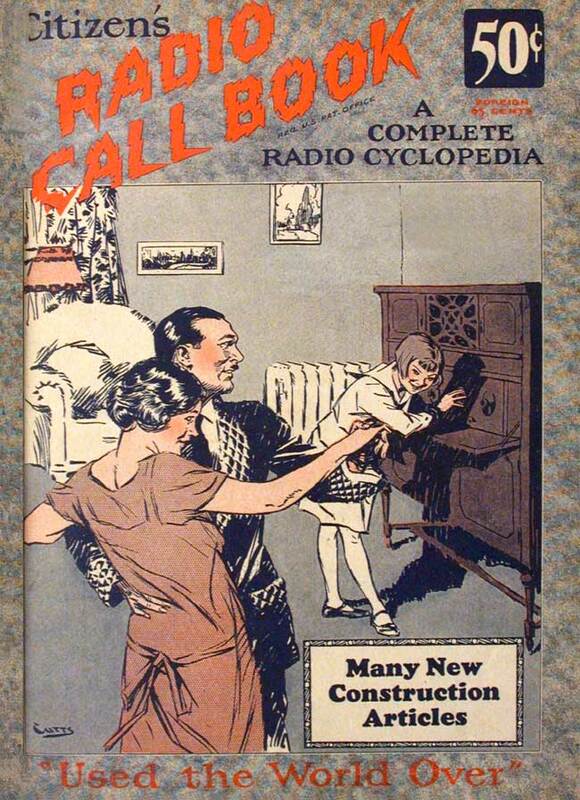 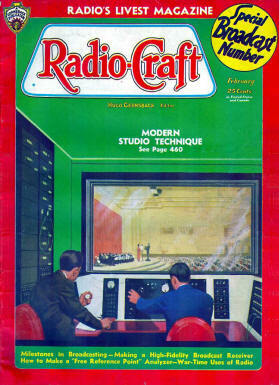 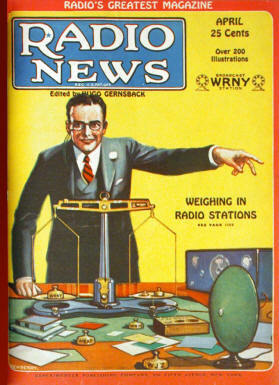 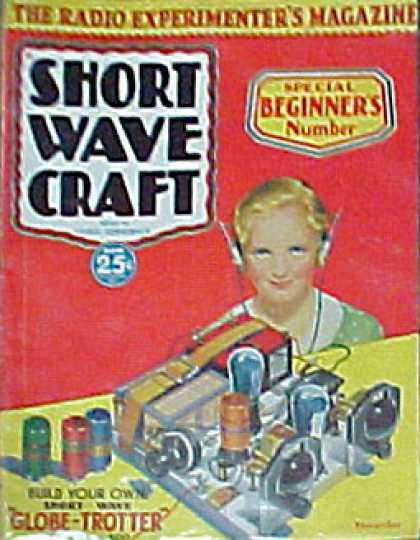 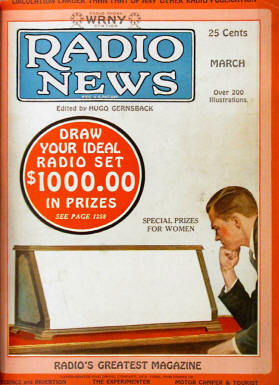 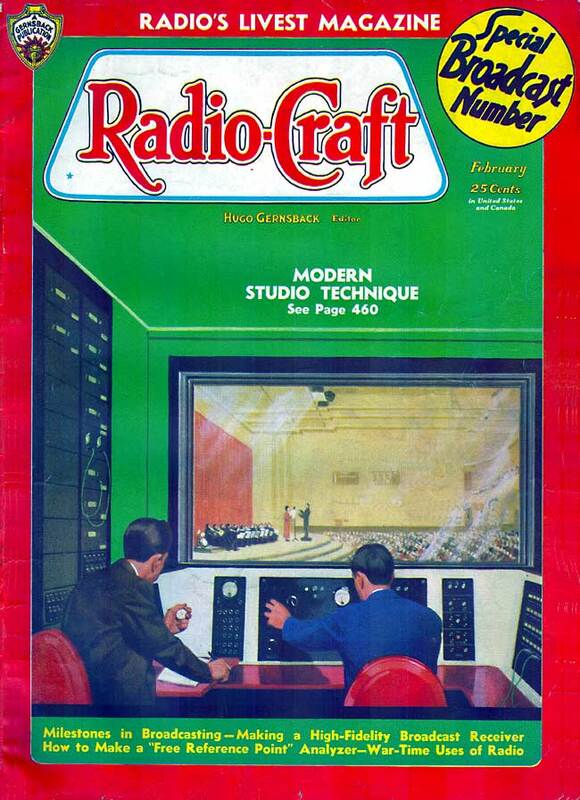 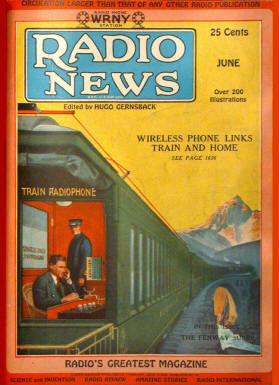 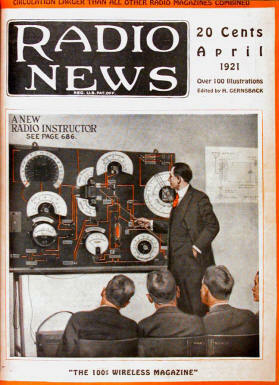 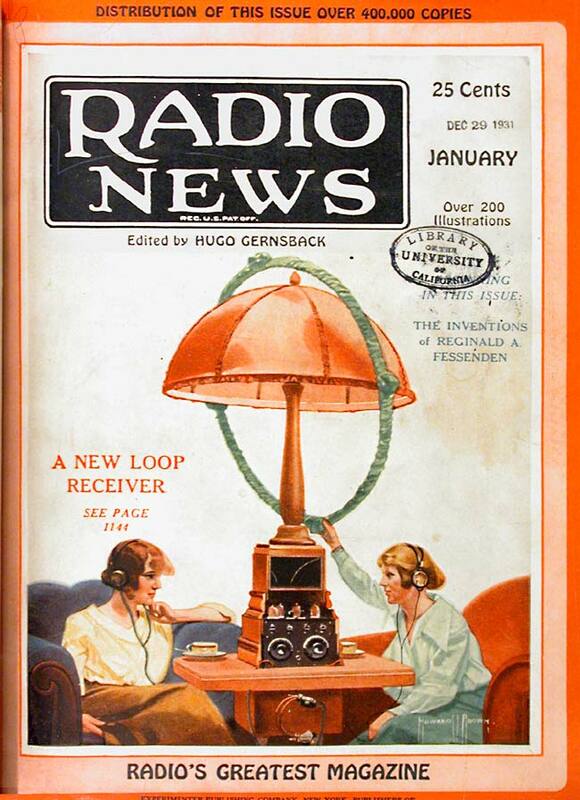 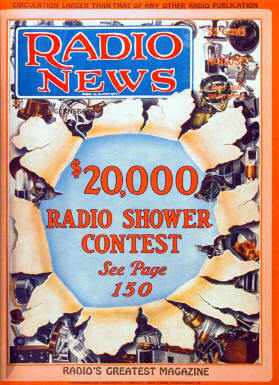 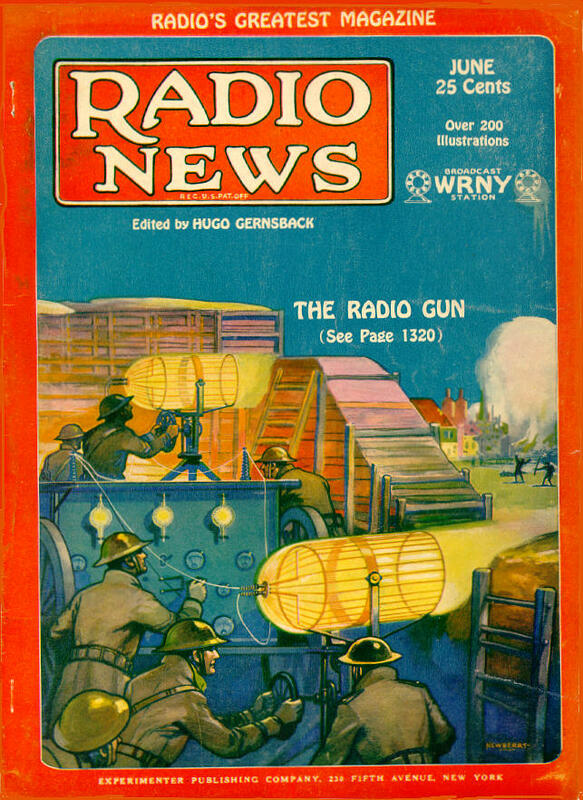 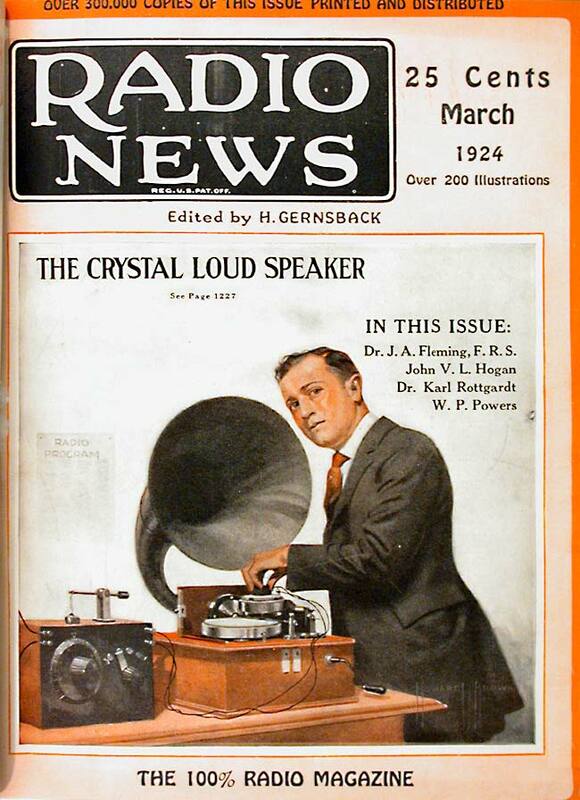 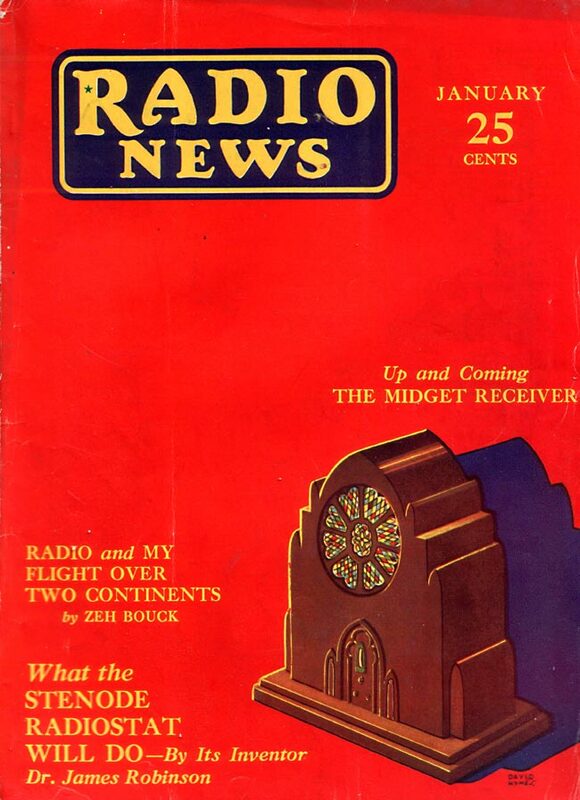 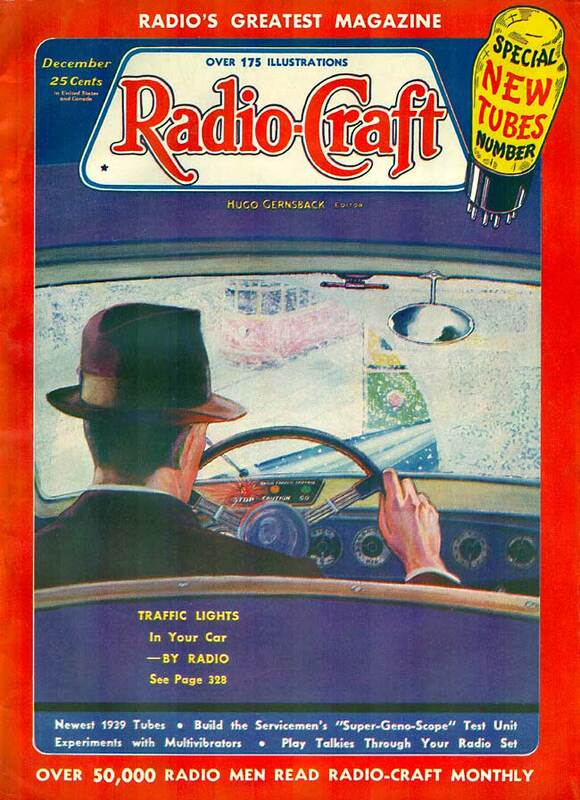 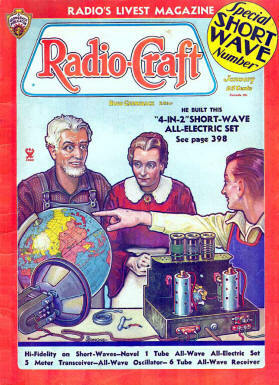 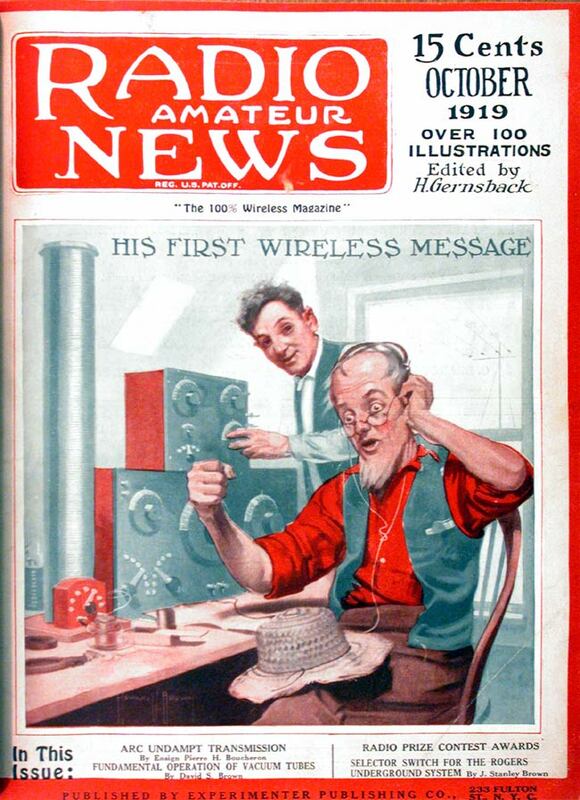 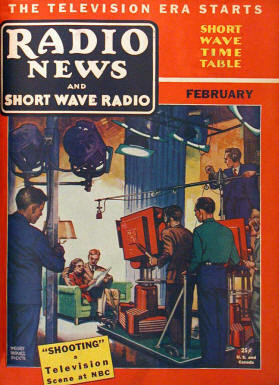 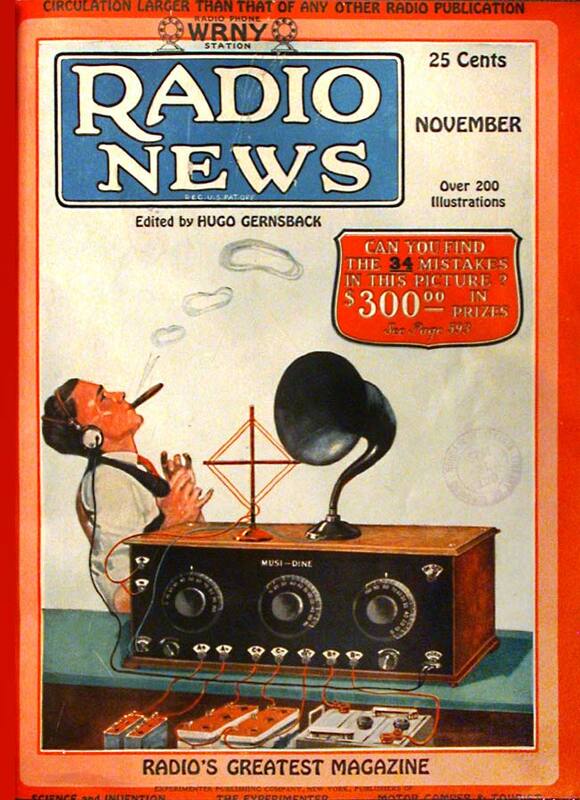 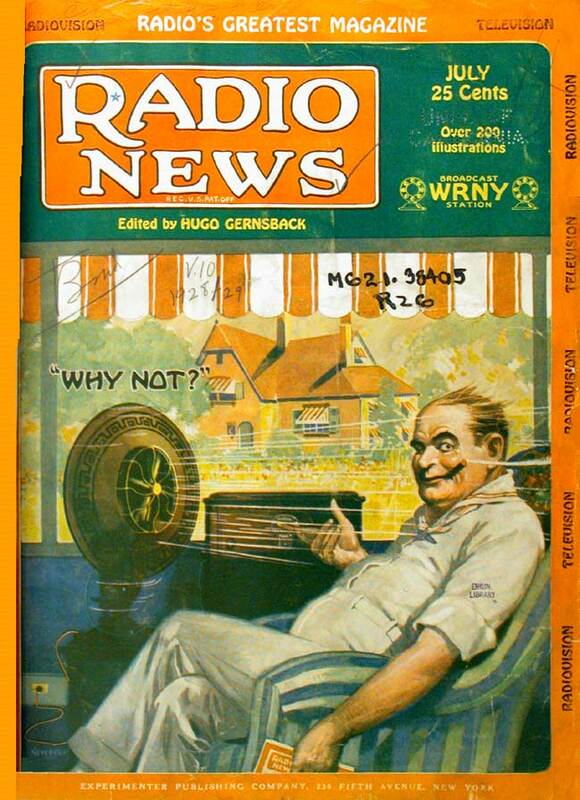 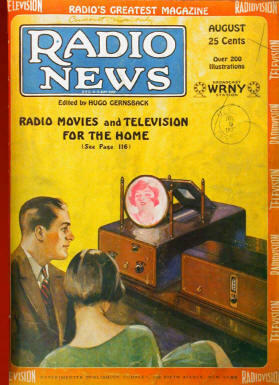 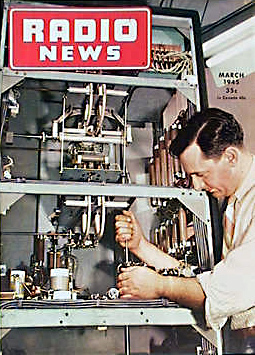 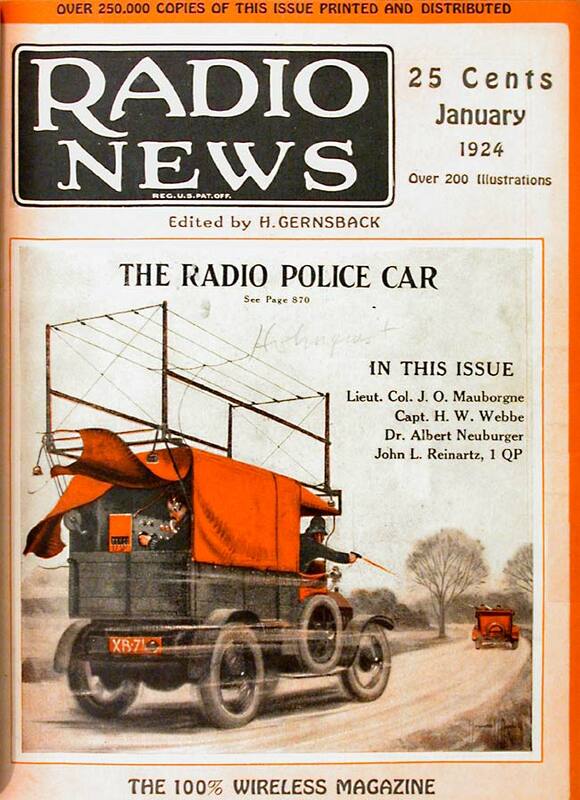 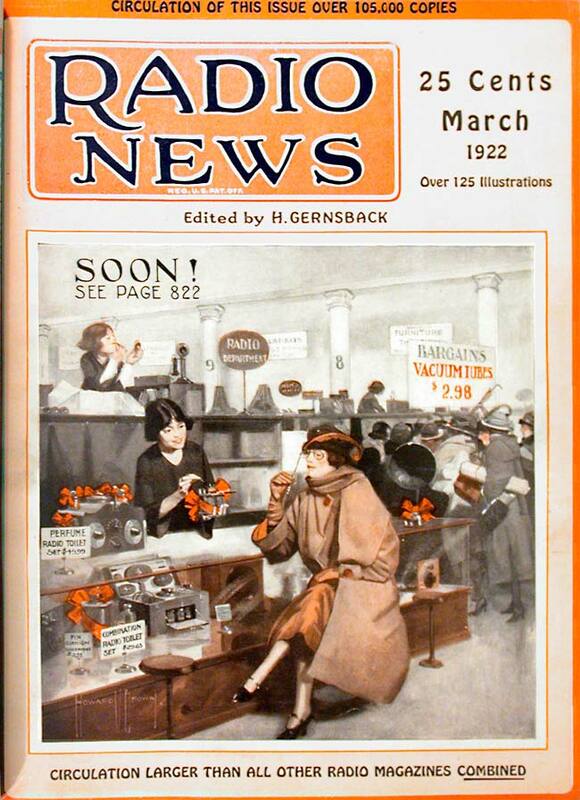 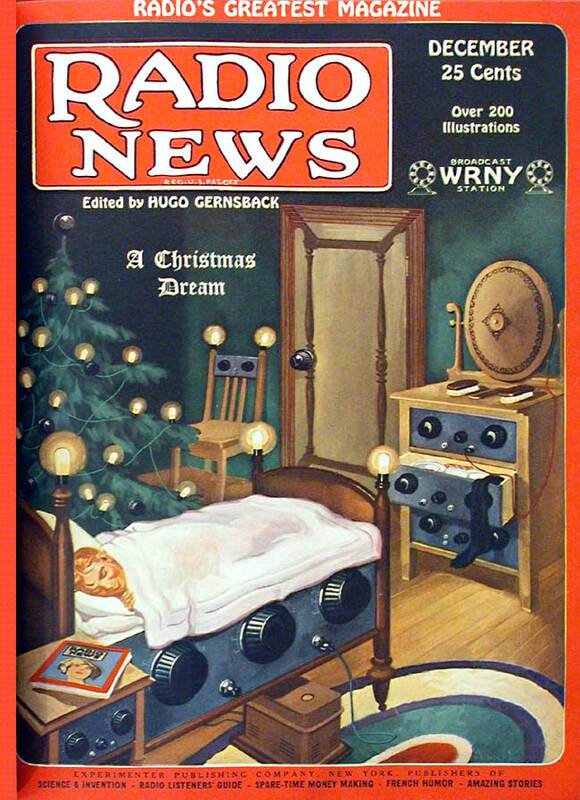 Early issues of Radio News in particular were known for their creative and often humorous covers. Over the years I’ve saved a number of these images, both from my own collection, as well as from the internet. Unfortunately, due to the high acid content in the paper used during that era, many of the covers are faded, and many of the colors have lost their former vibrancy. 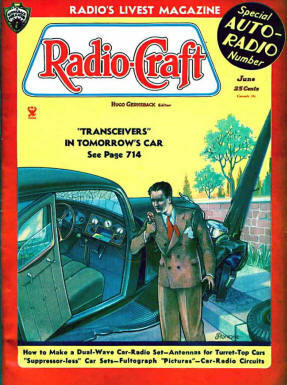 Nevertheless I present these as a look back on the past, before the days of computers, when the proverbial mind’s eye was the tool most illustrators drew upon. 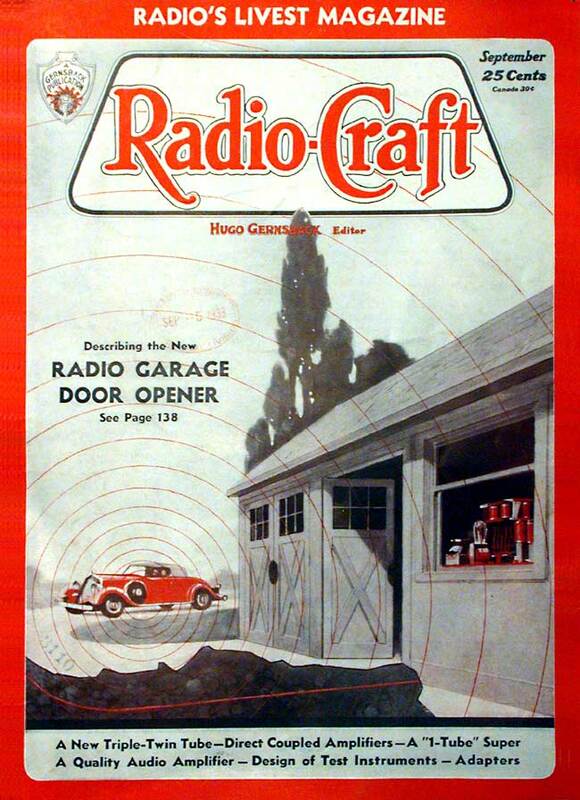 Each image can be enlarged by double clicking on it.